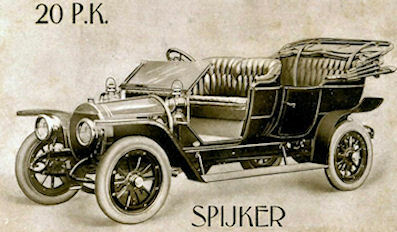 Spyker or Spijker was a Dutch car manufacturer, started in 1880 by coachbuilders Jacobus and Hendrik-Jan Spijker, but to be able to market the brand better in foreign countries, in 1903 the ‘ij‘ was changed into ‘y’. 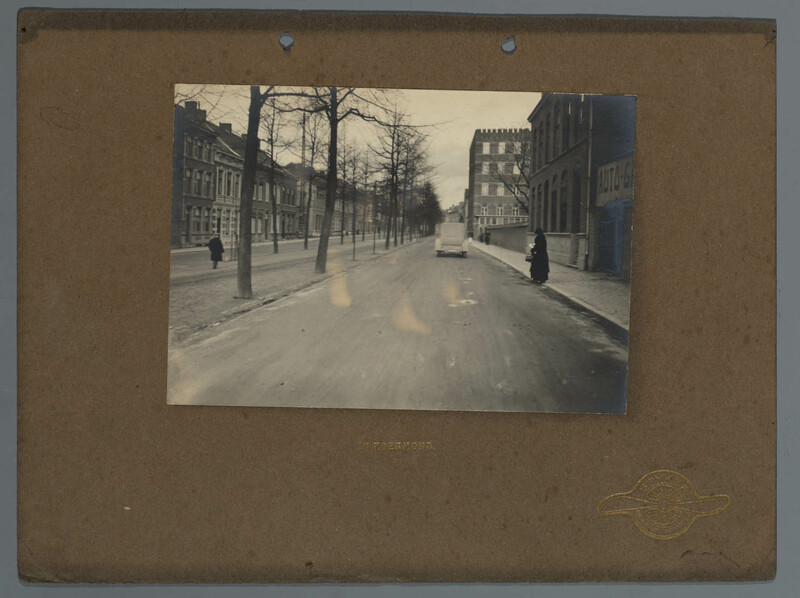 They were originally based in Hilversum but in 1898 moved to Trompenburg, Amsterdam. 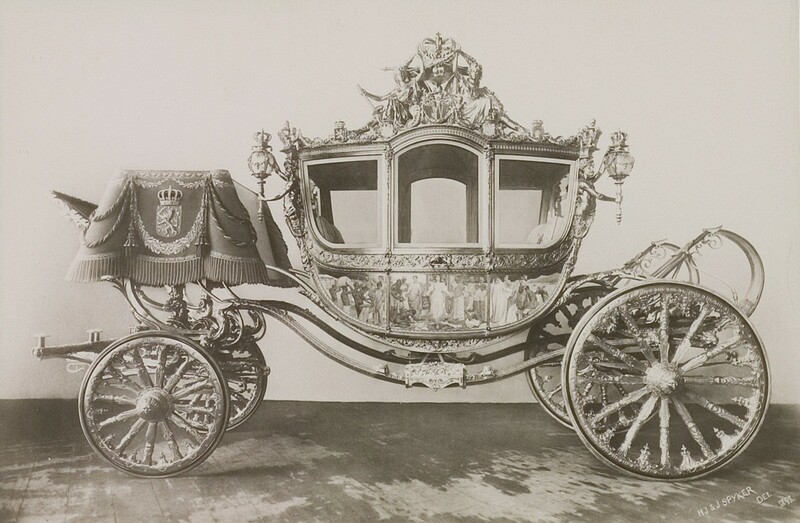 In 1898 Spyker manufactured the “Golden Coach“, still in use by the Dutch monarchy today. 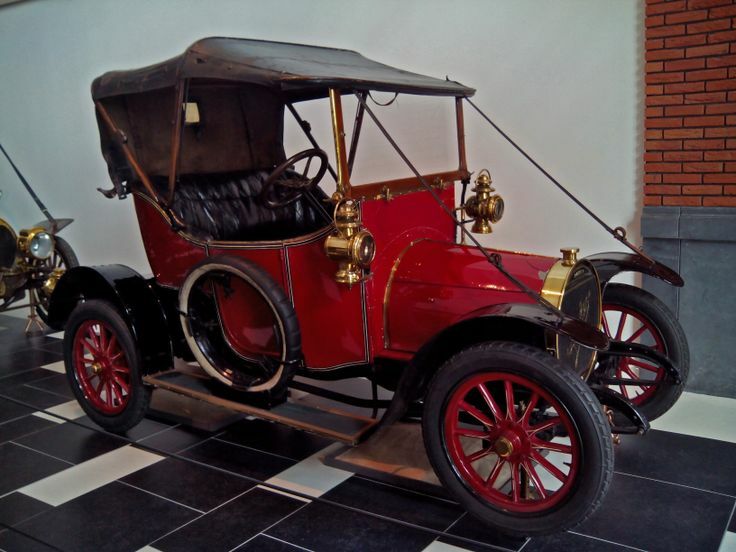 In 1899 they started building automobiles and in 1900 put their first models on display, two-cylinder 3 hp and 5 hp similar to the Benz. 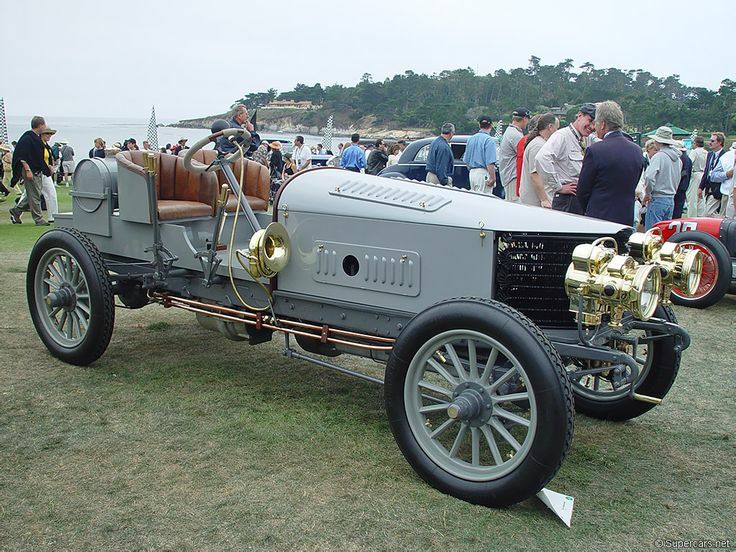 Four-cylinder models were introduced in 1903, along with the six-cylinder Spyker 60 HP, a racer with the world’s first ever four-wheel drive car with a single engine and four-wheel brakes. 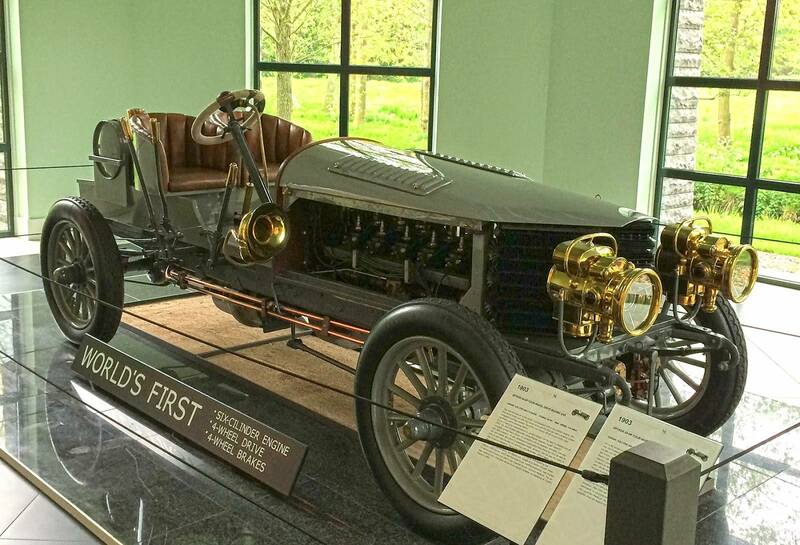 An engine with six cylinders was also a world’s first. 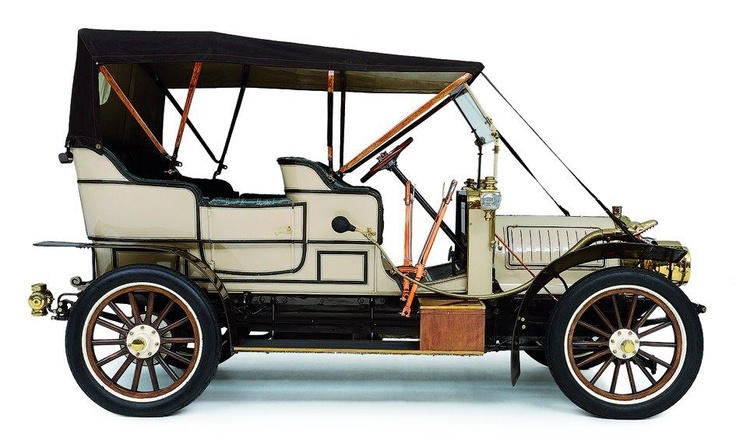 The 1905 cars featured a round radiator grille which became a feature of many of the pre war cars. 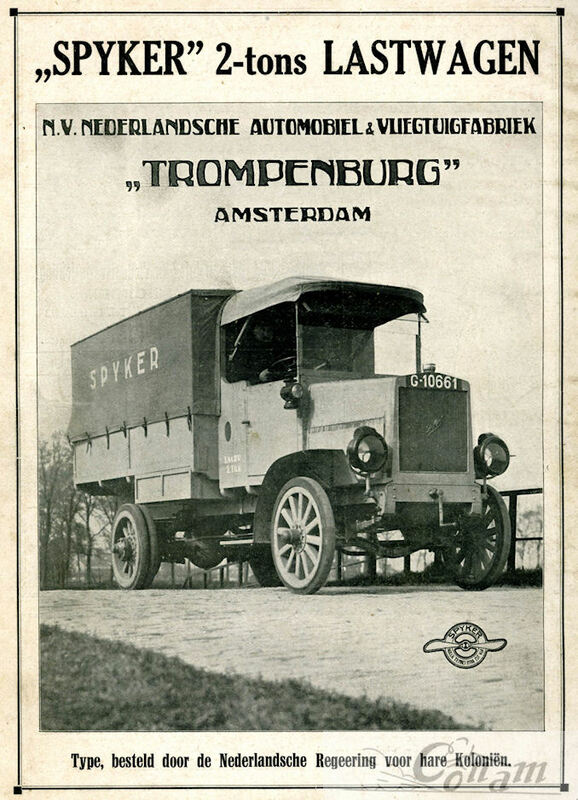 In 1913 the company was having financial problems again and in 1915 was taken over by new owners and renamed Nederlandsche Automobiel en Vliegtuigfabriek Trompenburg (Dutch Car and Aircraft company). 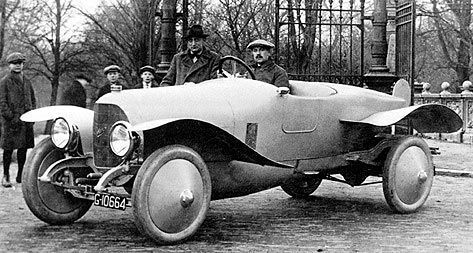 Under the new owners, the previous complex model range was simplified and a new car, the 13/30 C1, introduced; sales were disappointing. 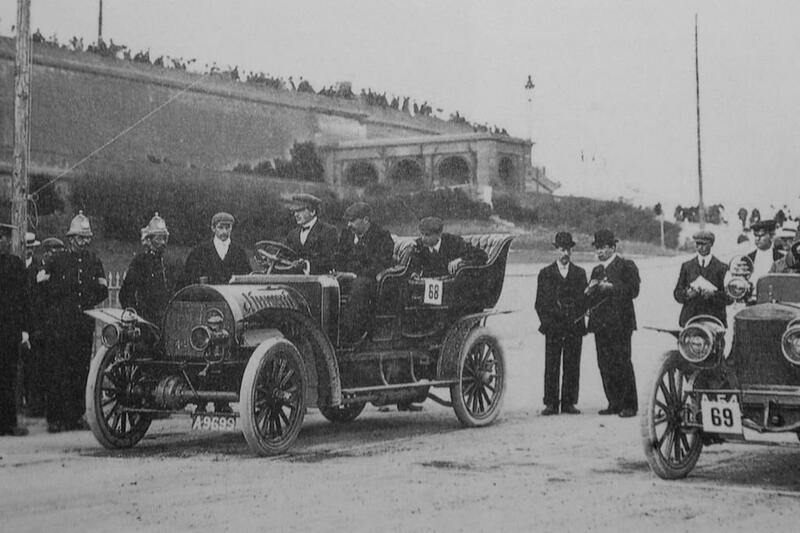 In 1907, an 18 hp model successfully competed in the Peking to Paris race. 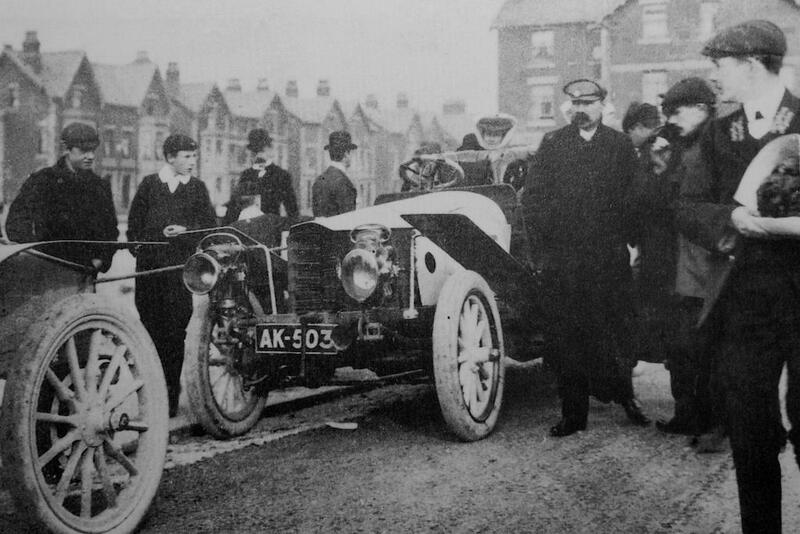 Hendrik-Jan Spijker died in 1907 when the ferry he was on when returning from England sank, and this loss led to the bankruptcy of the original company. 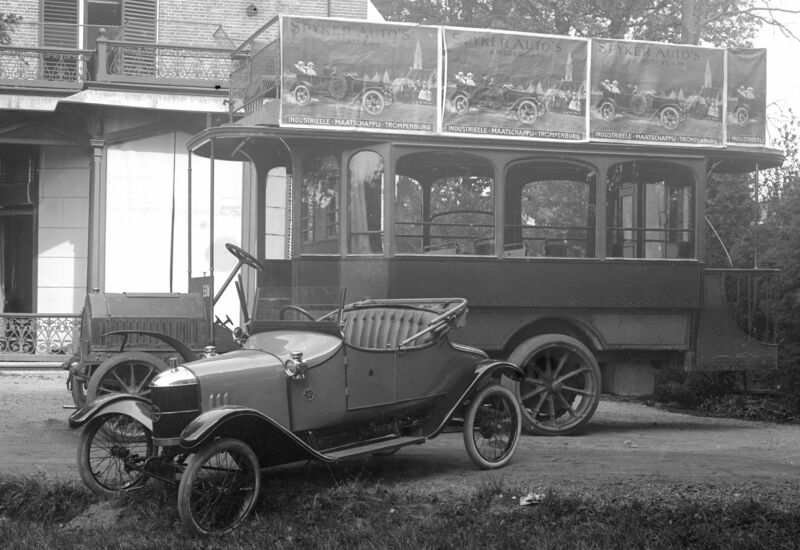 A group of investors bought the company and restarted production, but Jacobus Spijker was no longer involved. 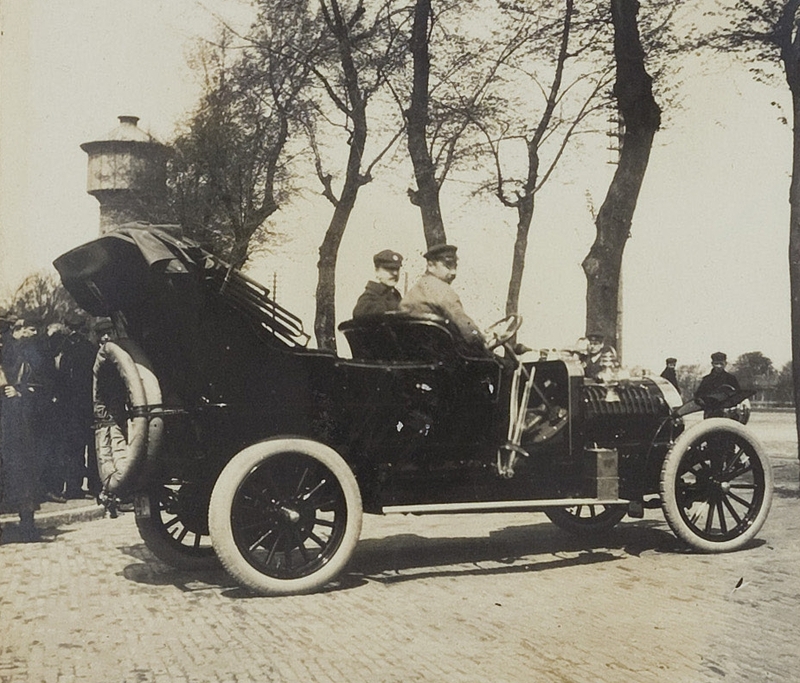 Before Hendrik-Jan Spijker’s death, he and his brother had developed a special relationship with Dutch electrical pioneer Rento Hofstede Crull. 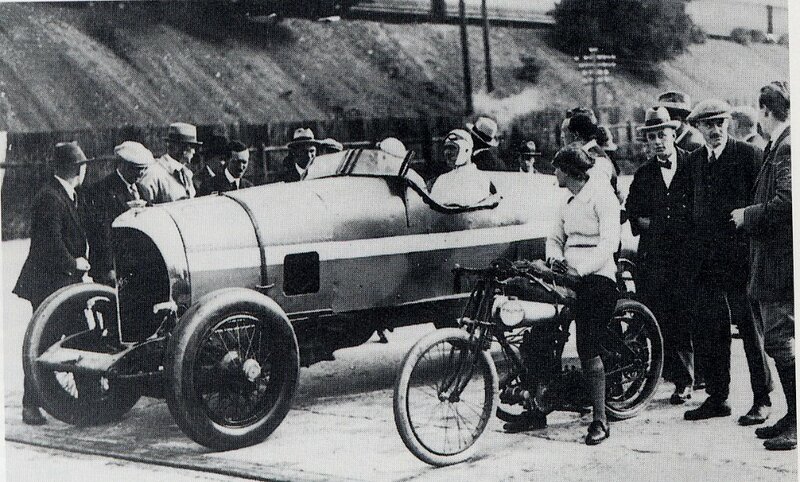 The Spijker brothers had known Hofstede Crull already when he was a young man racing on the velocipede circuits in the Netherlands and in Germany while he was an engineering student first in Mittweida and later in Hannover at the Technische Hochschule in the 1880s. 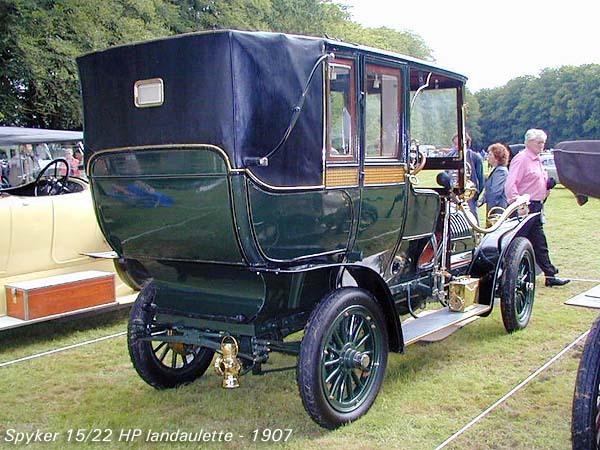 Hofstede Crull had already owned his first automobile in the 1890s. 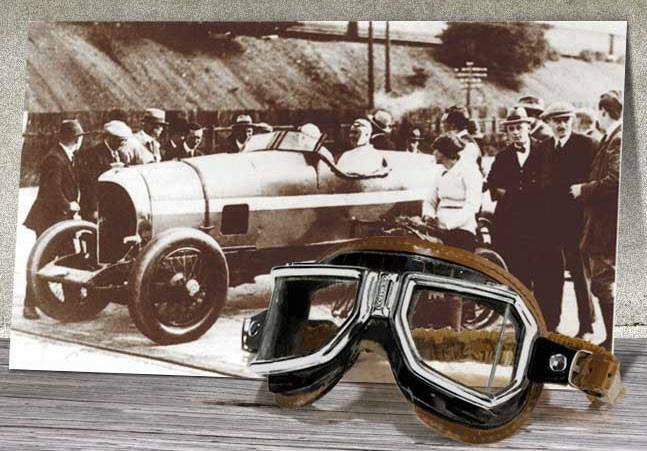 In the first decade, he had accumulated a collection of automobiles which included a number of the Spijker racing models. 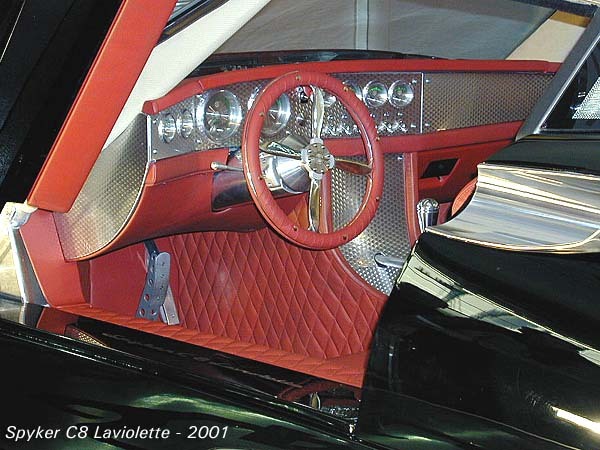 He housed the collection in one of the wings of the NV Heemaf, one of the companies he had founded. 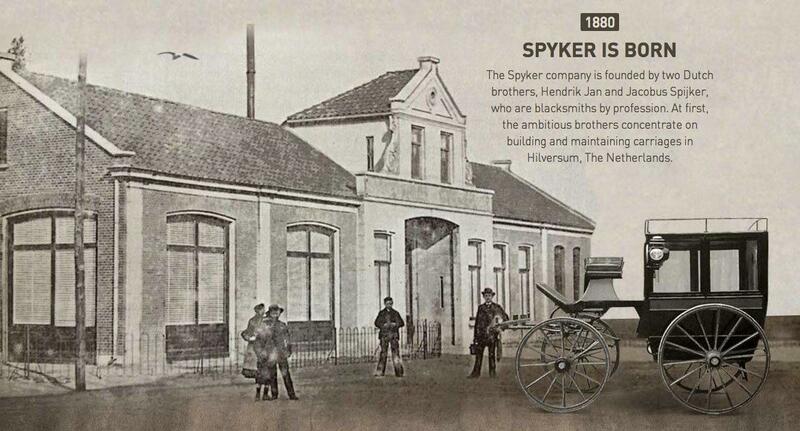 Although this was all a hobby for him initially, he began assembling Spijkers at Heemaf with the approval of the Spijker brothers and subsequently with that of those who had taken over SPIJKER. 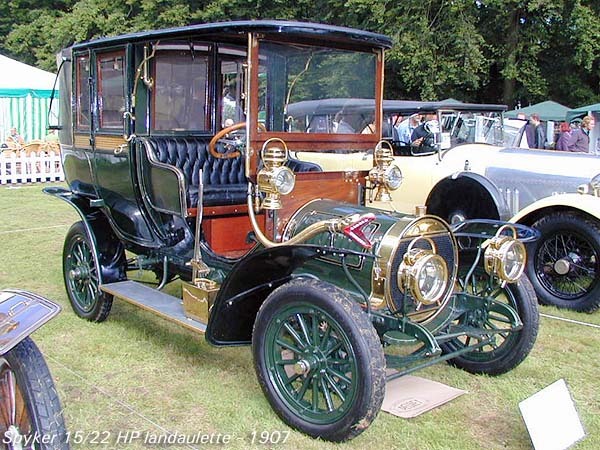 He provided them with improvements on the automobiles. 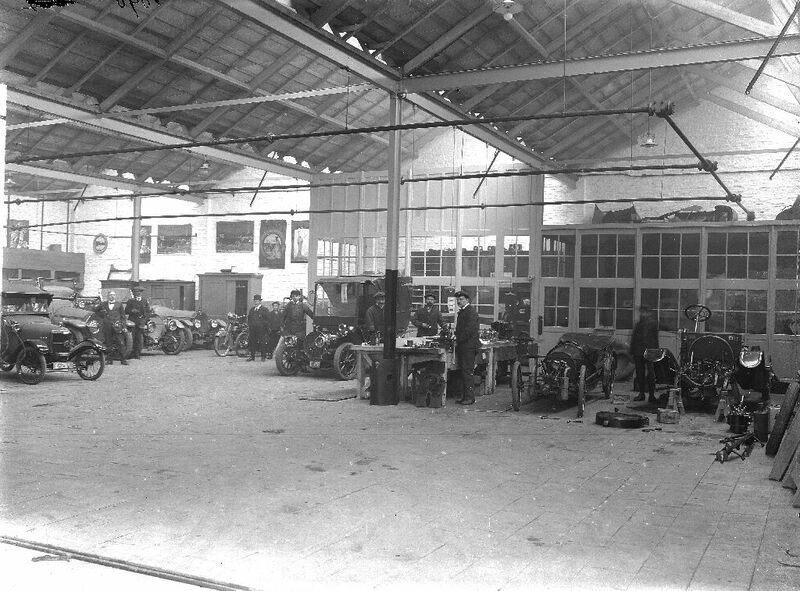 Heemaf’s board of directors complained that Hofstede Crull was using a part of the factory as his personal garage and auto park. 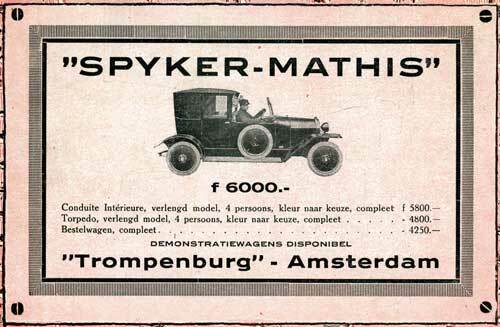 To circumvent the criticism, he established the Spijker Automobiel Verhuur Maatschappij which along with Amsterdam’s Trompenburg Bedrijf became the first auto rental companies in the Netherlands. 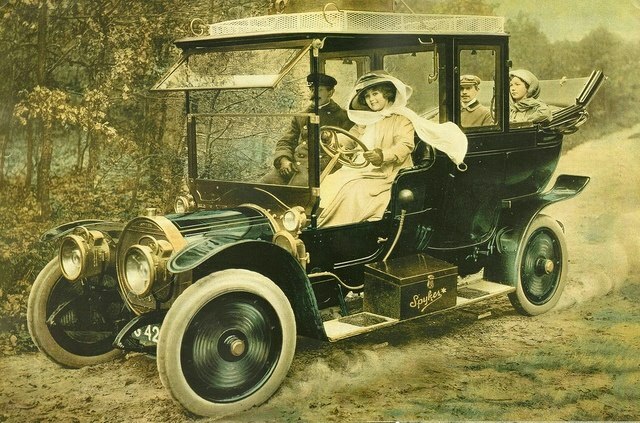 One of his other companies was the American Refined Motor Company which helped improve mechanical motor parts. 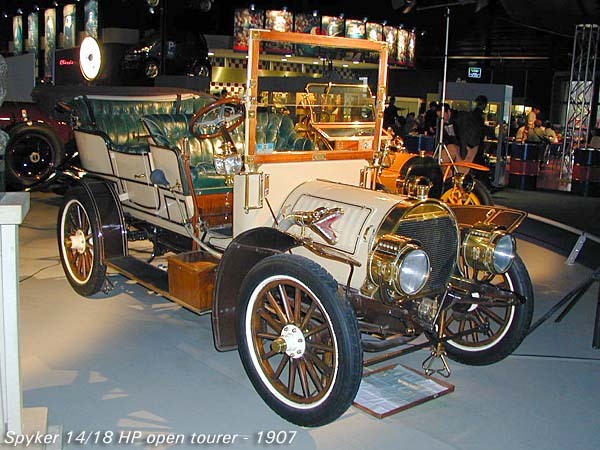 This all stemmed from an automobile accident that he, Hofstede Crull, and his chauffeur, a man named Poorthuis, had in 1909 when he subsequently discovered a defect in the Spijker’s steering mechanism which he improved. 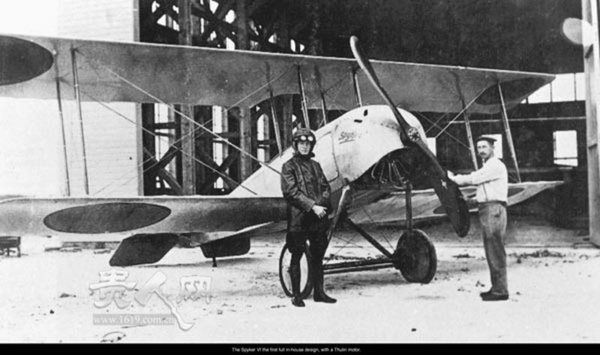 During World War I, in which the Netherlands were neutral, they manufactured aeroplanes and aircraft engines. 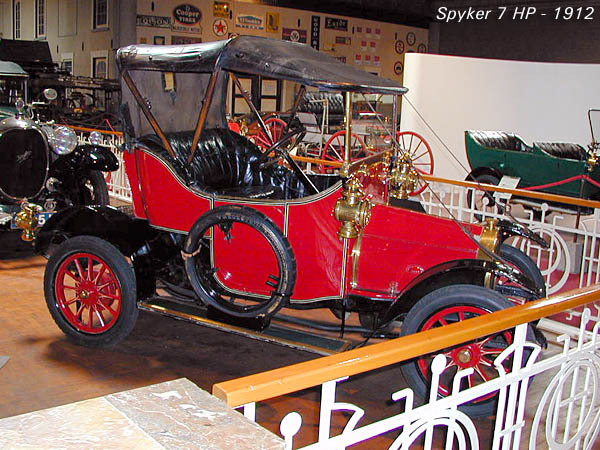 In 1922 the company went bankrupt again and was acquired by Spyker’s distributor in Britain who renamed the company Spyker Automobielfabriek. 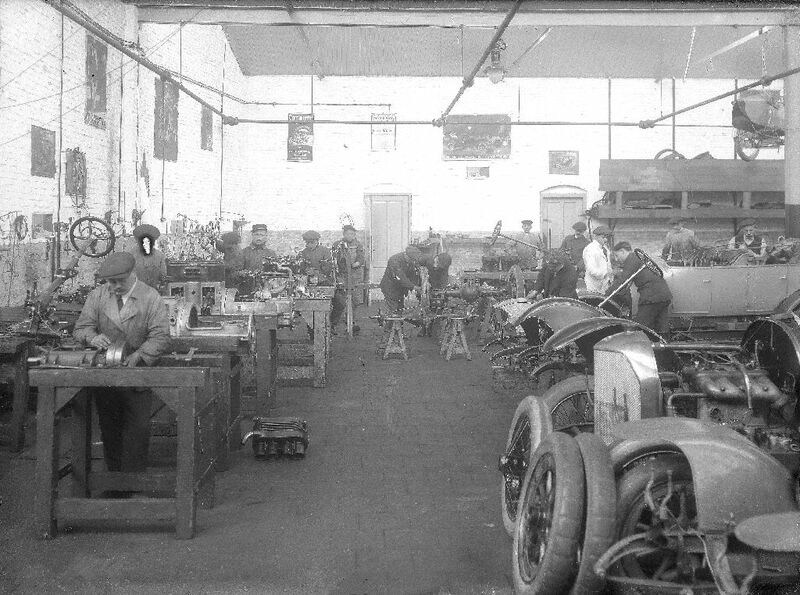 Production continued and prices dropped but the company continued to decline. 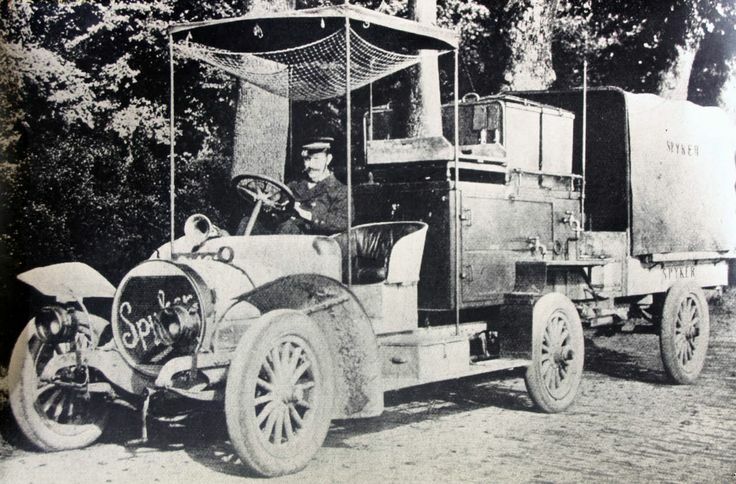 Final production was of the C2 two-ton truck and the C4 car which lasted until 1926 when funds finally ran out. 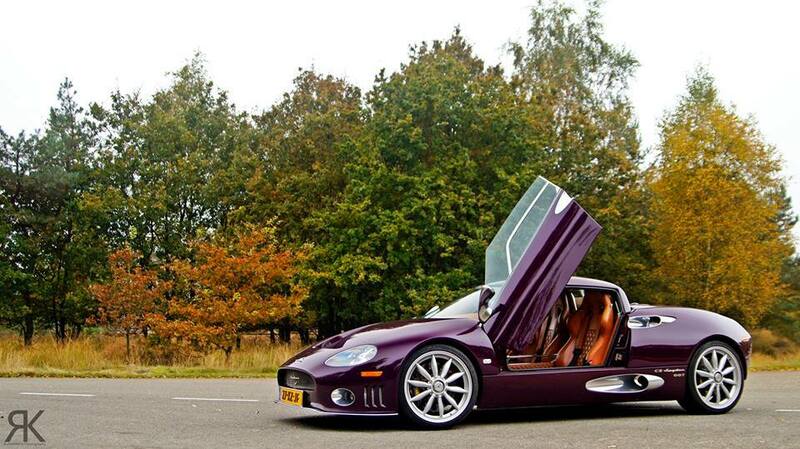 It is estimated total Spyker car production was at most 2000 cars. 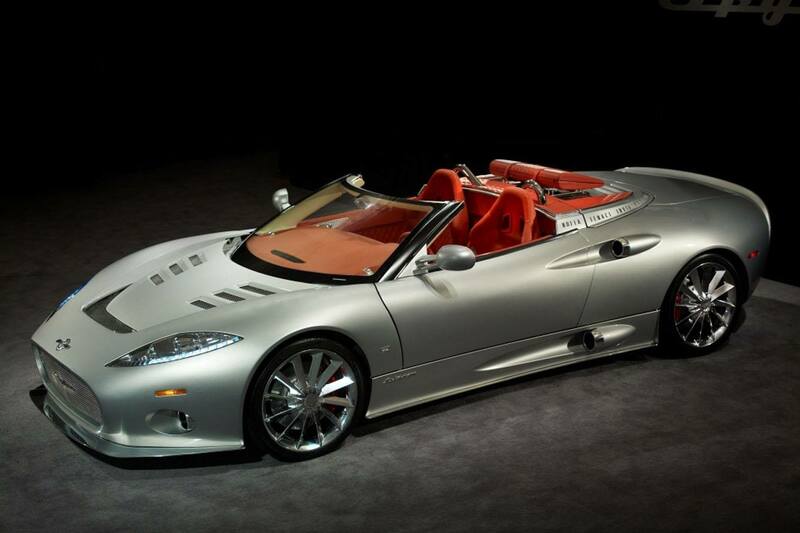 In 1999, a new company, Spyker Cars was founded, unrelated to the original company but for the brand name. 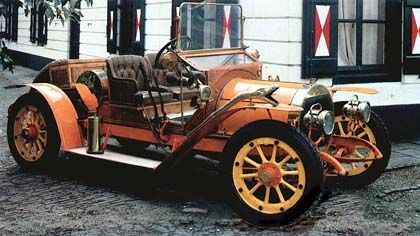 Spijker 6 hp 1902-1902 water-cooled engine. 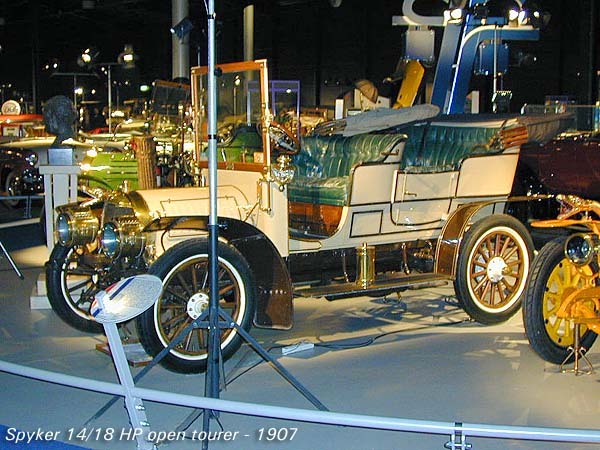 Spyker 25/36 1904–1905 4-cylinder 7,964 cc (486.0 cu in). 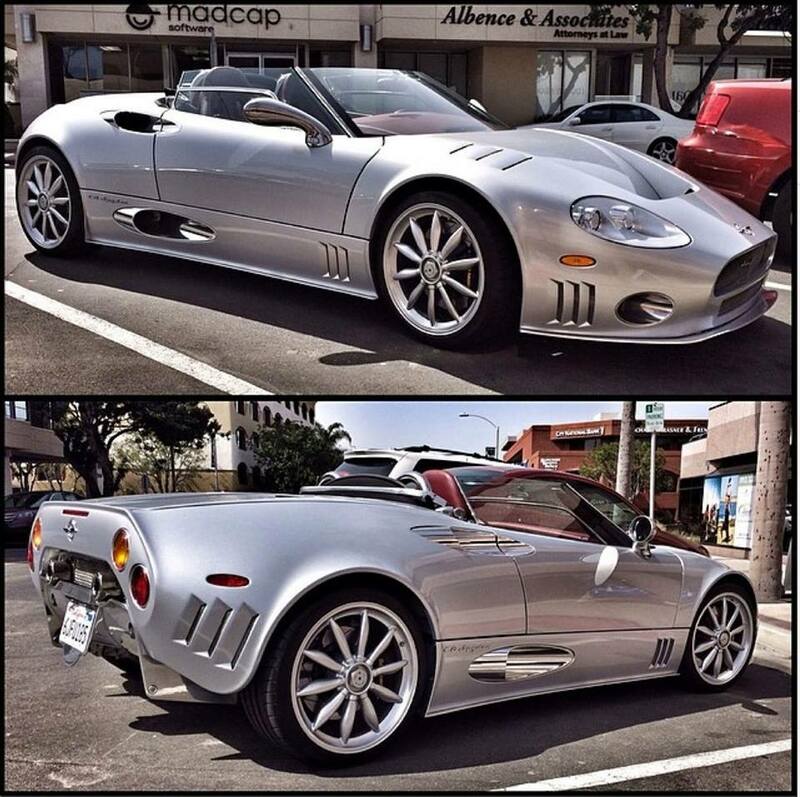 Fourwheel drive option. 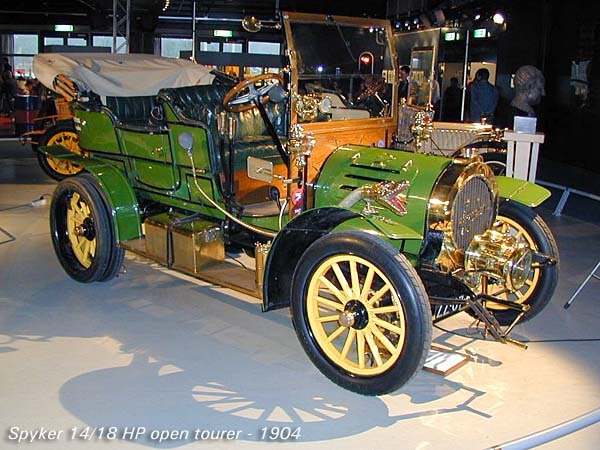 Spyker 32/40 1904–1905 4-cylinder. 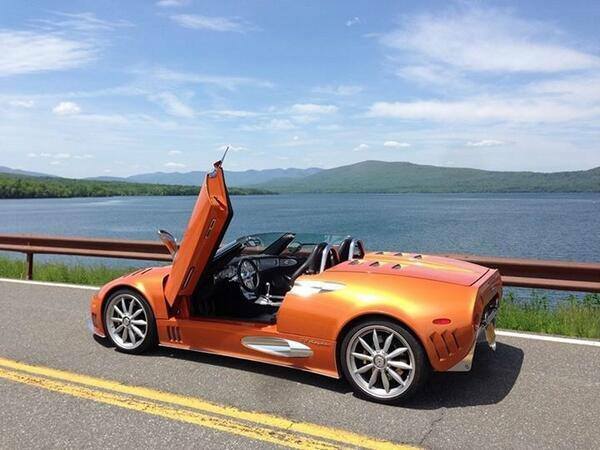 Fourwheel drive option. 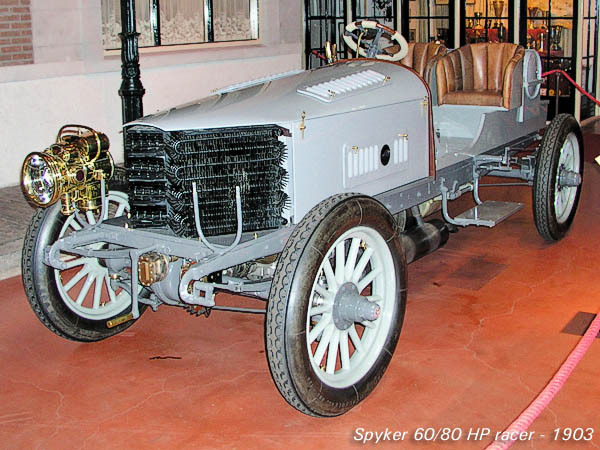 Spyker 15/22 1905–1907 4-cylinder 3,456 cc (210.9 cu in). 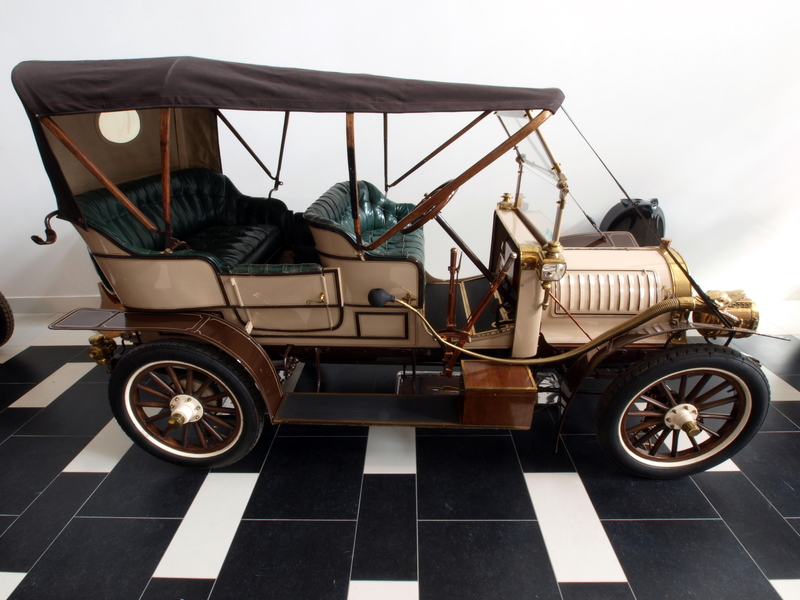 Spyker 15/22 1907-1907 4-cylinder 2,799 cc (170.8 cu in). 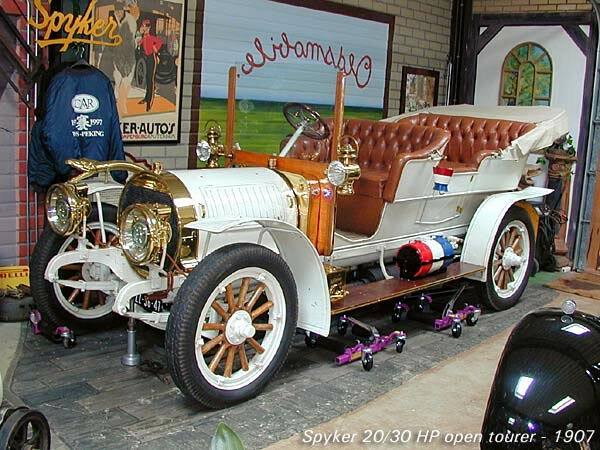 Spyker 20/30 1907-1907 4-cylinder 4,562 cc (278.4 cu in). 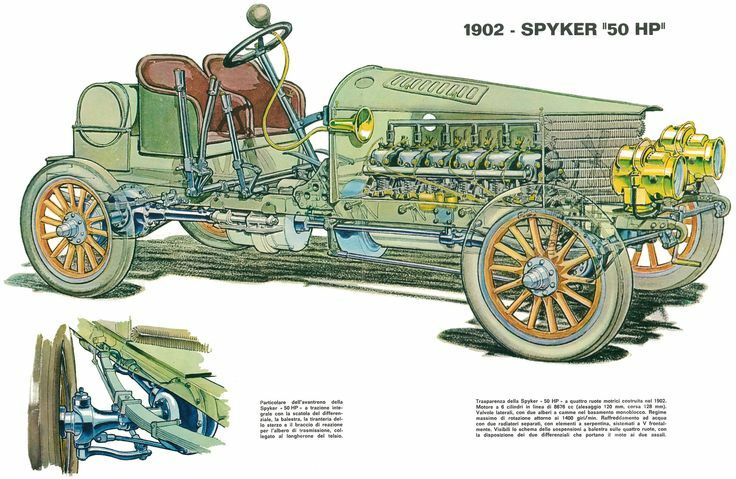 Spyker 30/42 1907-1907 4-cylinder 6,902 cc (421.2 cu in). 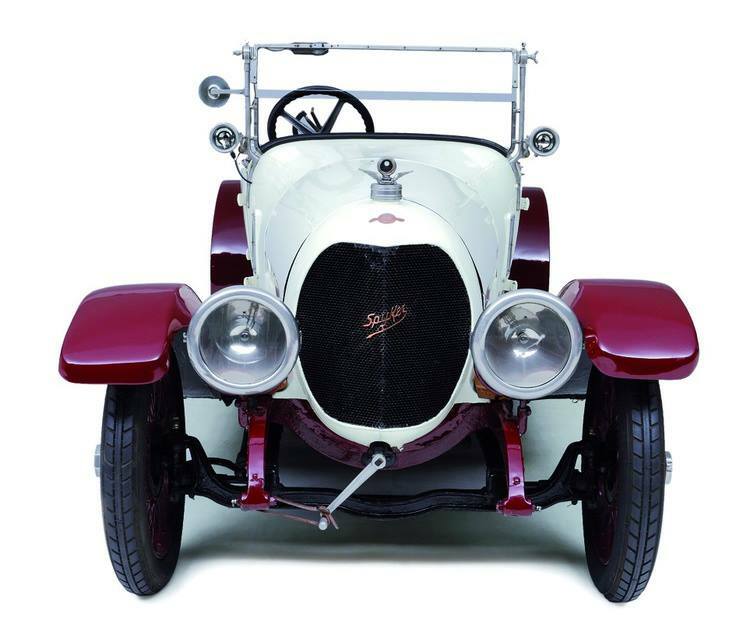 Spyker 40/80 1907-1907 4-cylinder 10,603 cc (647.0 cu in). 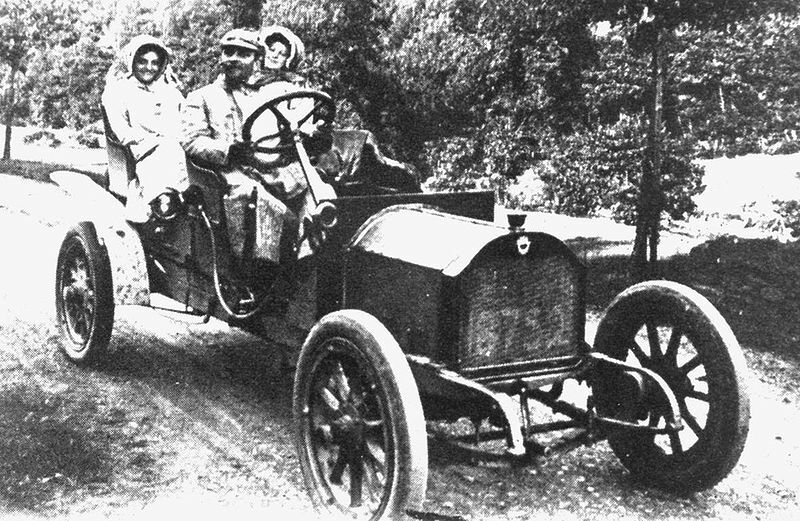 Spyker 15/22 1907–1910 4-cylinder 2,799 cc (170.8 cu in). 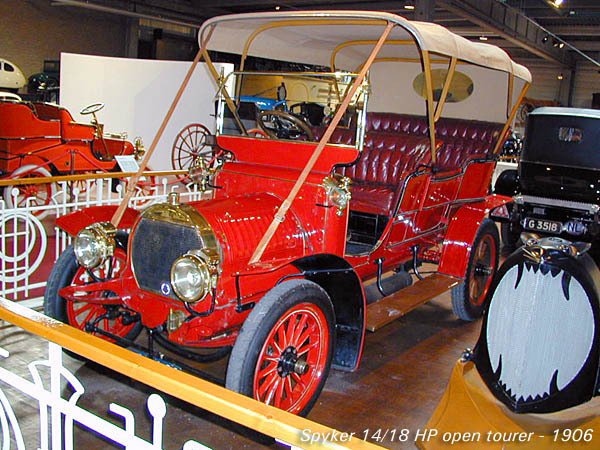 Spyker 10/15 1910–1912 4-cylinder. 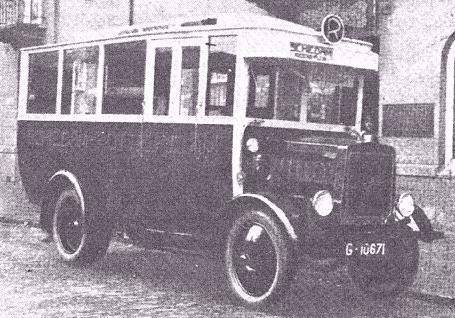 Delivery van. 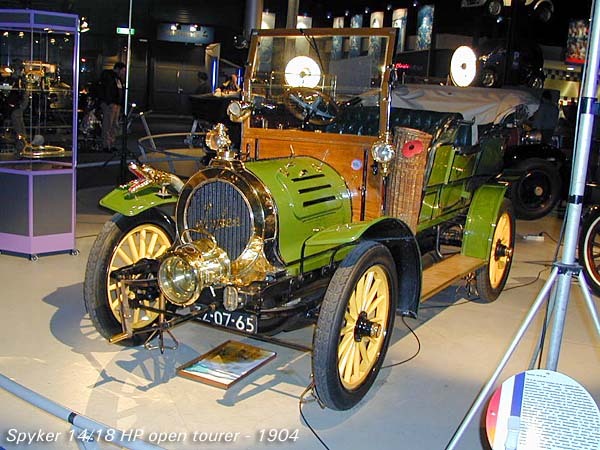 Spyker 15/25 1910–1912 4-cylinder. 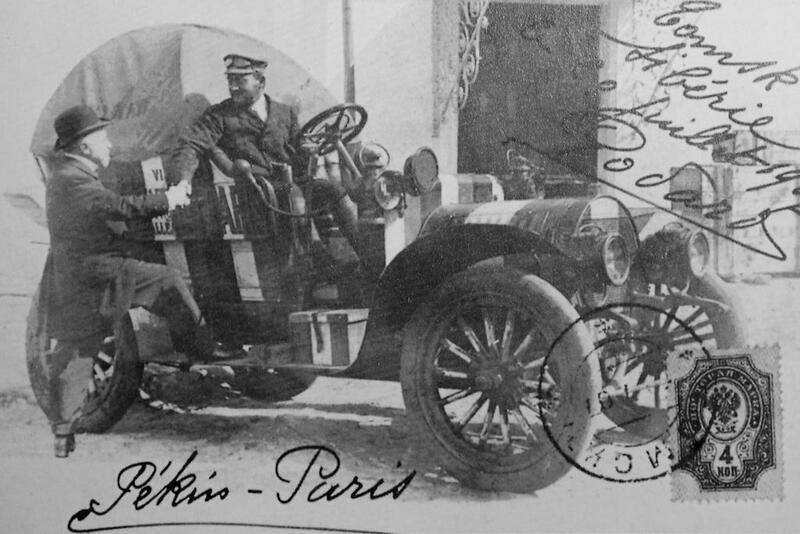 Delivery van. 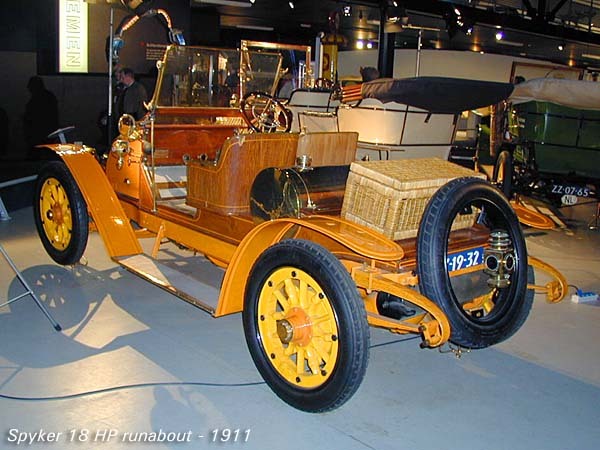 Spyker 25 1910–1912 4-cylinder. 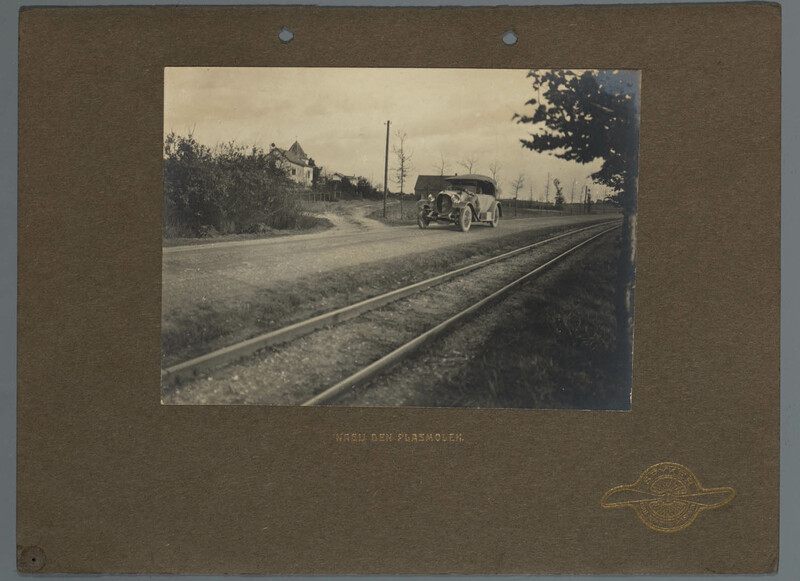 4,589 cc (280.0 cu in). Spyker 20 1912–1916 4-cylinder. 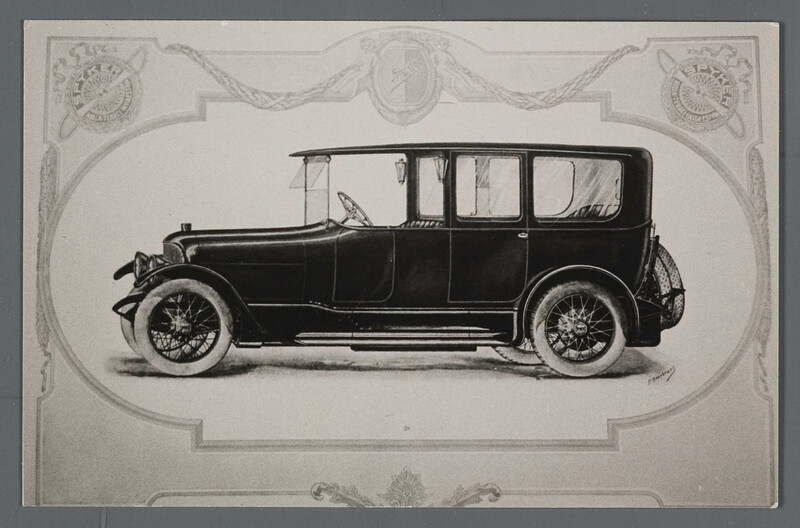 3,435 cc (209.6 cu in). 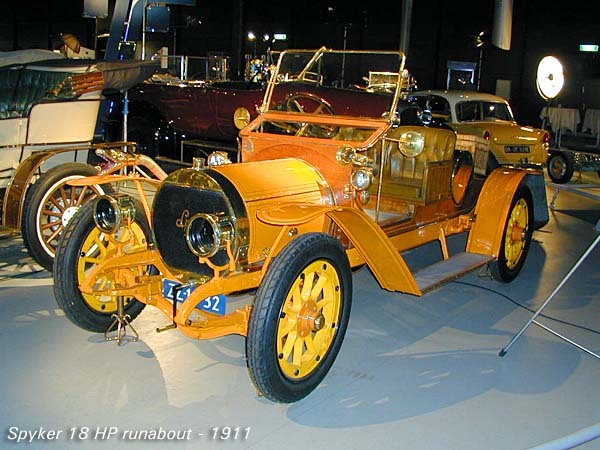 Spyker 30 1912–1916 4-cylinder. 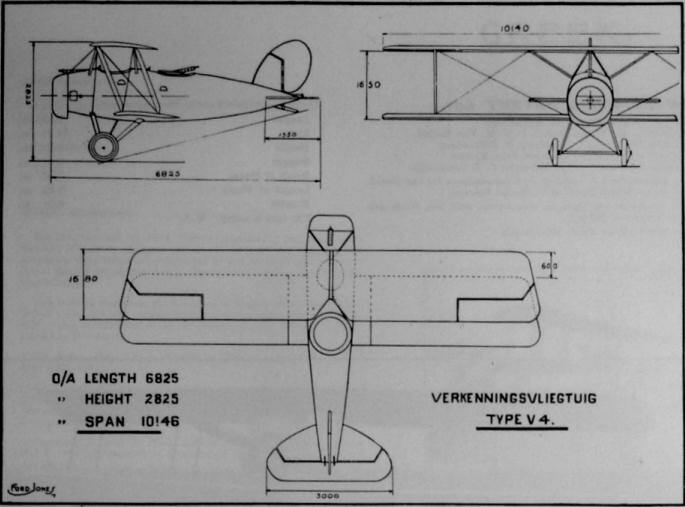 6,082 cc (371.1 cu in). 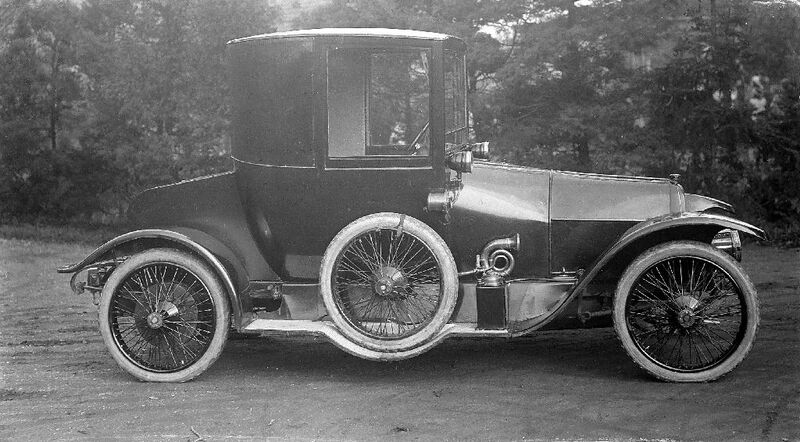 Spyker 40 1912–1916 6-cylinder. 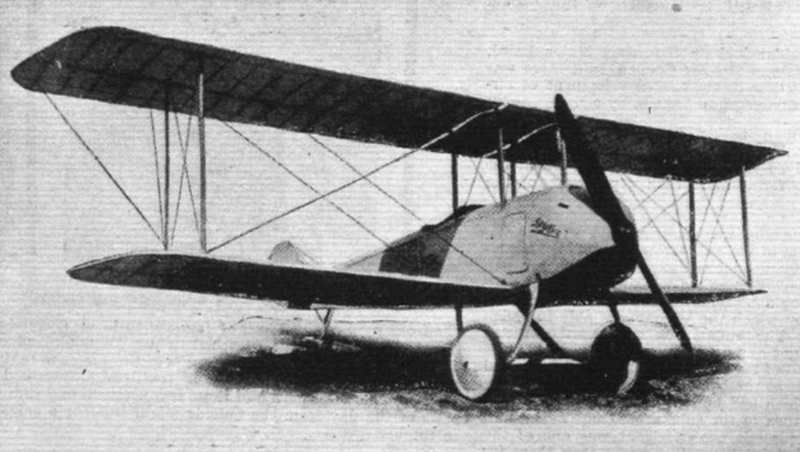 7,238 cc (441.7 cu in). 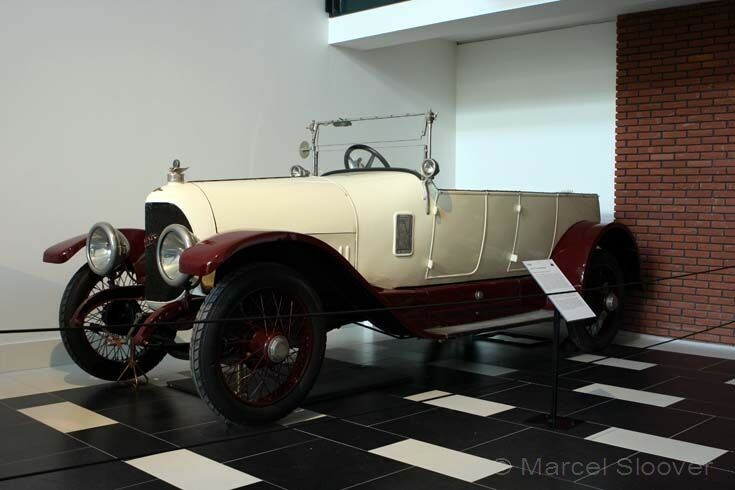 Spyker 12 1914–1916 4-cylinder. 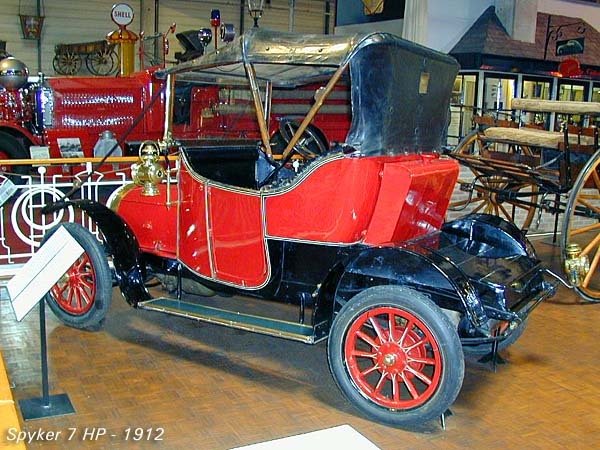 1,795 cc (109.5 cu in). 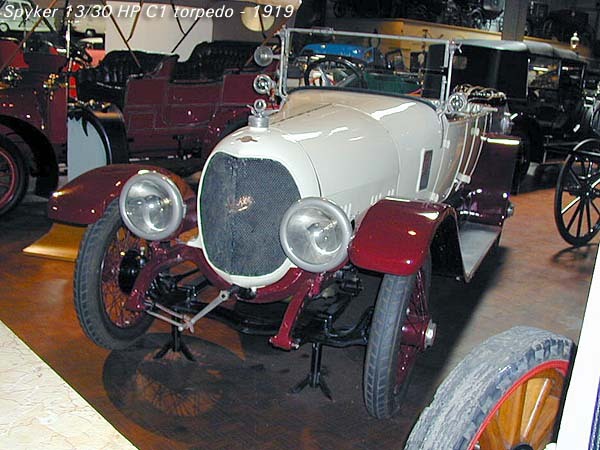 Spyker 13/30 C1 1916–1921 4-cylinder. 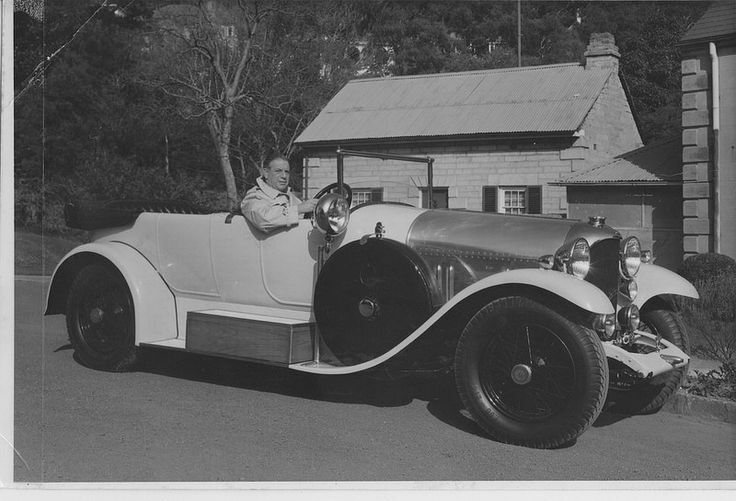 3,560 cc (217 cu in). 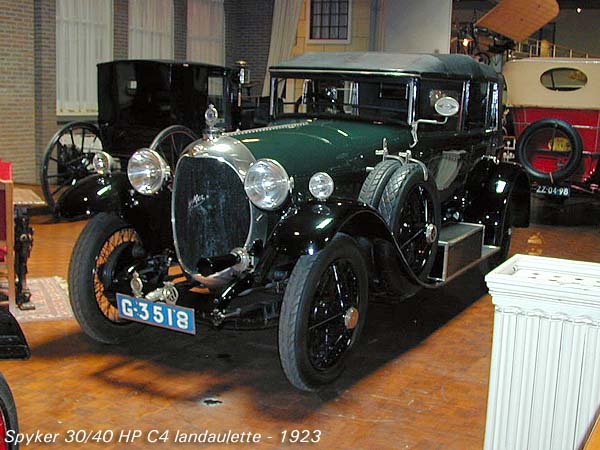 Spyker 14/34 C1 1920–1921 4-cylinder. 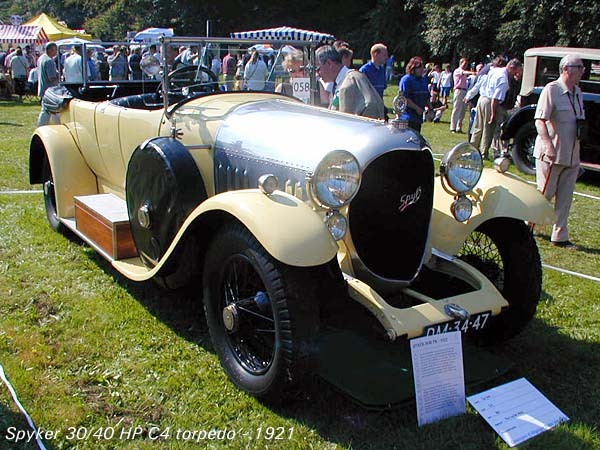 3,562 cc (217.4 cu in). 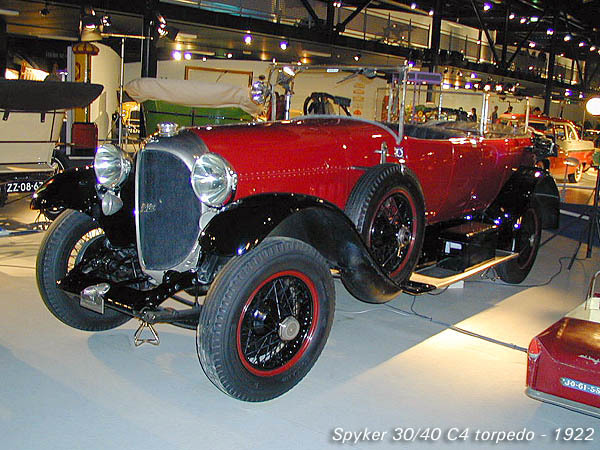 Spyker C2 1916–1926 4-cylinder. 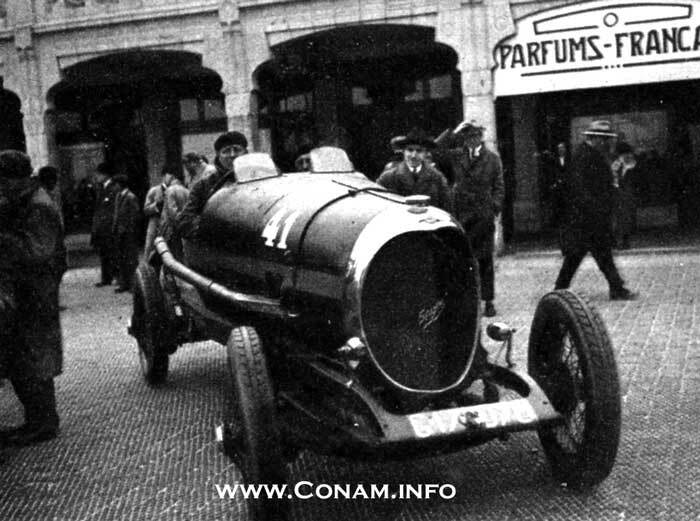 4,607 cc (281.1 cu in). 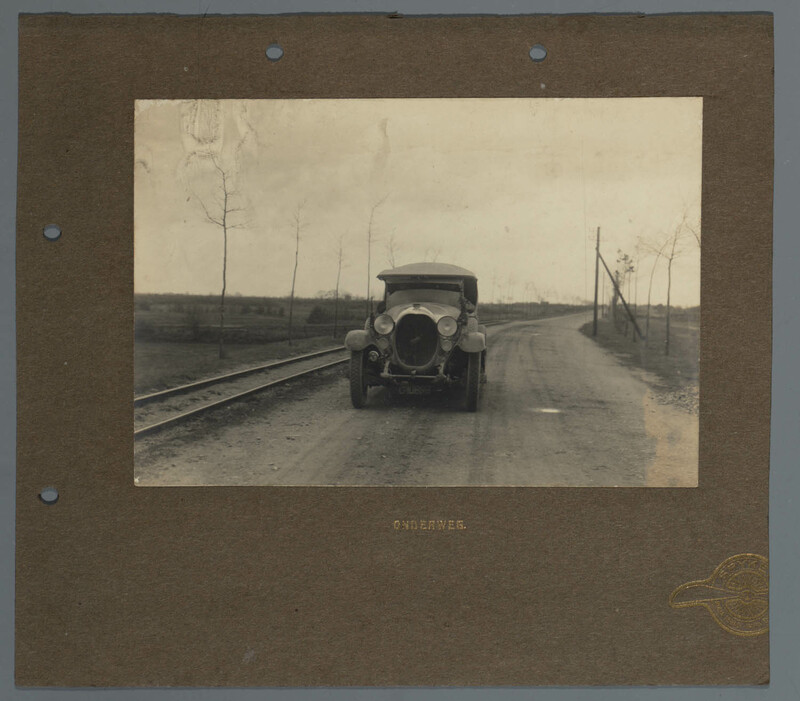 Two ton truck. 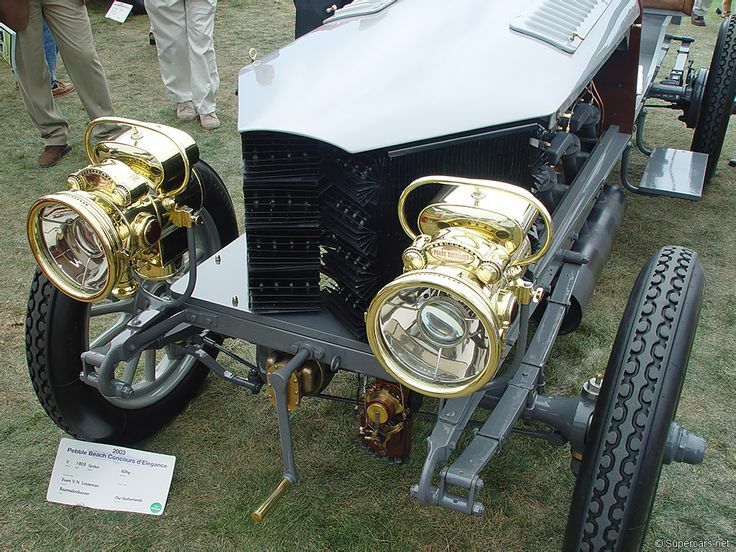 Spyker 30/40 C4 1920–1926 6-cylinder Maybach engine. 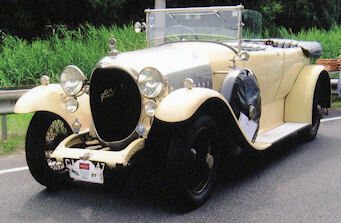 5,742 cc (350.4 cu in). 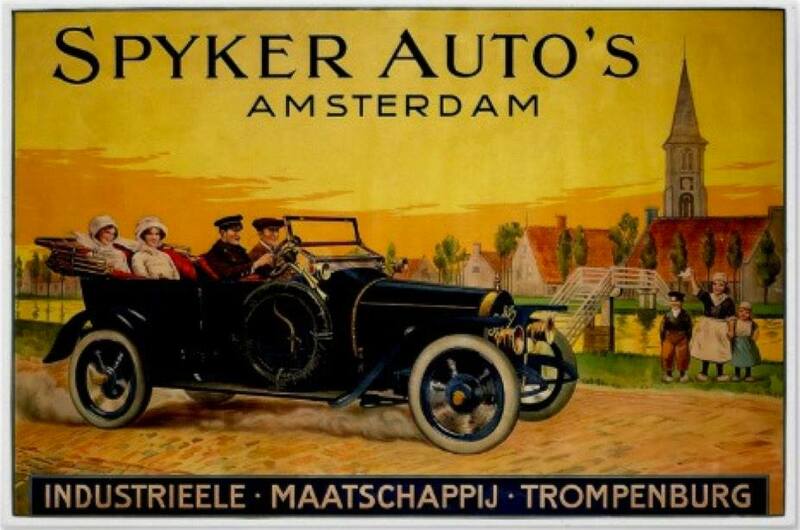 Both Spyker brand automobiles appear on Dutch postage stamps (first day of issue: May 10, 2004). The car driven by Kenneth More in the 1953 film Genevieve, about the London to Brighton Veteran Car Run, is a 1904 Spyker 12/16-HP. 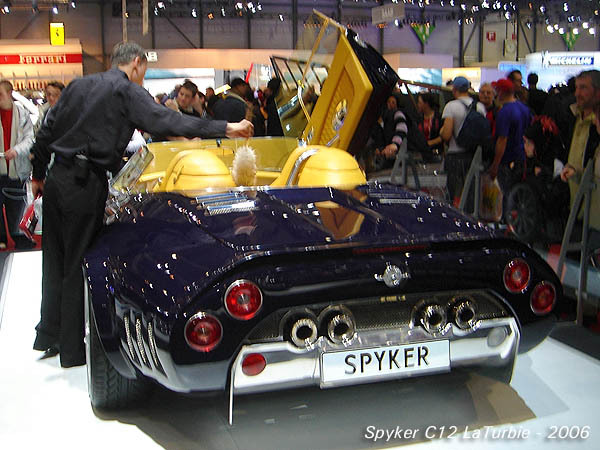 Spyker filed a voluntary petition on December 2, 2014 for financial restructuring in an effort to address certain short-term operational and liquidity challenges. 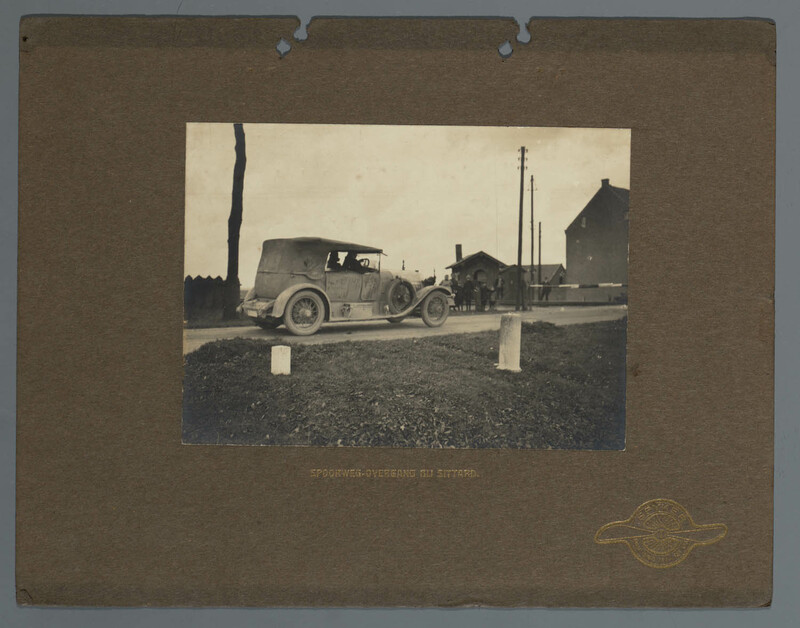 The company stated that the District Court of Midden-Nederland in Lelystad, the Netherlands (the “Court”) granted Spyker’s voluntary petition for temporary moratorium of payment (“surseance van betaling”), the Dutch equivalent of the American Chapter 11 proceedings, and has appointed an administrator who, together with the Board of Management, bears final responsibility for management of the company as long as the moratorium of payment status is in force. 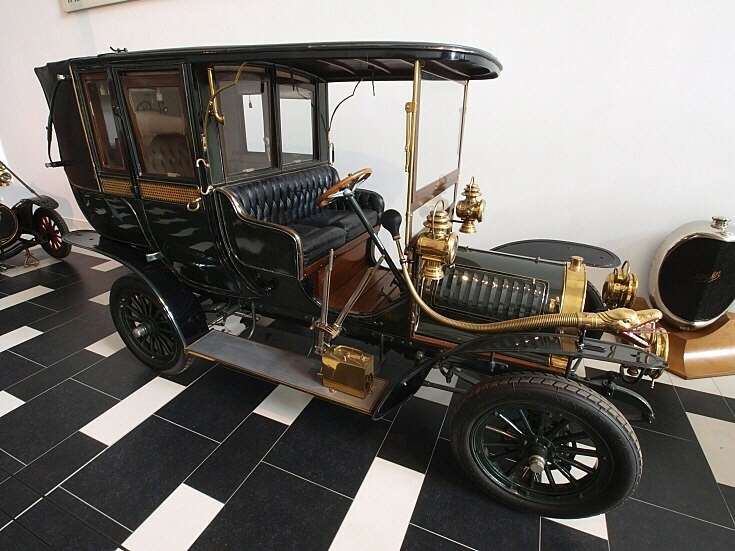 The Court’s ruling to grant a temporary moratorium of payment protects the Company from its creditors throughout the duration of the moratorium. 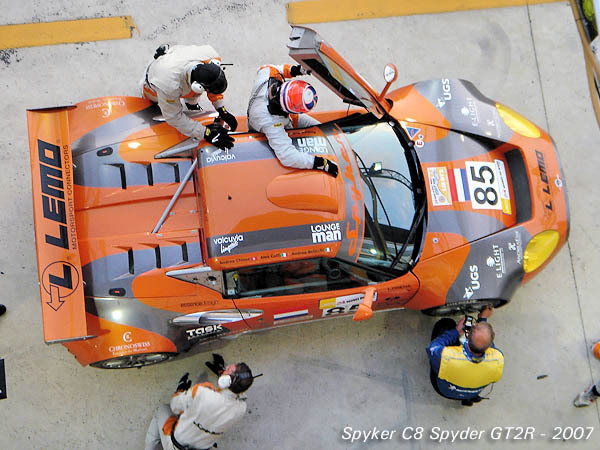 The Company’s wholly owned subsidiary Spyker Events & Branding B.V. entered temporary moratorium of payment a month ago. 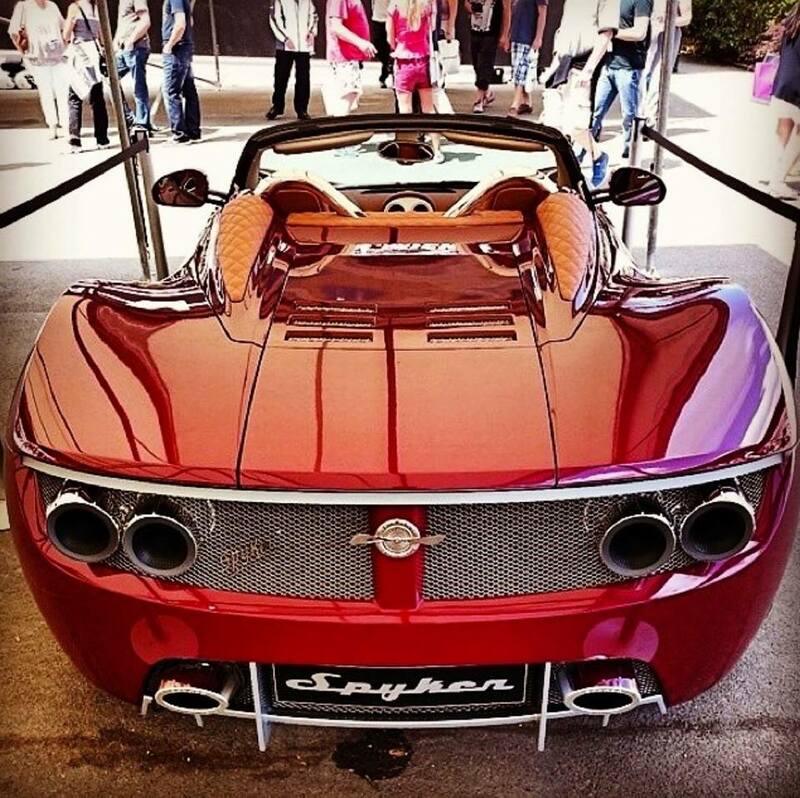 Spyker Cars (/ˈspaɪkər/, Dutch pronunciation: [ˈspɛi̯kər]) is a Dutch sports car marque. 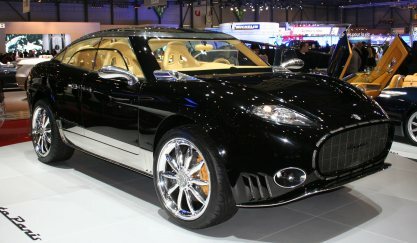 The modern Spyker Cars holds the legal rights to the brand name. 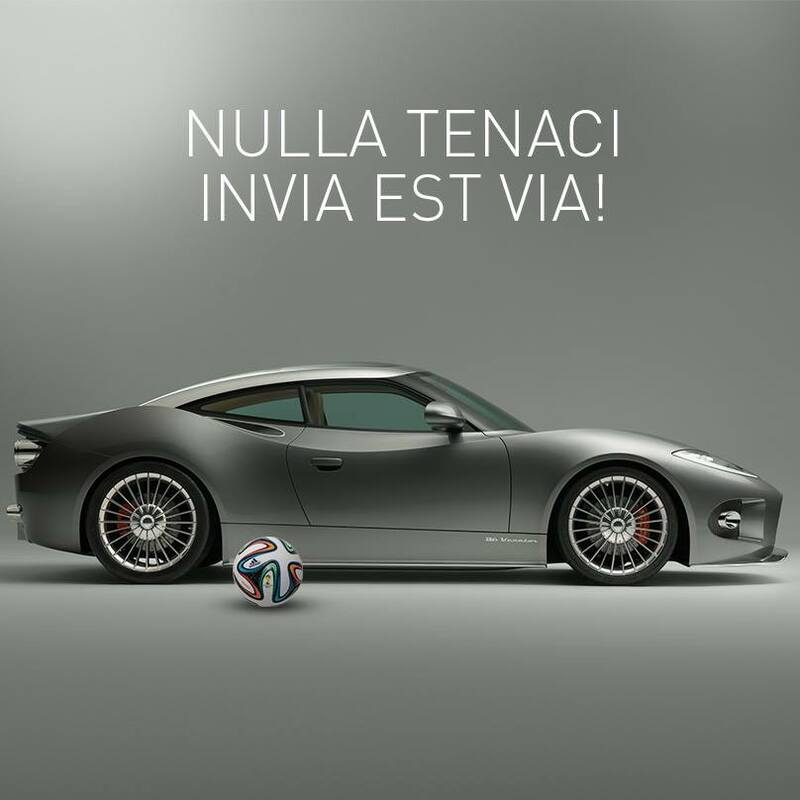 The company’s motto is “Nulla tenaci invia est via“, which is Latin for “For the tenacious, no road is impassable”. 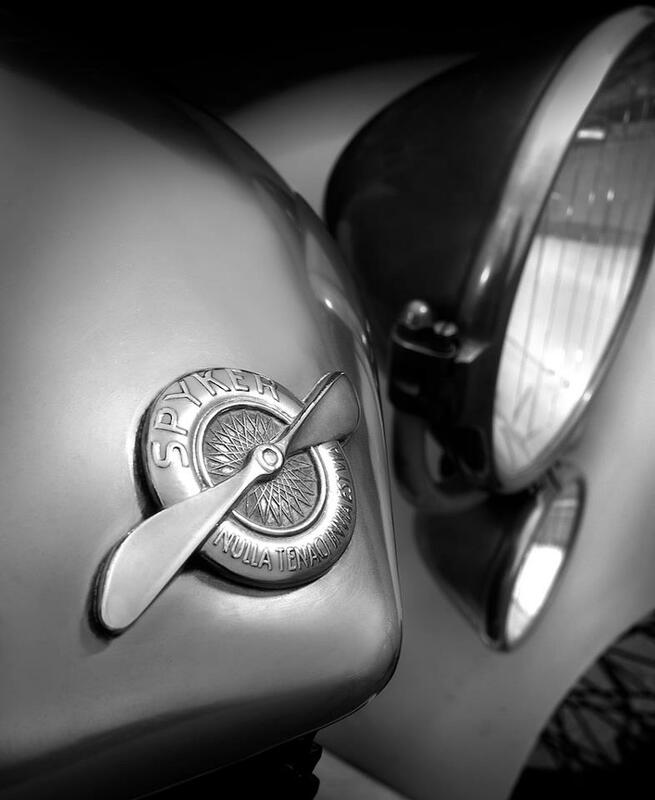 The marque’s logo displays the rotary engine of an airplane, a reference to the historic Spyker company which manufactured aircraft. 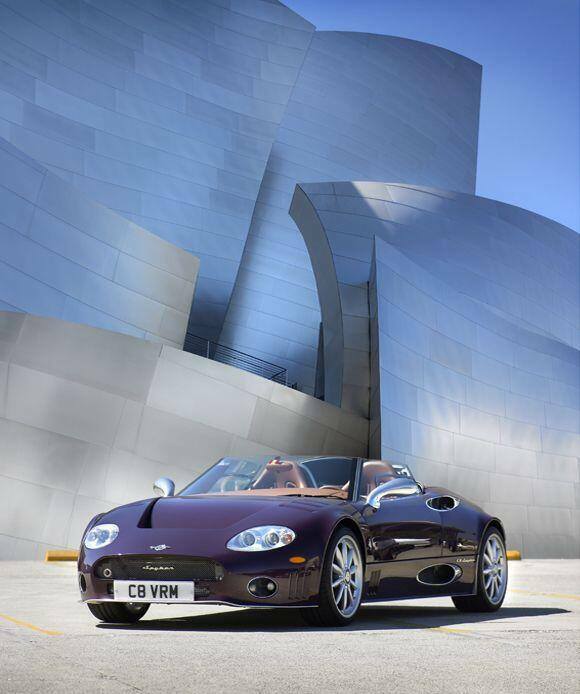 In an attempt to save Spyker from bankruptcy, Swedish Automobile in September 2011, announced the immediate sale of Spyker to American private equity and hedge fund North Street Capital for €32 million (US$41 million). 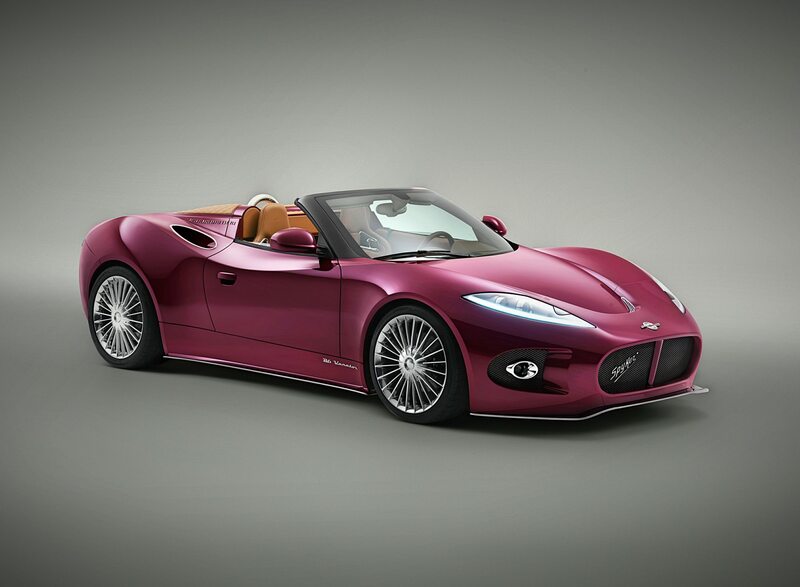 On December 18, 2014, Spyker confirmed that it deliberately had gone bankrupt, hoping to restructure its finances and getting back on its feet. 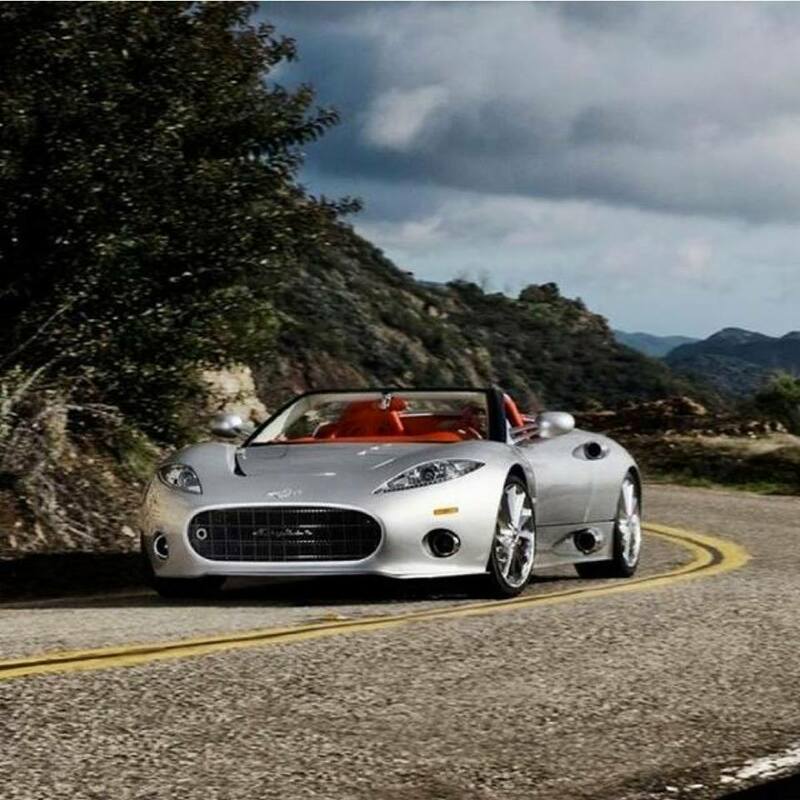 However, the bankruptcy declaration was reverted early 2015 and the company announced to continue with the production of sports cars. 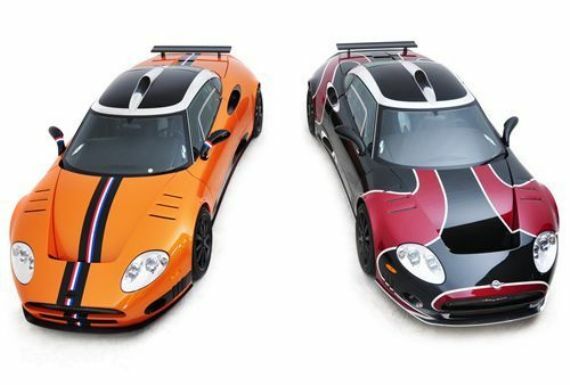 The reborn company was founded by Victor Muller and Maarten de Bruijn in 1999, and since 2000, Spyker has been building exclusive sports cars like the C8 Spyder and the C8 Laviolette (with its elegant glass roof). 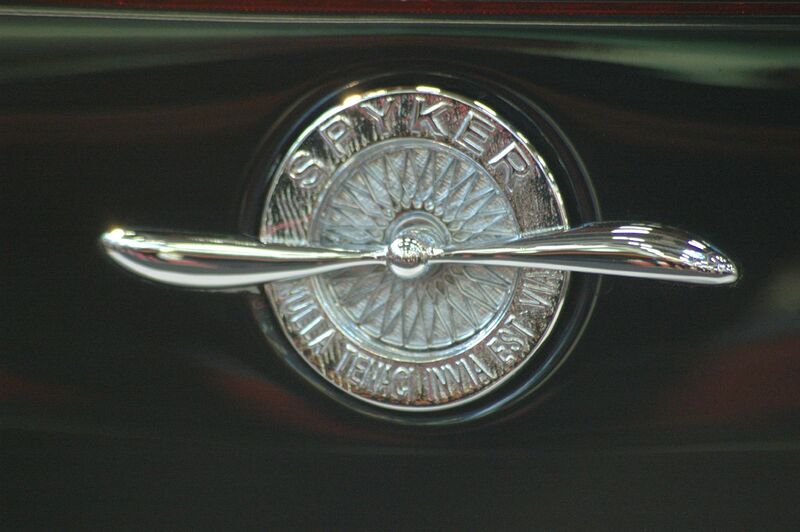 Spyker’s history of producing aero engines is reflected in details in these new cars as well as in the logo. 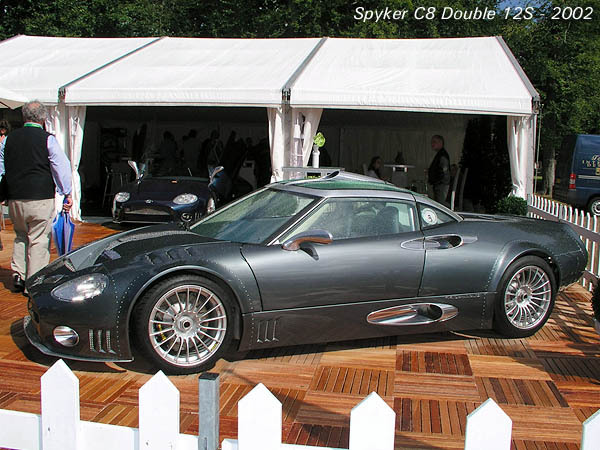 Before building the C8, de Bruijn had been building small numbers of the Spyker Silvestris, which in many ways foreshadows Spyker’s later cars. 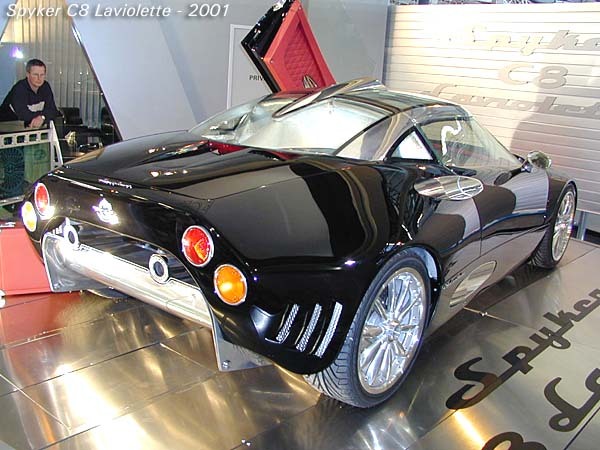 The C8 Laviolette and C8 Spyder have a 4172 cc Audi V8 engine delivering 400 bhp (298 kW; 406 PS), acceleration 0–60 mph in 4.5 seconds and a top speed of 300 km/h (190 mph). 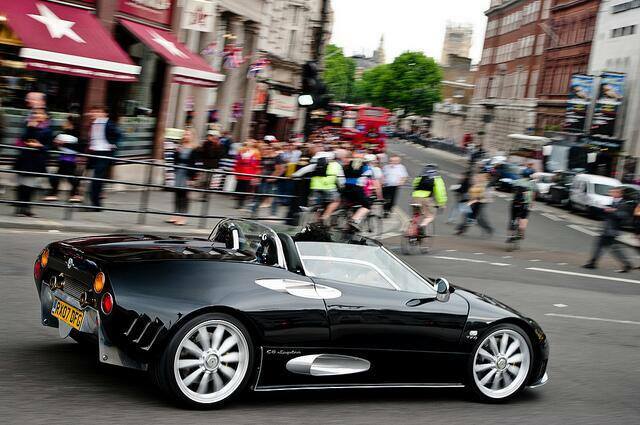 On July 14, 2005, it was announced that the C8 was approved for sale on the United States market. 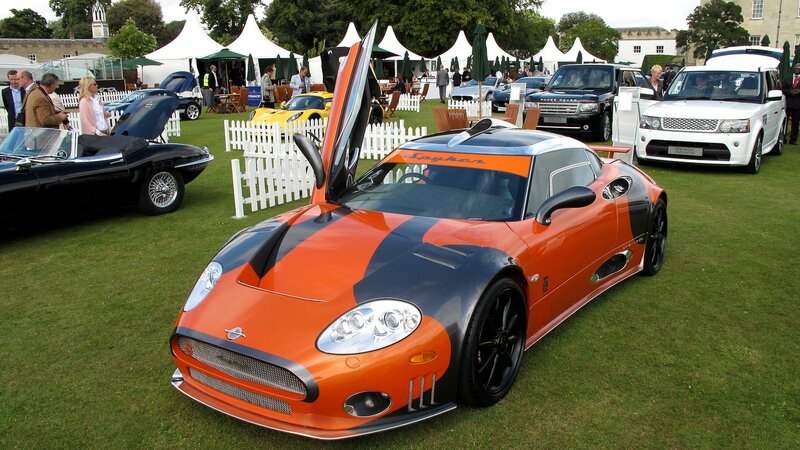 A Spyker C8 at Salon Prive, London, England. 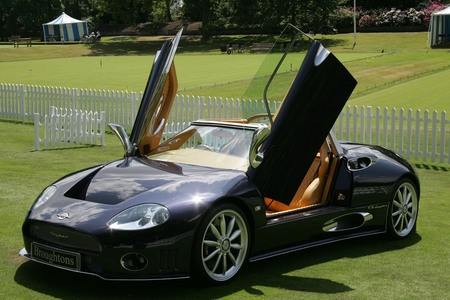 Between 2002 and 2006, Spyker built the C8 Double 12 S, which was available from the factory with 5 different levels of performance called Stage I (400 h.p.) 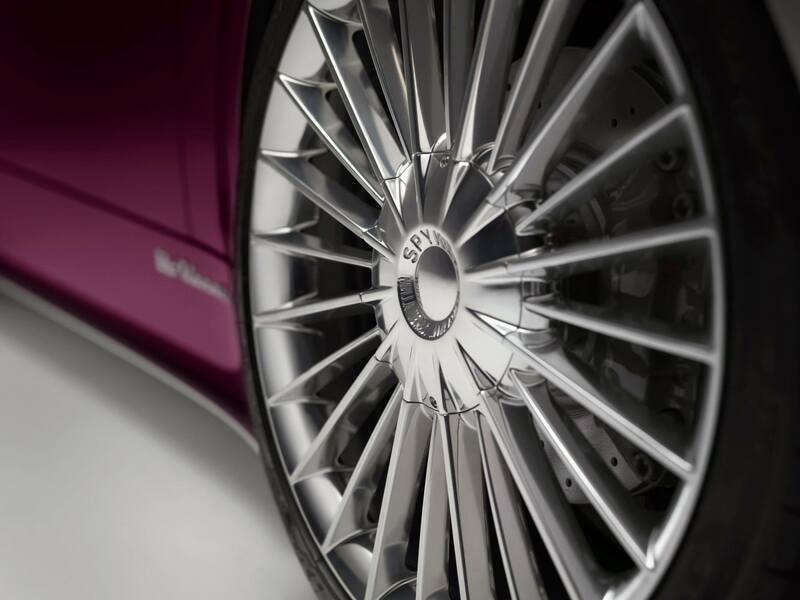 through Stage V (620 h.p. 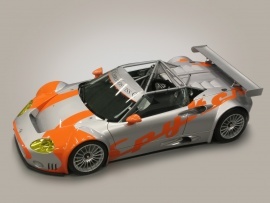 ), depending on the customer’s need for performance. 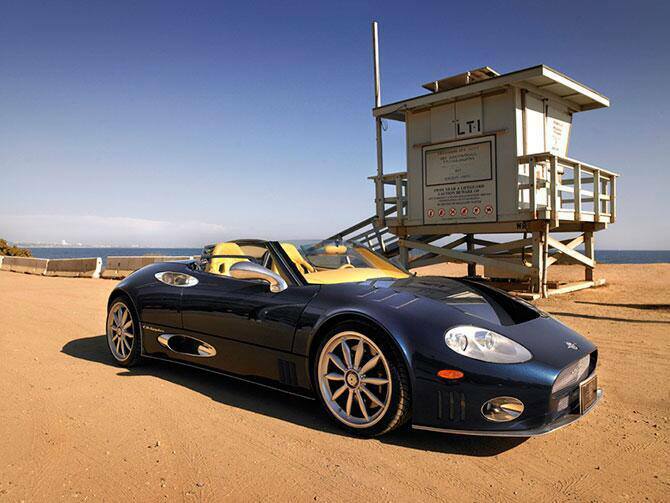 Between 2003 and 2007, Spyker built the C8 Spyder T, with the Twin turbo being developed in conjunction with Cosworth from England. 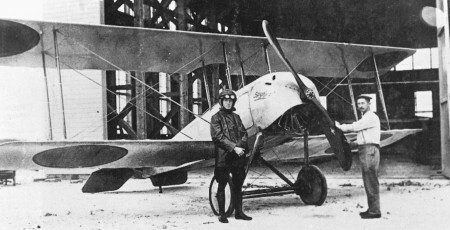 These engines were capable of 525 h.p. 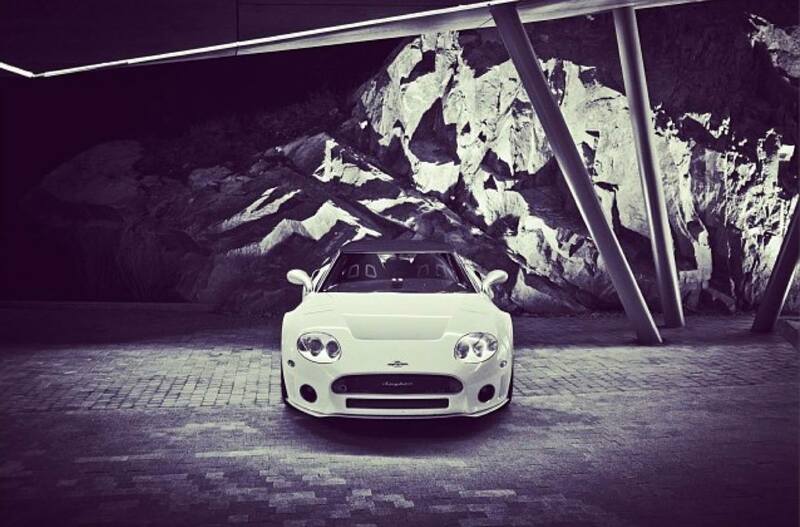 and acceleration times of 4.0 seconds. 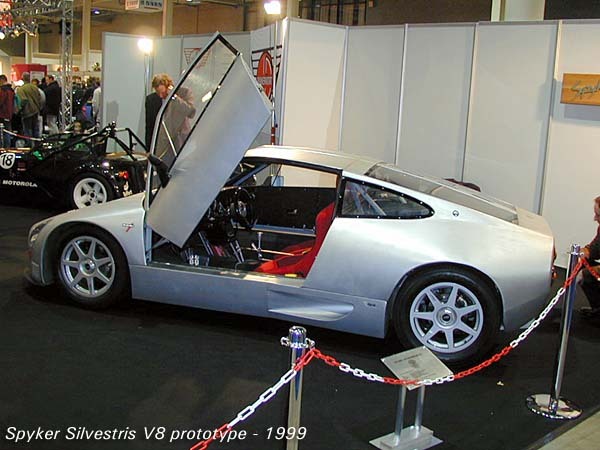 In 2005, the head designer and founder, Maarten de Bruijn, left the company, and founded Silvestris Aquamotive which builds aluminum space frame speed boats. 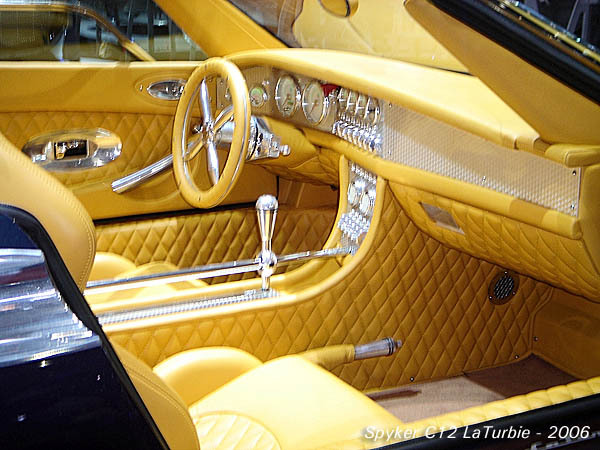 In 2006, Spyker built the C12 La Turbie with an V12 engine capable of 500 horsepower and acceleration from 0–60 mph in less than 4 seconds. 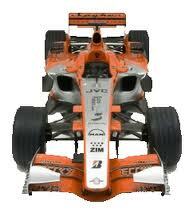 In September 2006, Spyker bought out the Midland F1 team. 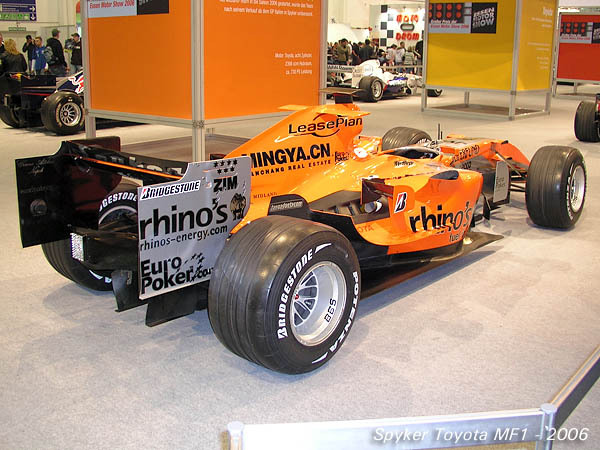 The team competed in the final 3 races of the 2006 season as Spyker MF1. 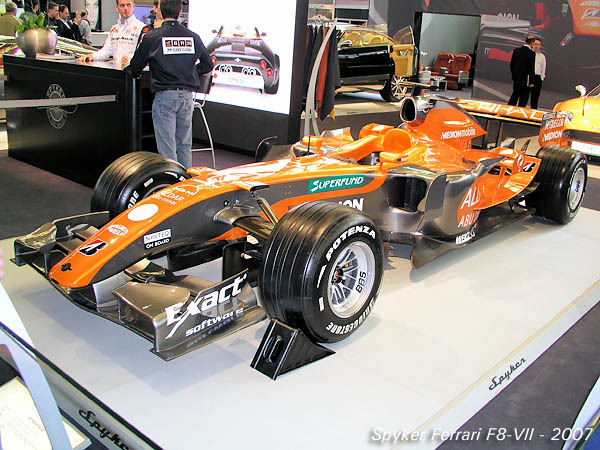 In the 2007, the team competed as Spyker F1 using engines supplied by Ferrari. 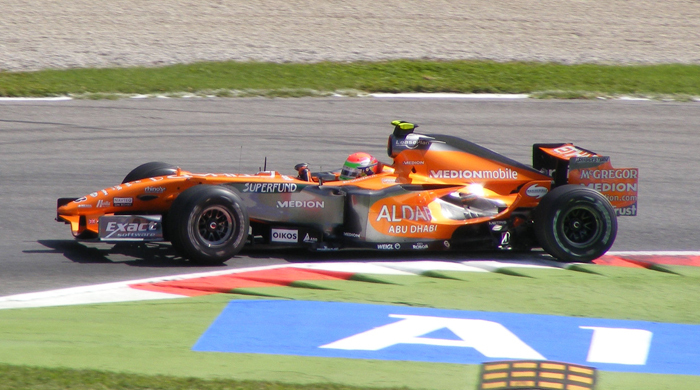 Driver Adrian Sutil was paired with Christijan Albers until the European Grand Prix where the latter was replaced by reserve driver Markus Winkelhock; the team then signed Sakon Yamamoto to fill in the slot for the rest of the year. 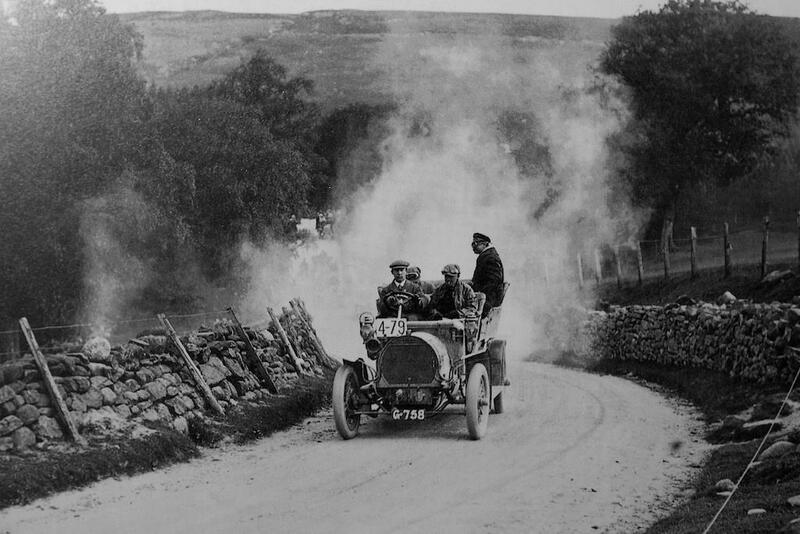 The team itself had minimal success, suffering from multiple retirements (including double retirements in Malaysia, Canada and Brazil) before Sutil scored the team’s first and only point in Japan. 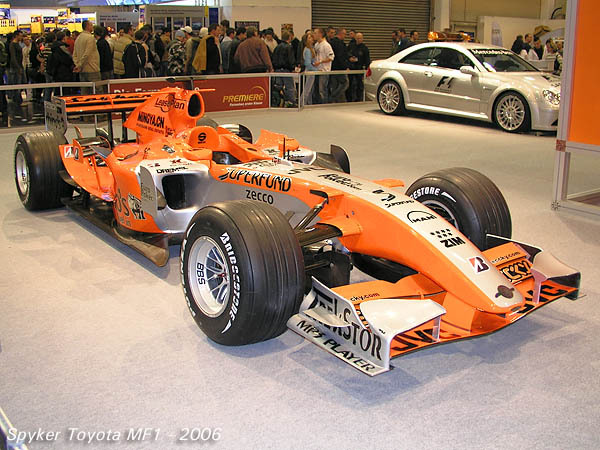 At the end of the season, the team was sold to a consortium named “Orange India” led by Vijay Mallya and was subsequently renamed as Force India. 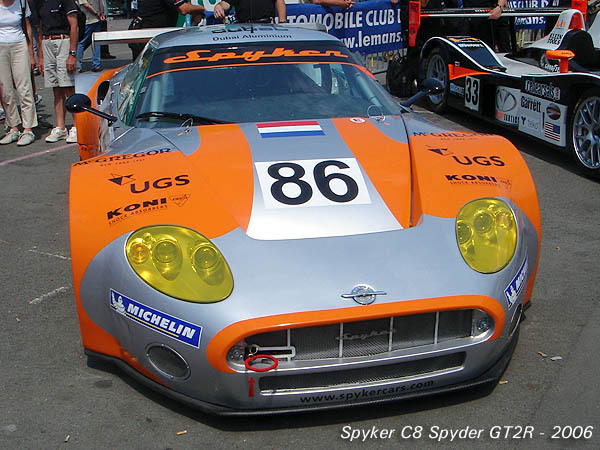 On May 27, 2004, Spyker Cars listed on the Euronext Amsterdam Stock Exchange at €15.50, falling to a low of €8.28 in April 2005. 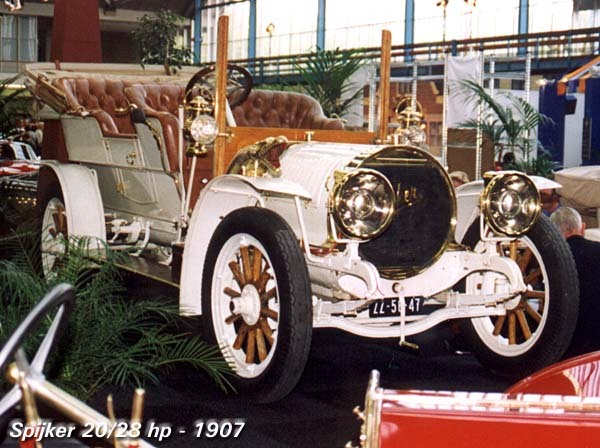 The stock rebounded sharply in early 2006 to over €22 per share. 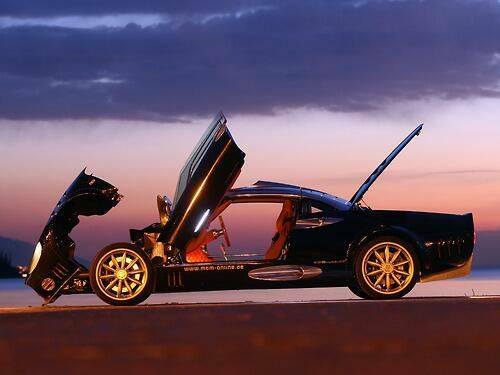 Early in 2007 the stock showed a sharp decline to levels beneath €13 because of financing issues. 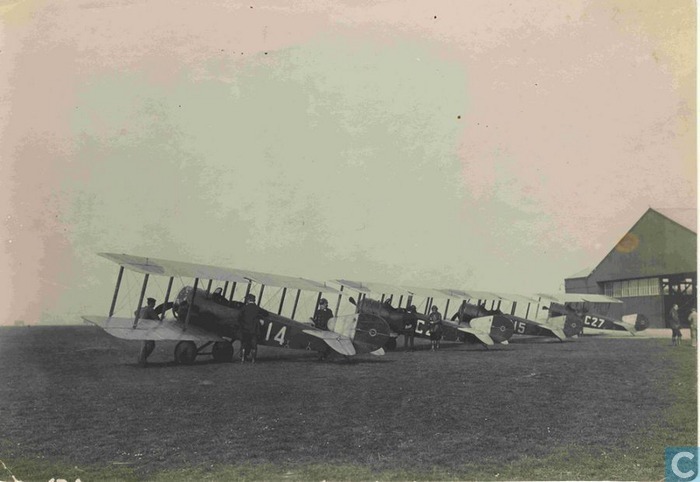 As a result, several stock issues were announced to big investors. 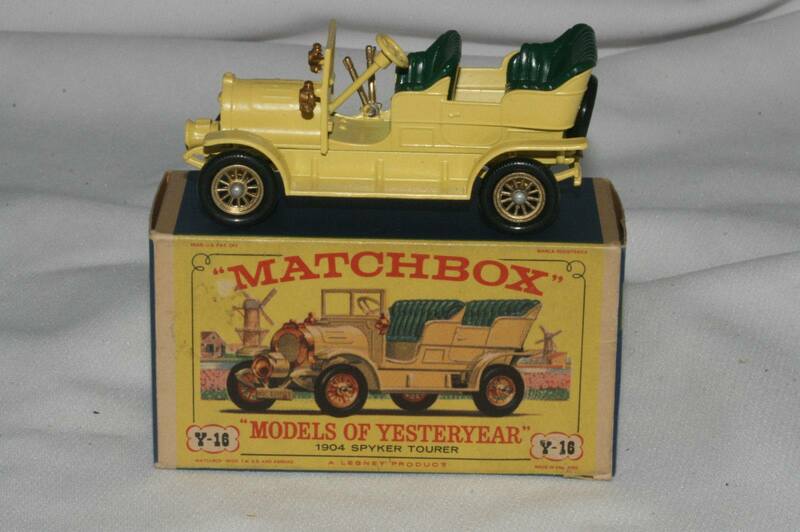 Notably, all shares have been sold at higher prices than the market price at the moment of announcement. 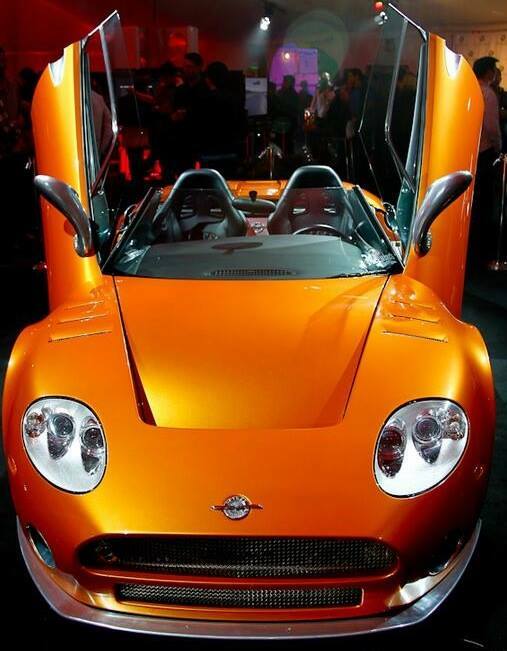 On November 13, 2005, Spyker Cars and Mubadala Development Company, a principal investment company wholly owned by the government of the United Arab Emirates, announced their strategic alliance, with Mubadala acquiring 17% of Spyker. 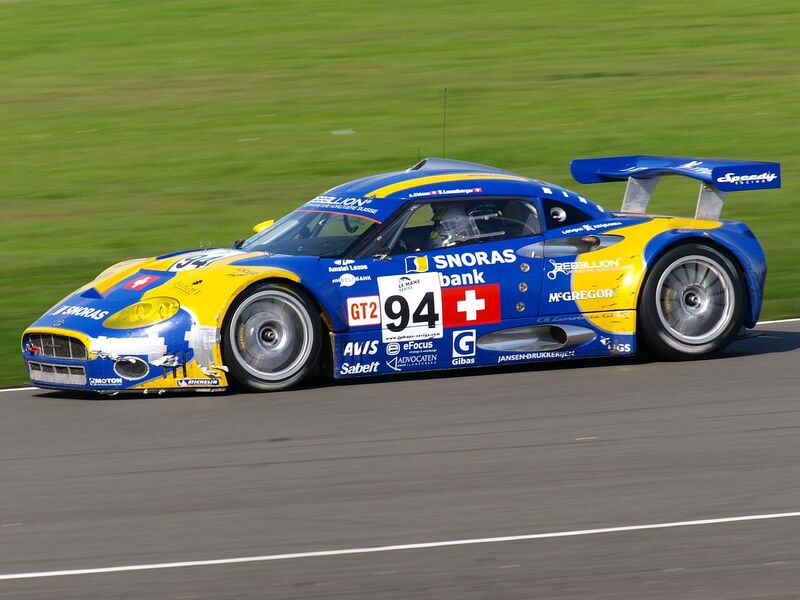 Mubadala has a strong relationship with sports cars, also controlling 5% of Ferrari. 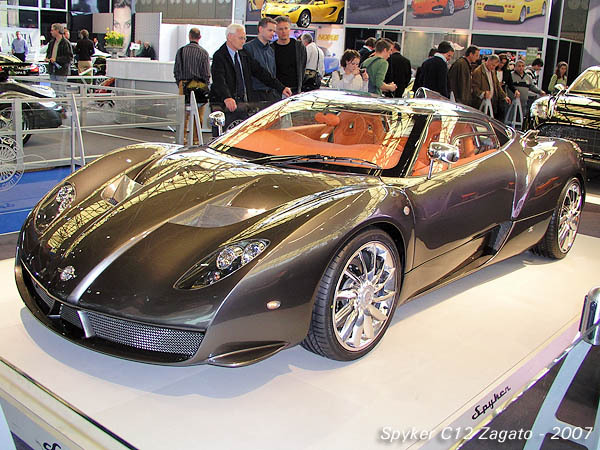 In 2007, Spyker, in collaboration with the Italian car-design firm Zagato, produced the C12 Zagato, based on the C12 La Turbie, but with more appealing body work, faster speeds, and the Zagato trademark roof bubbles. 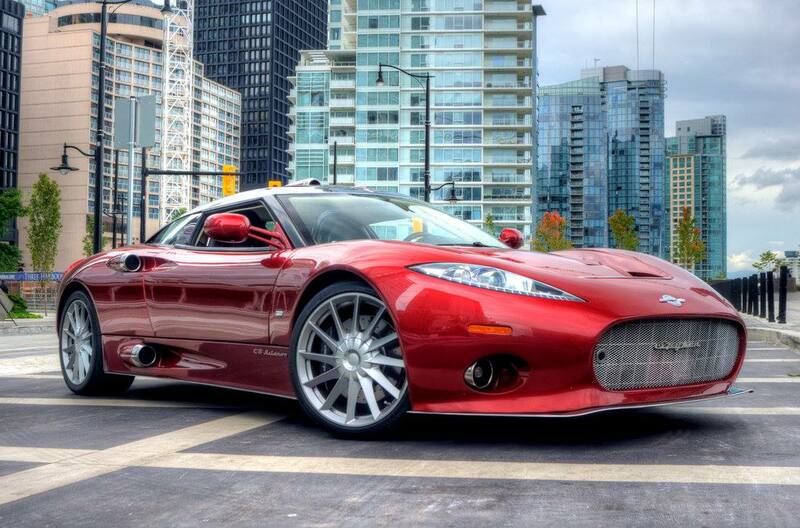 This is perhaps the more exclusive Spyker car to date. 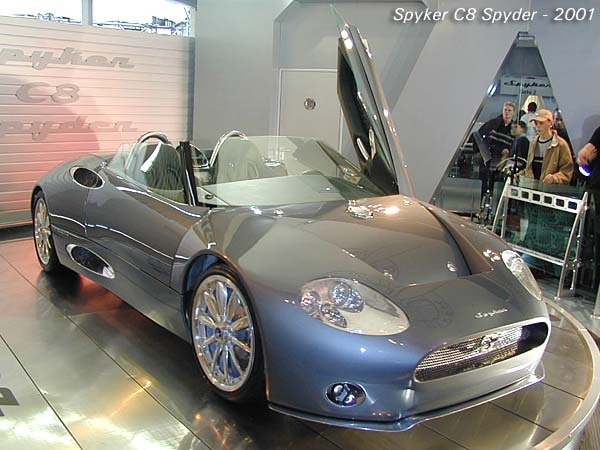 In November 2009, Spyker announced that it would be moving production from Zeewolde to Whitley, Coventry, where assembly would be done in partnership with CPP Manufacturing. 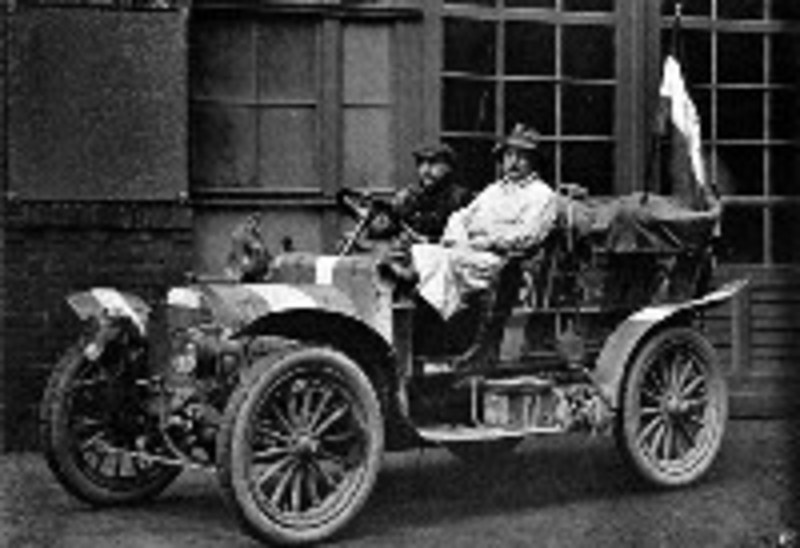 UK production began in February 2010. 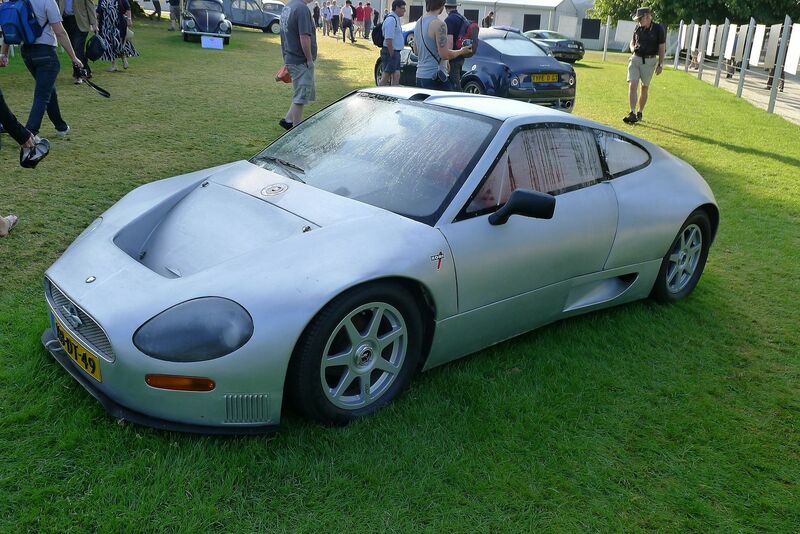 Due to the bankruptcy of SAAB and a falling out with business partners, the production was not moved to the UK. 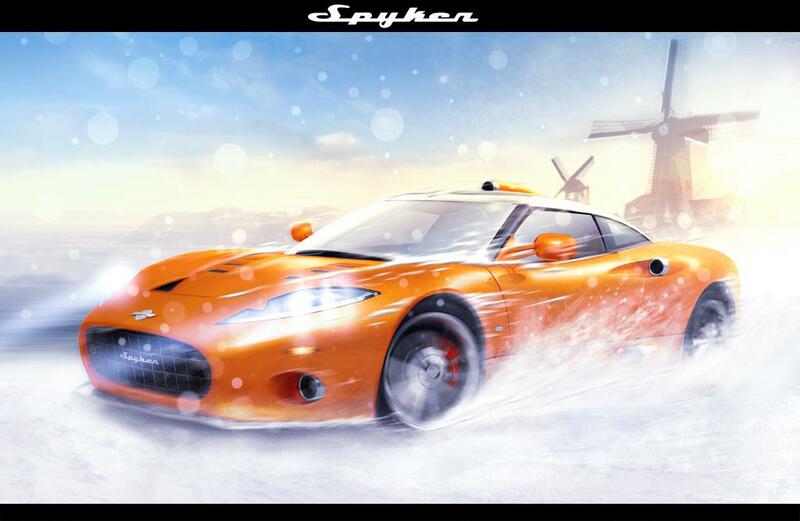 Spyker cars attempts, since 2012, to restart production in the Netherlands. 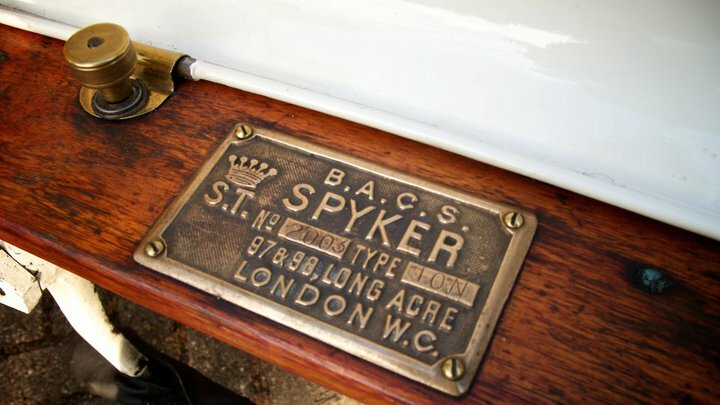 On 26 January 2010, General Motors (GM) confirmed that Spyker and GM had come to an agreement allowing Spyker to purchase Saab Automobile, subject to regulatory and government approval; the sale was completed on February 23, 2010. 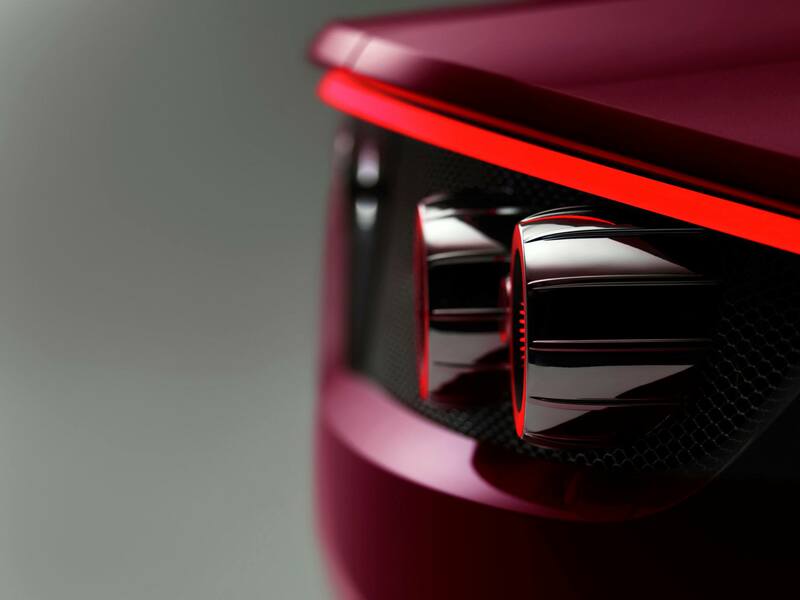 General Motors will continue to supply Saab with engines, transmissions and also completed vehicles in the shape of the new Saab 9-4x from GM’s Mexican factory. 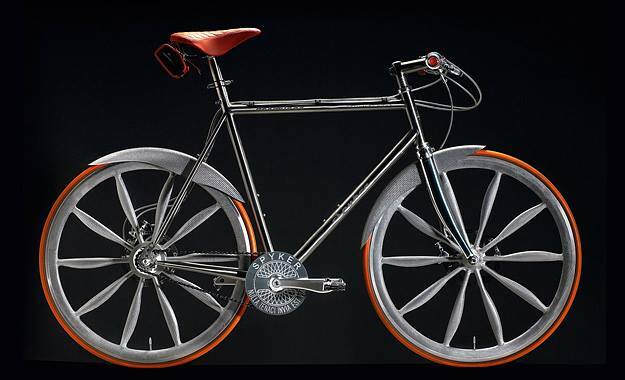 The deal includes a loan from the European Investment Bank, guaranteed by the Swedish government. 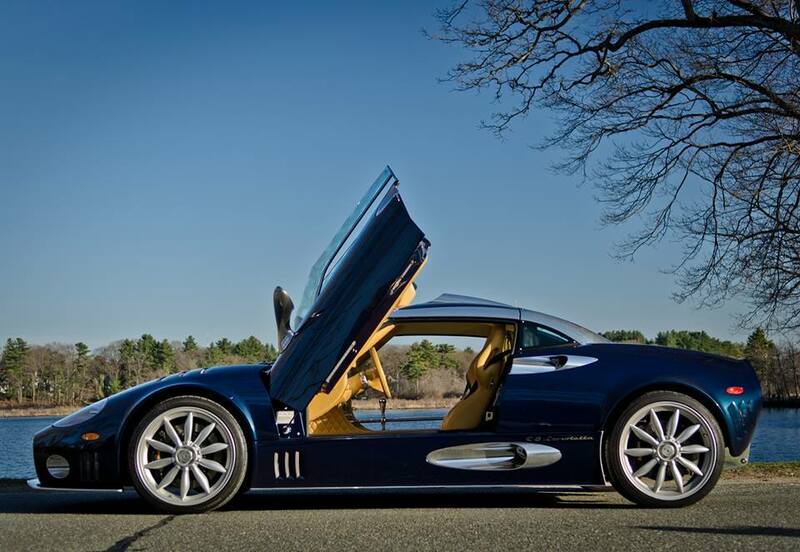 It comprises US$74m in cash up front, payable to GM by July 2010, and shares in Spyker to the tune of US$320m. 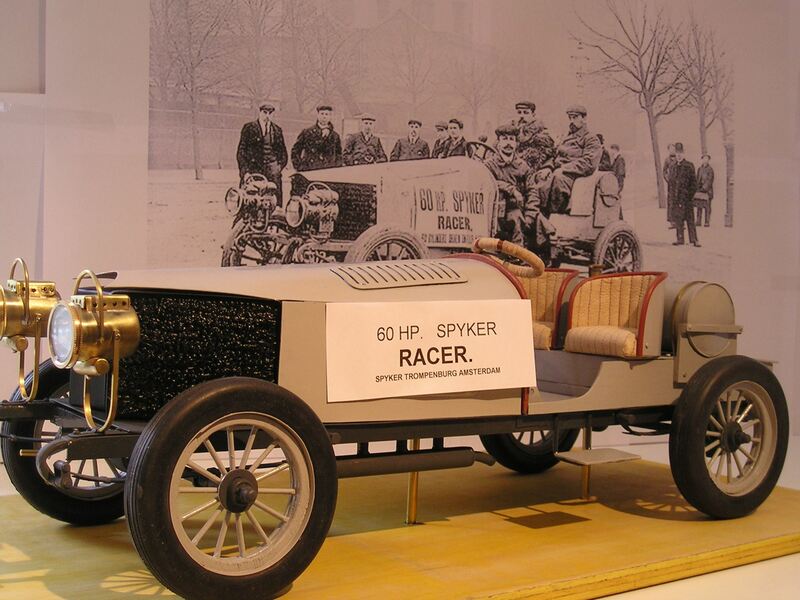 On February 23, 2010, Spyker Cars closed the deal to buy Saab Automobile from General Motors. 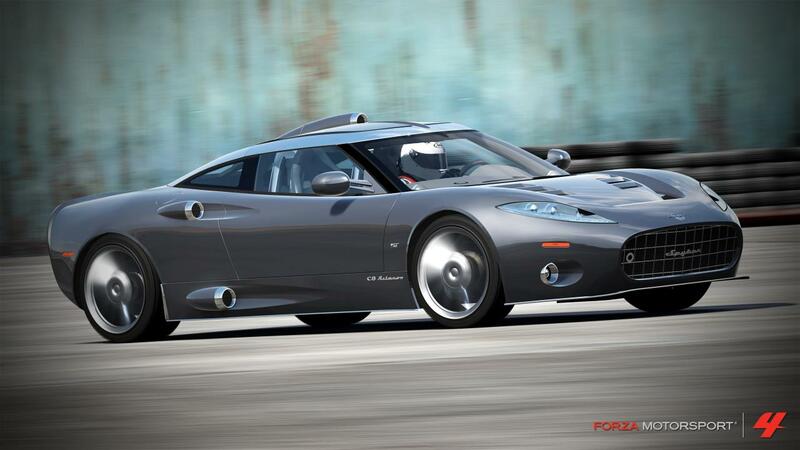 Spyker and Saab operate under the parent company Swedish Automobile, named Spyker Cars N.V.
Saab Automobile quickly ran out of money and Spyker was unable to fund the losses. 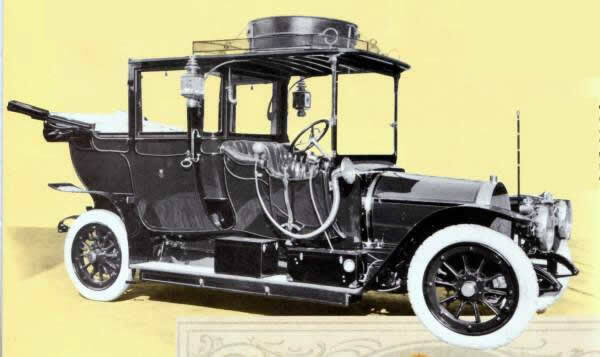 The companies stopped paying their bills early 2011. 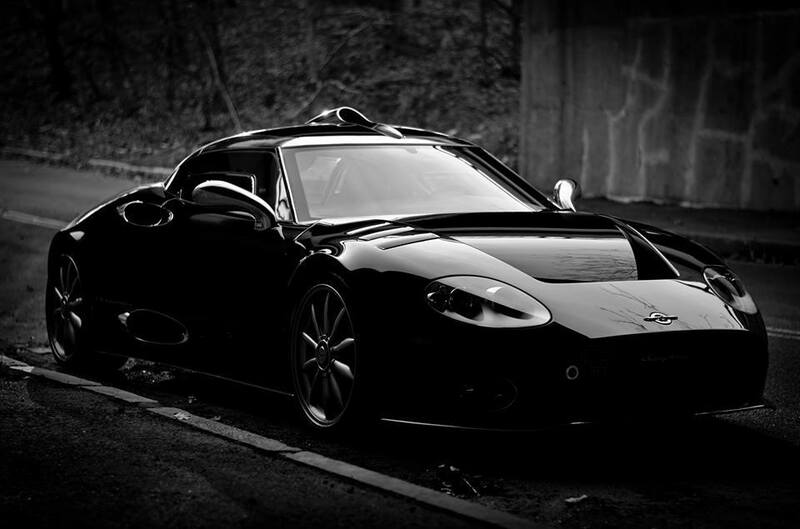 On March 30, 2011, production was halted at Saab Automobile, because suppliers refused to deliver without payment. 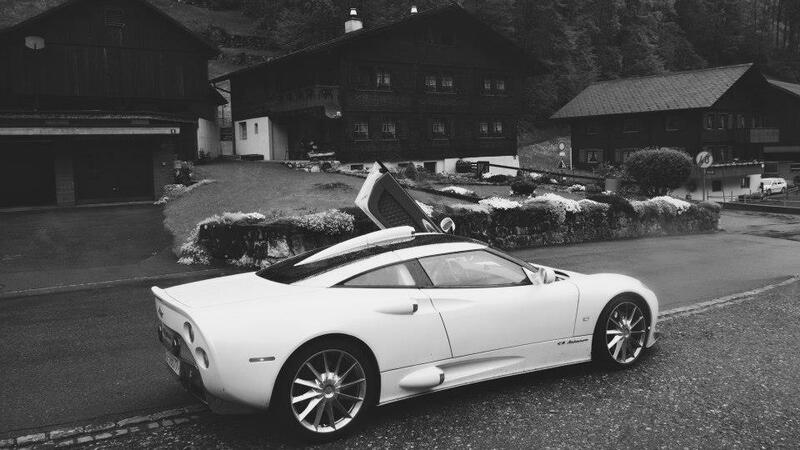 Spyker CEO Victor Muller made several attempts at acquiring funding. 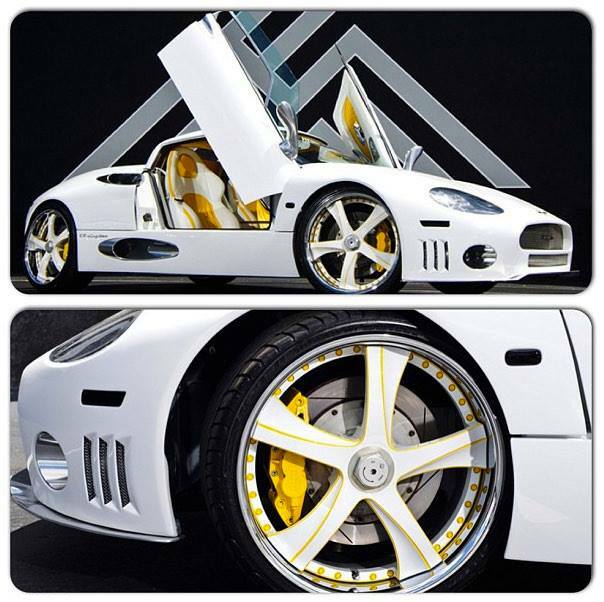 A joint venture with Chinese company Hawtai was announced on May 3, 2011, only to fall apart a week later. 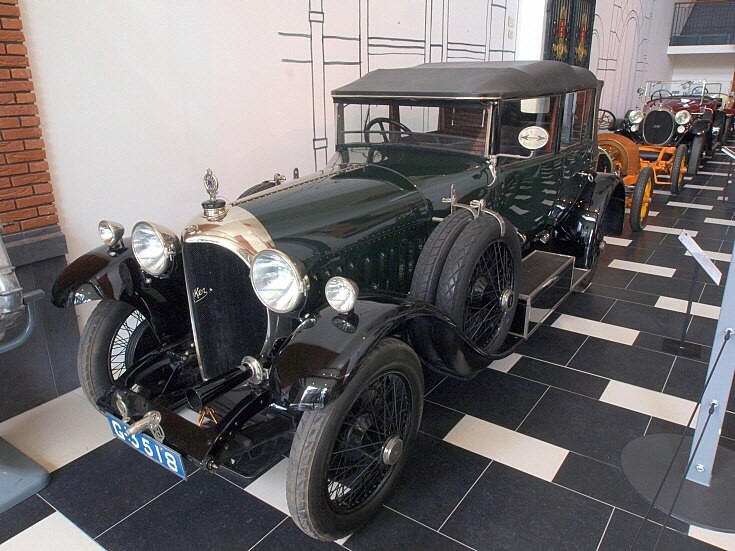 Shortly afterwards joint ventures with Chinese car maker Youngman, and Chinese car-dealership chain Pang Da were announced. 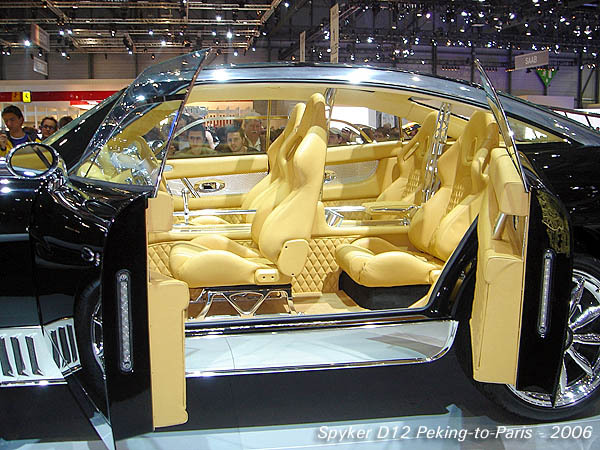 Negotiations ended with Spyker attempting to sell all of the shares in Saab Automobile to the Chinese companies on October 28, 2011, for 100 million euros. 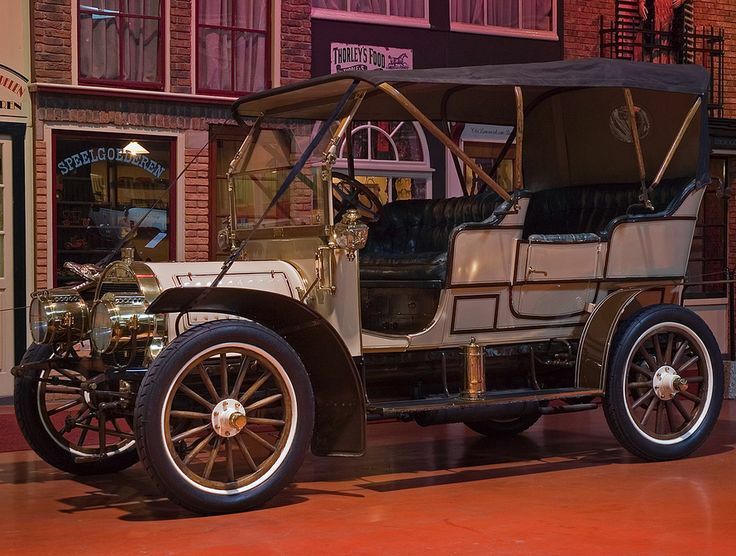 This transaction did not have the approval of former Saab-owner General Motors, who refused to supply technological licenses to Youngman and Pang Da. 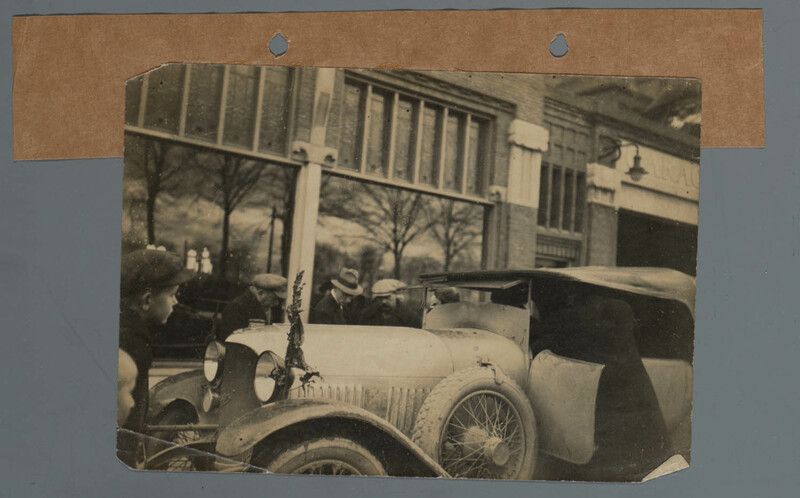 The proposed deal fell apart. 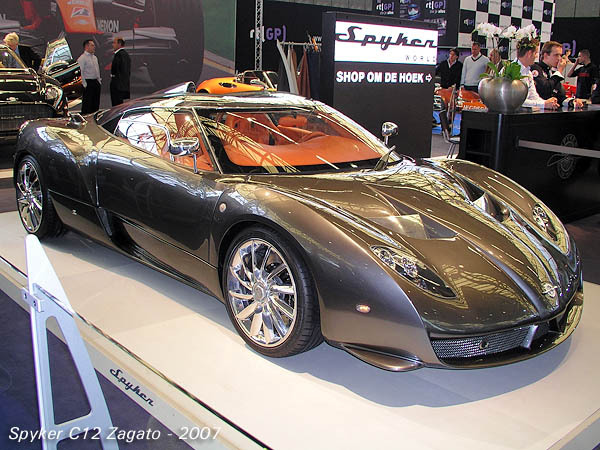 Spyker CEO Victor Muller applied for the bankruptcy of Saab Automobile on December 19, 2011. 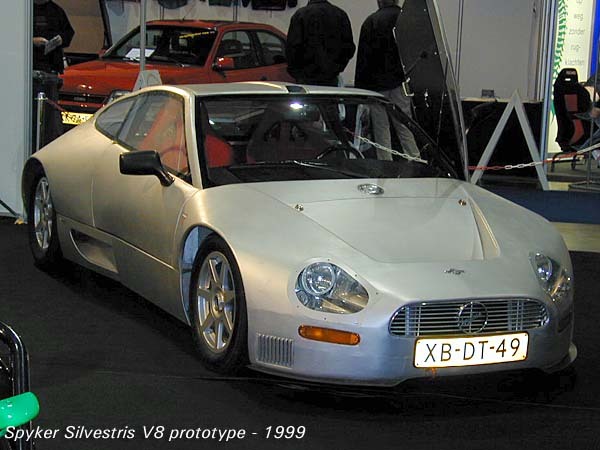 In February 2011, it was announced that Swedish Automobile, the Dutch owner of Saab Automobile, agreed to sell its sports-car unit to Vladimir Antonov. 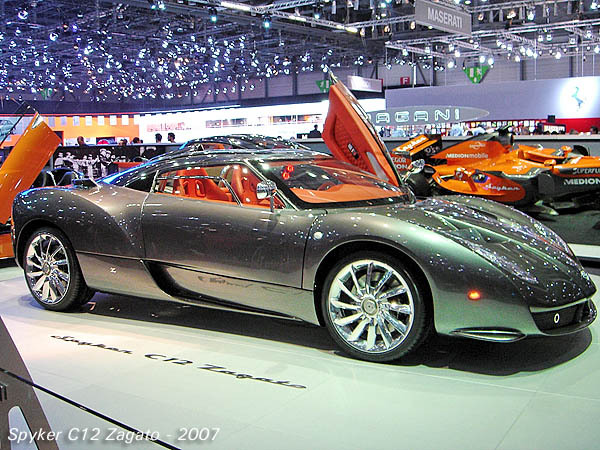 Antonov, a former Spyker chairman and shareholder, was expected to pay 15 million euros (US$21 million) for the company. 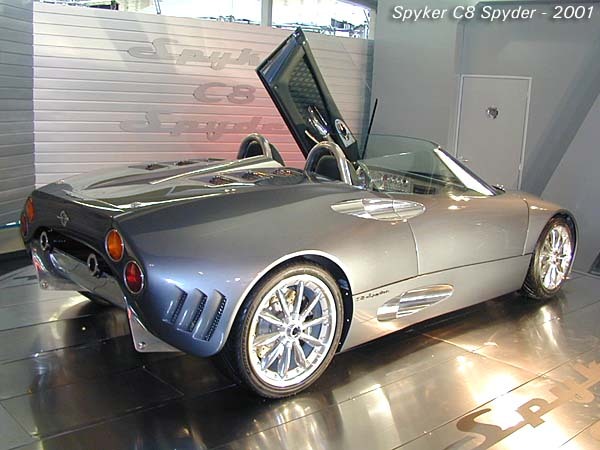 However, in March 2011, the deal fell through, with Spyker’s manufacturing partner CPP Manufacturing placing a bid, but this deal fell through later that month. 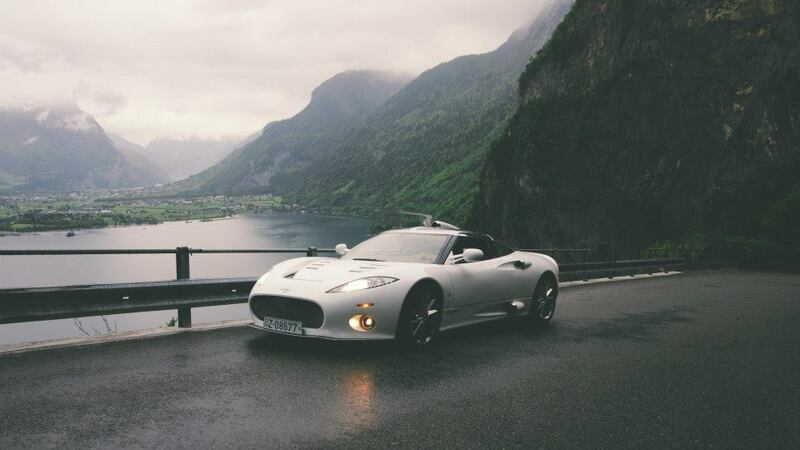 In September 2011, it was announced that Swedish Automobile would sell Spyker Cars, in an all-cash offer to an American private equity and hedge fund North Street Capital, for €32 million (US$41 million). 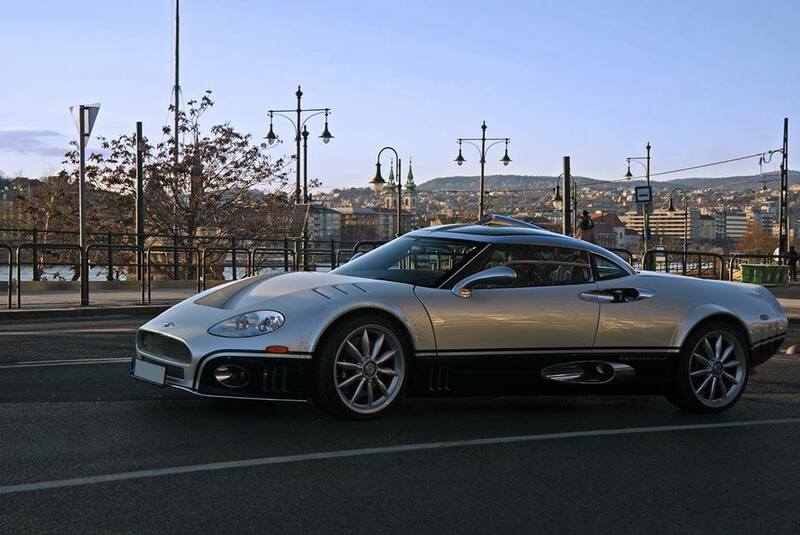 In January 2012, Swedish Automobile again offered Spyker cars up for sale, but this sale did not actually occur. 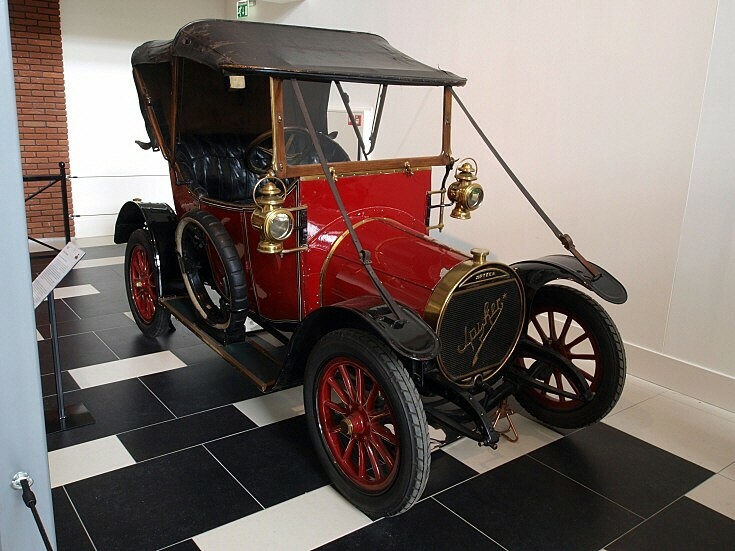 Saab was eventually sold in June 2012 to a Chinese-Swedish investment group called National Electric Vehicle Sweden (NEVS). 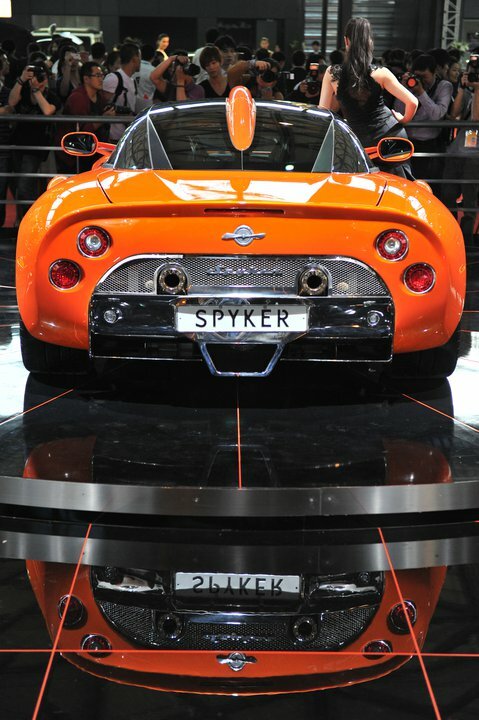 In August 2012, Spyker announced that Youngman Ltd. acquired a 29.9% stake in its parent company Spyker N.V. for €10 million (US$12.5 million). 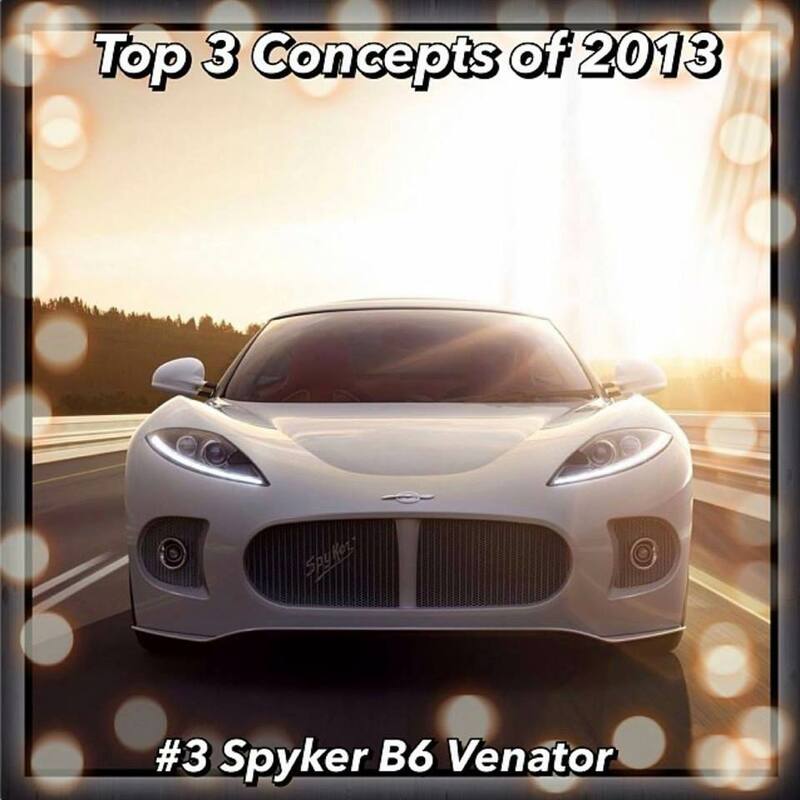 In March 2013, the B6 Venator was unveiled at the Geneva Motor Show, the B6 Venator was noted as Spyker’s first concept car in nearly four years. 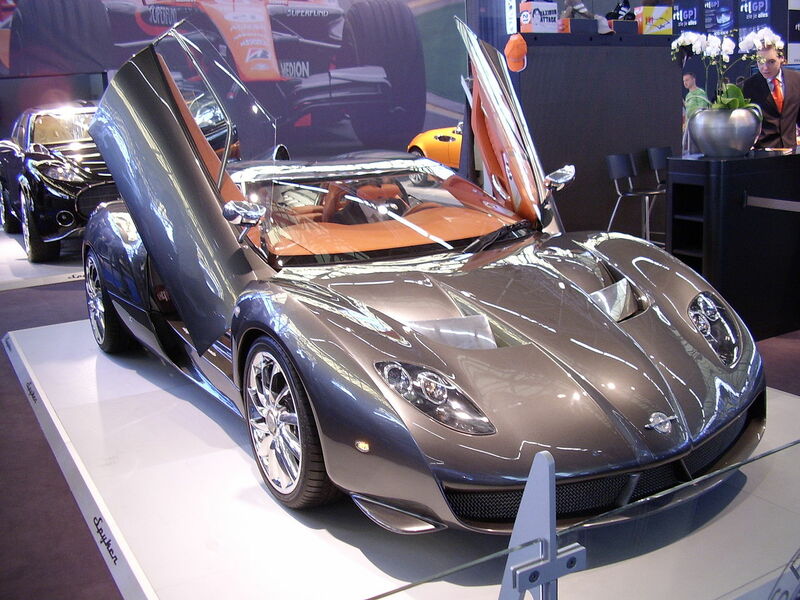 On September 16, 2013, Spyker Cars’ parent Spyker N.V. lost its listing on Euronext Amsterdam after failing to undergo a restructuring agreement. 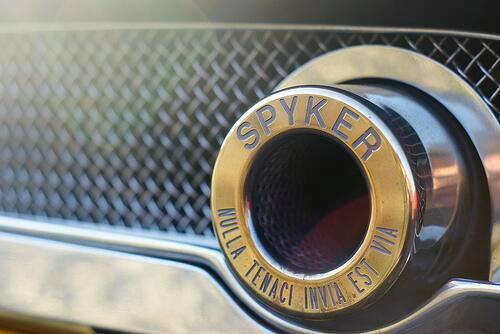 On 2 December 2014 Spyker NV was granted a moratorium of payment (financial restructuring) by the Dutch court “Midden Nederland”. 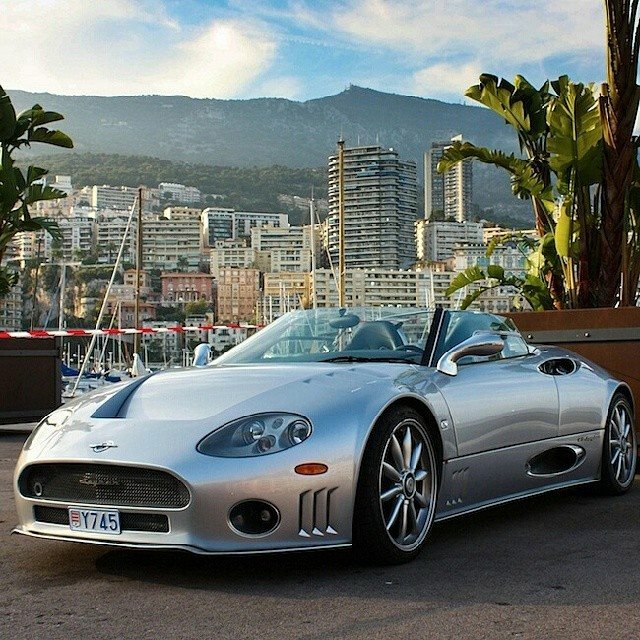 Spyker needed protection from creditors for its liquidity problems. 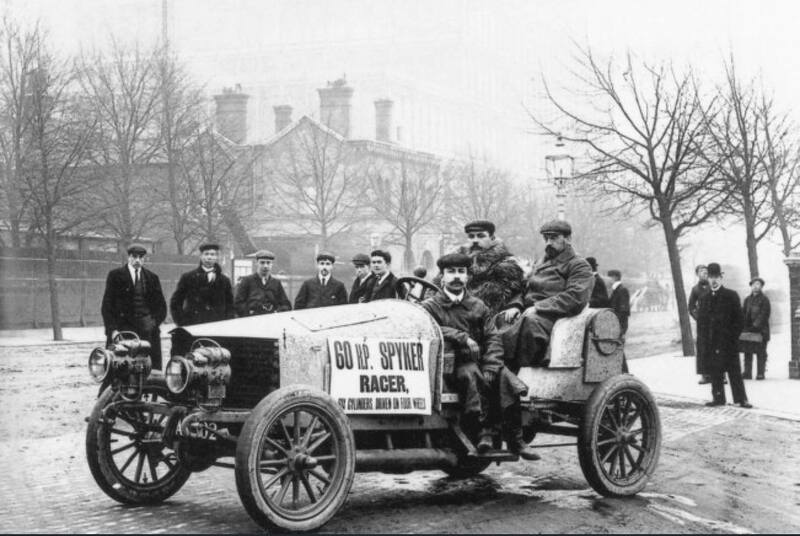 Victor R. Muller, Spyker founder and chief executive, said “Over the past few years, Spyker has faced a number of serious difficulties and challenges resulting from, among others, the legacy of the F1 era and the acquisition of Saab Automobile AB,”. 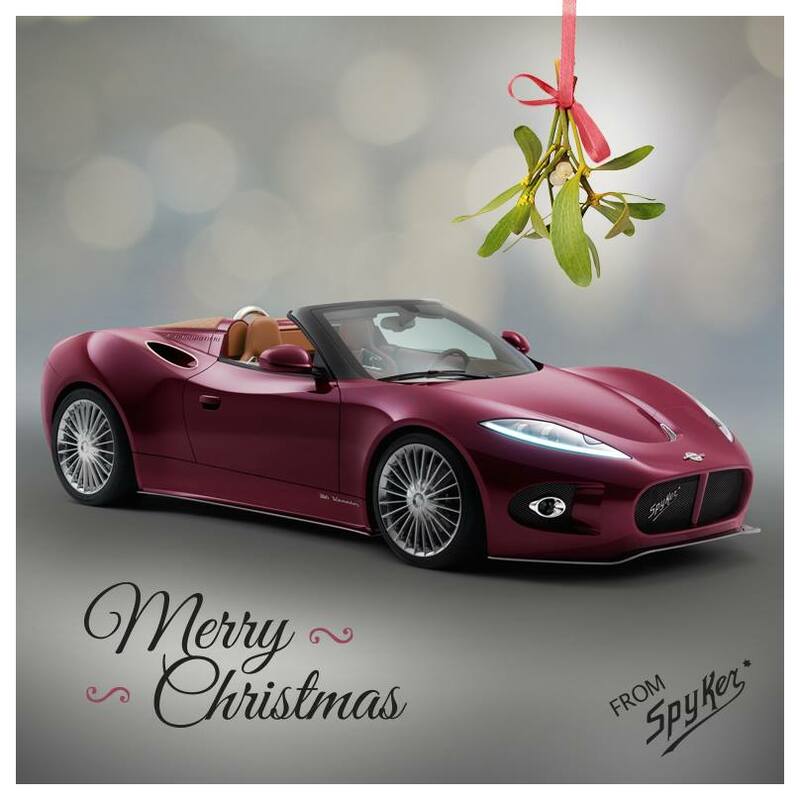 On 18 December 2014 Spyker NV was declared bankrupt by the Dutch court “Midden Nederland”. 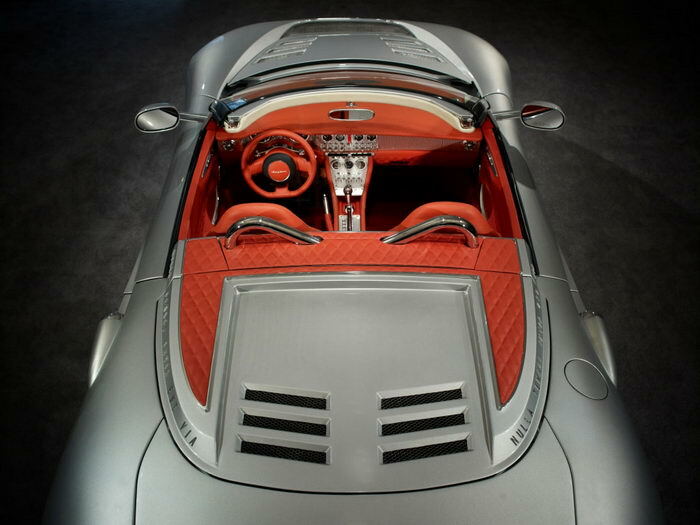 Victor R. Muller, Spyker’s founder and chief executive, said “In 2000 our objective was to found a global sports car manufacturer, and we did just that. 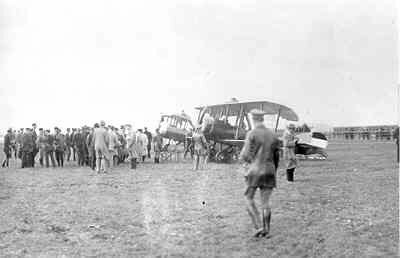 During this time we deployed several challenging activities. 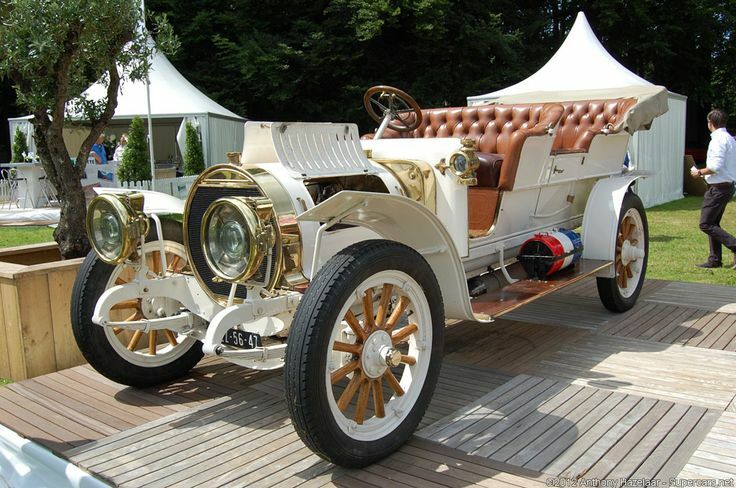 These have affected the company, and contributed to our decline,”. 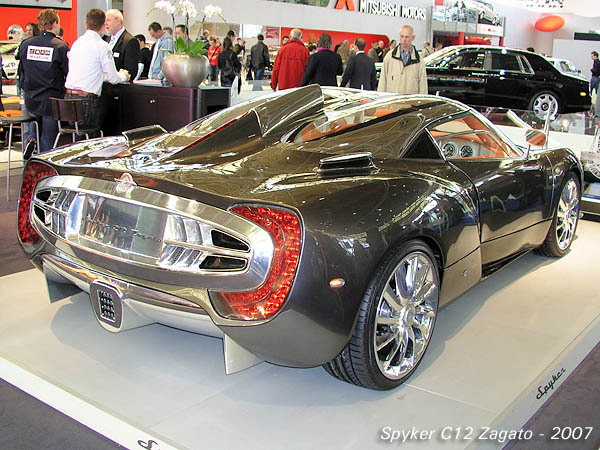 Spyker appealed the bankruptcy declaration, and on 29 January 2015, the court reversed the declaration. 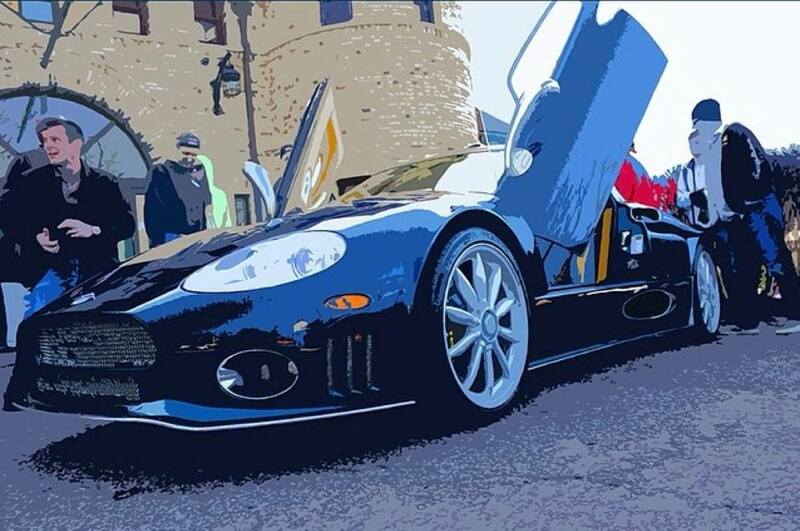 This meant that Spyker NV was protected from creditors, while solving its financial difficulties. 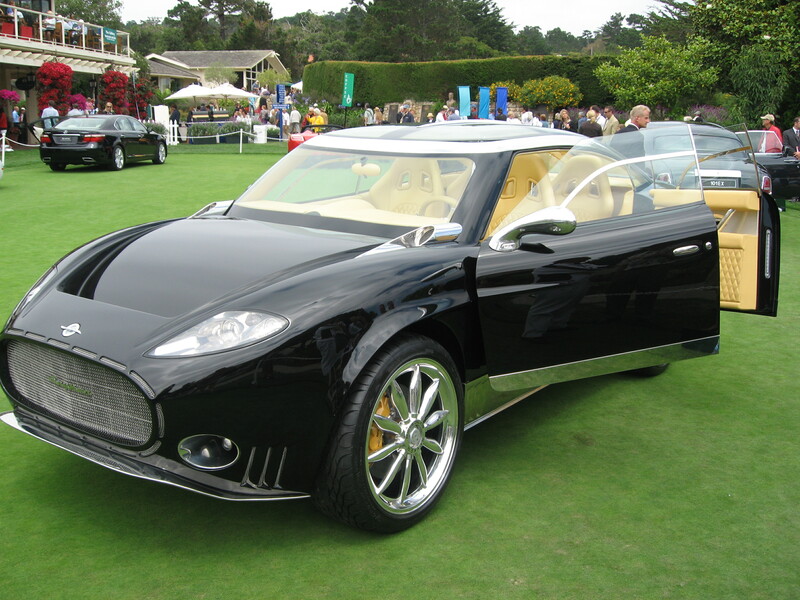 This allowed Muller to pursue plans to merge Spyker with an unnamed “US based manufacturer of high performance electric aircraft.” This proposed merger partner was eventually discovered to be a company called Volta Volare. 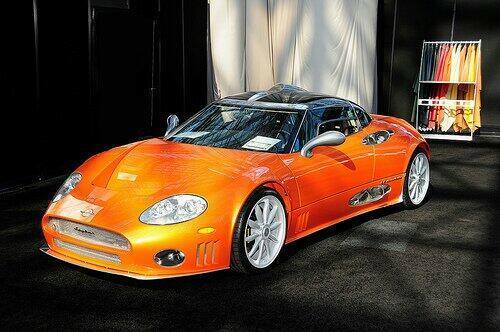 On May 13 of that year, Spyker NV closed a deal with the creditors. 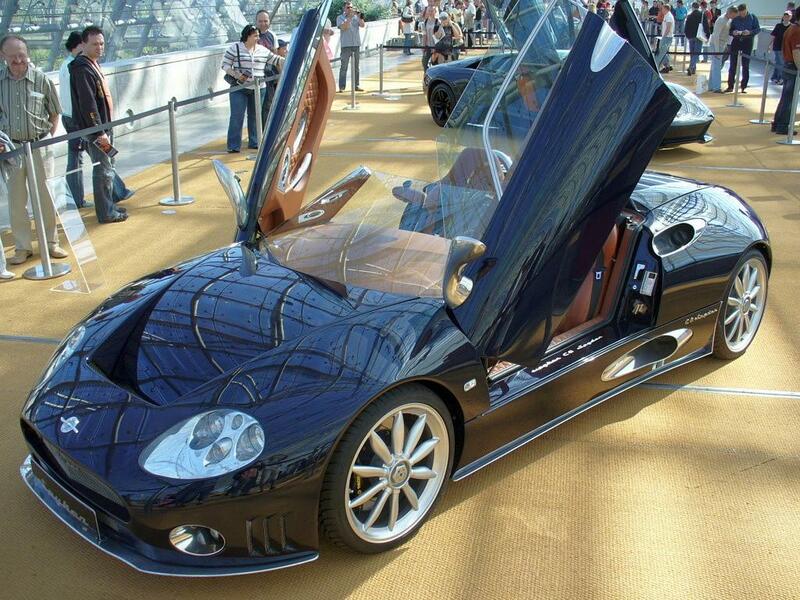 Spyker owed 44 million euro and agreed to pay 12.000 euro per creditor. 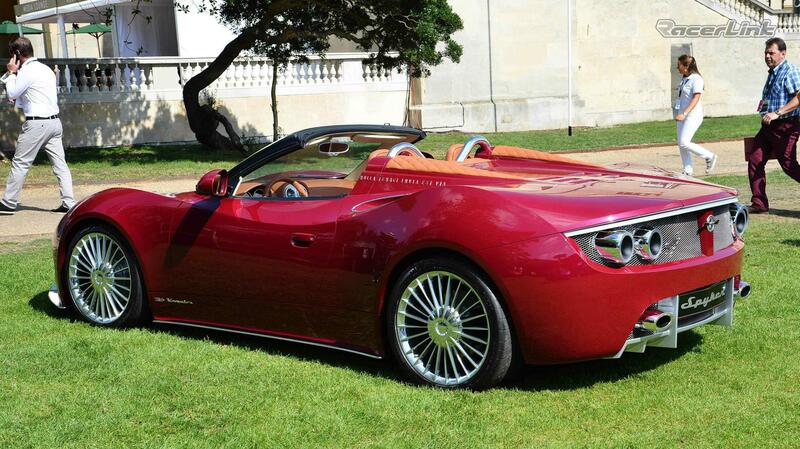 The curator of Saab GB was the largest creditor; it claimed 24,9 million euro. 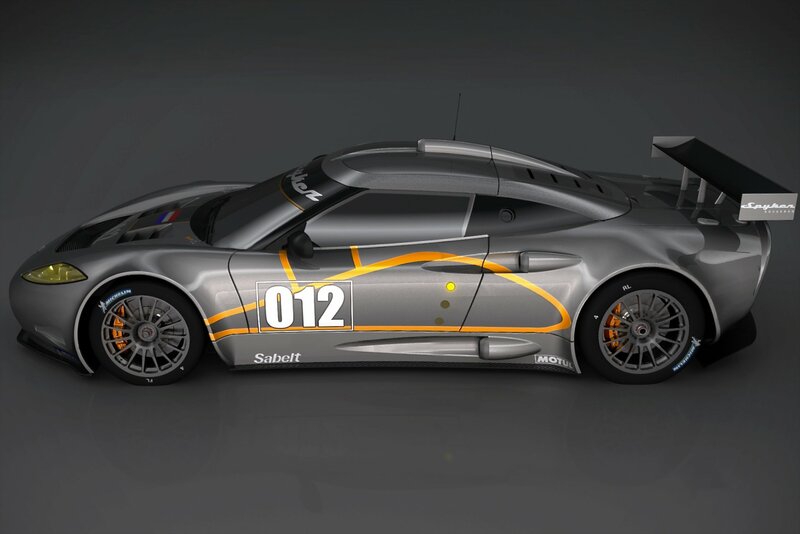 Saab GB agreed to receive a payment of 61.000 euro. 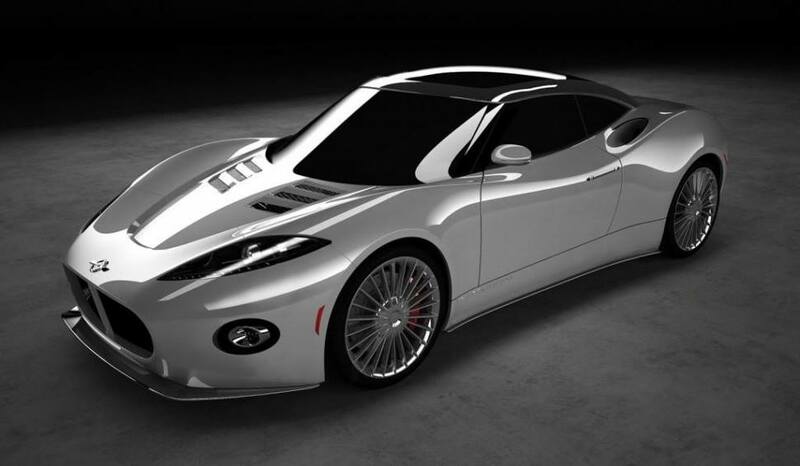 A following attempt by the Latvian bank Lizings to claim more money, was declined by the court. 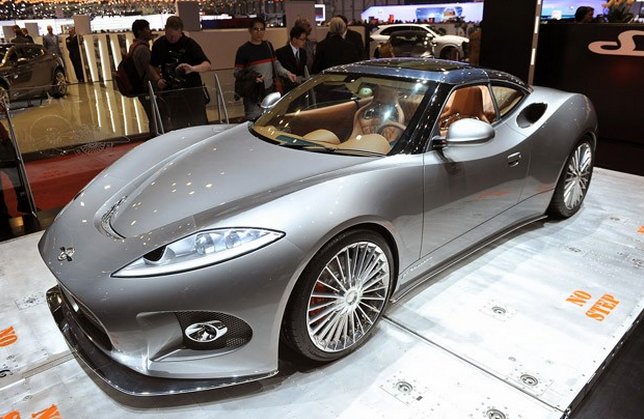 On July 29, 2015, Spyker exited moratorium of payment (restructuring), and resumed business operations. The C8 Spyder was the original base model with an Audi 4.2 litre V8 engine. 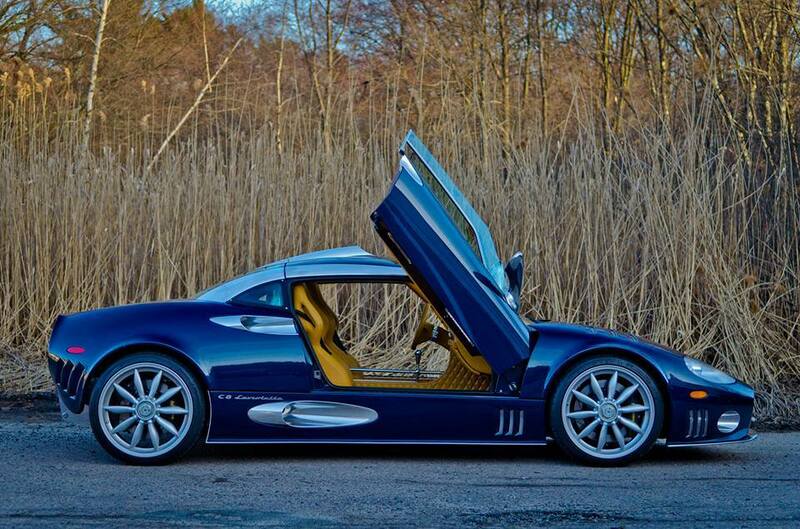 Since the start of its production in 2000, twelve different variants have been sold. 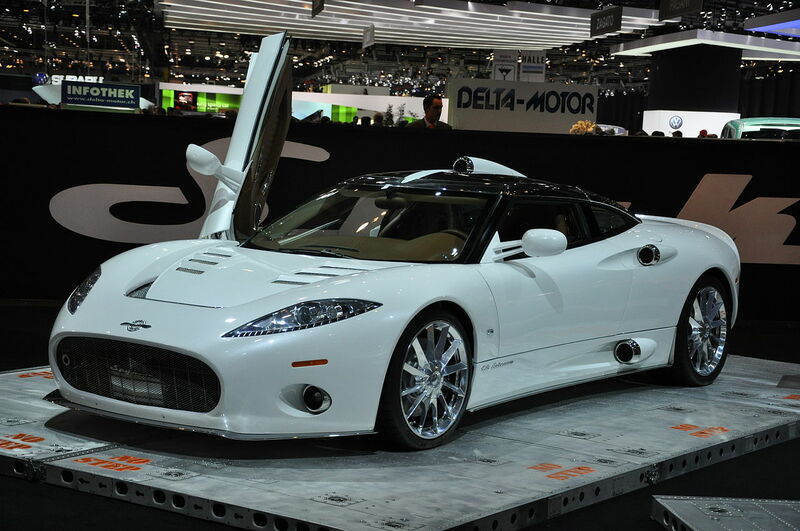 Most recently, a long wheelbase version was presented at the 2008 Geneva Motor Show, called the C8 Aileron. 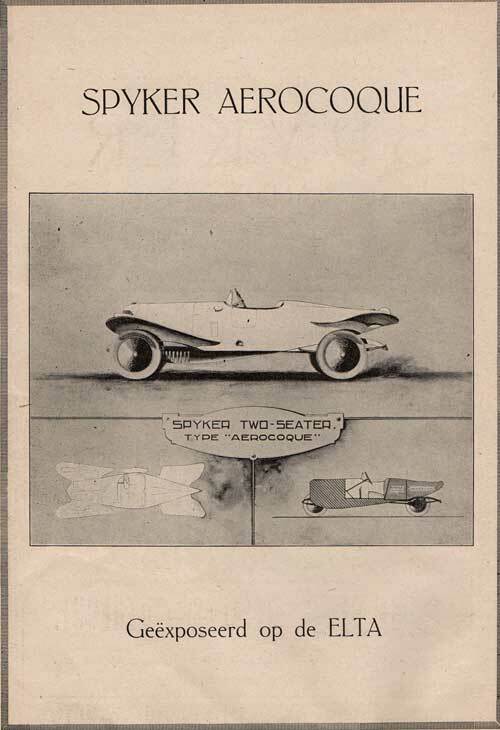 A year later, a convertible version was presented. 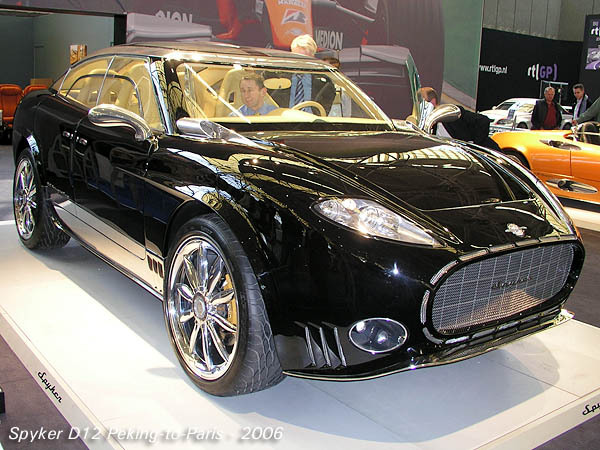 In 2006, the Spyker D12 Peking-to-Paris high-performance SUV, was announced at the Geneva Motor Show. 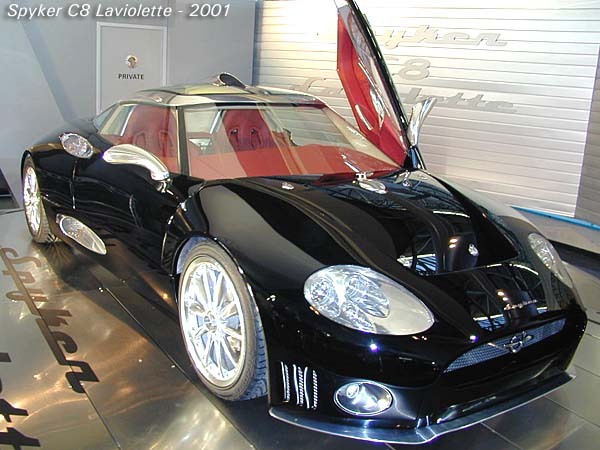 But the mass-production, which was slated for a mid-2008 production, was delayed and the V12 engine from the concept car has been changed to an Volkswagen W12 engine at around 500 bhp (373 kW; 507 PS). 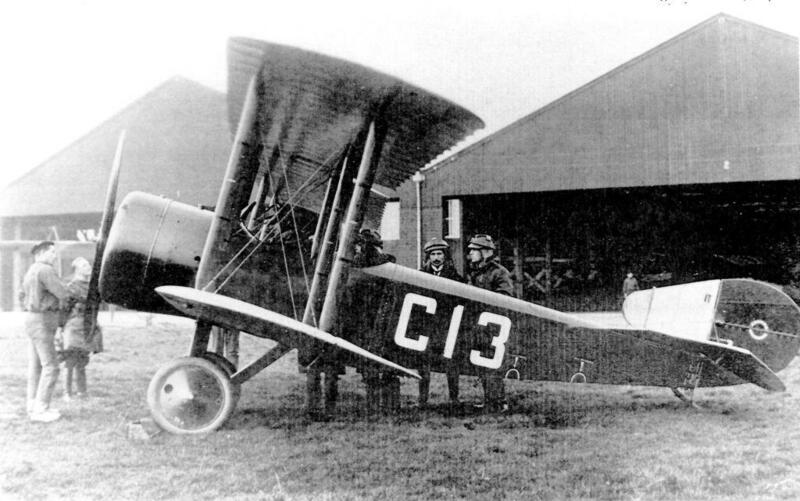 Its name was then changed to the D8. 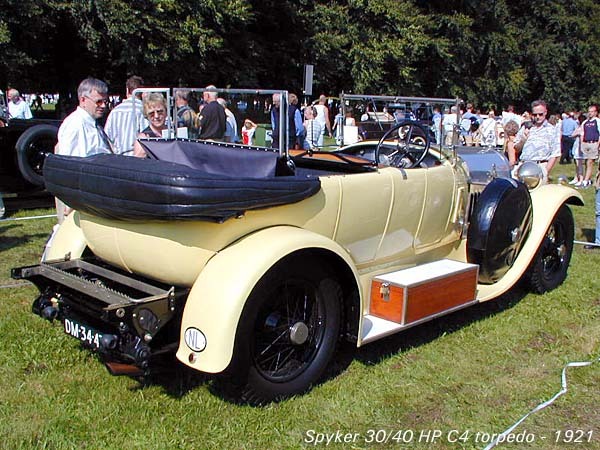 Spyker hoped that the assistance of Saab, which they now own, would help the D8 reach production. 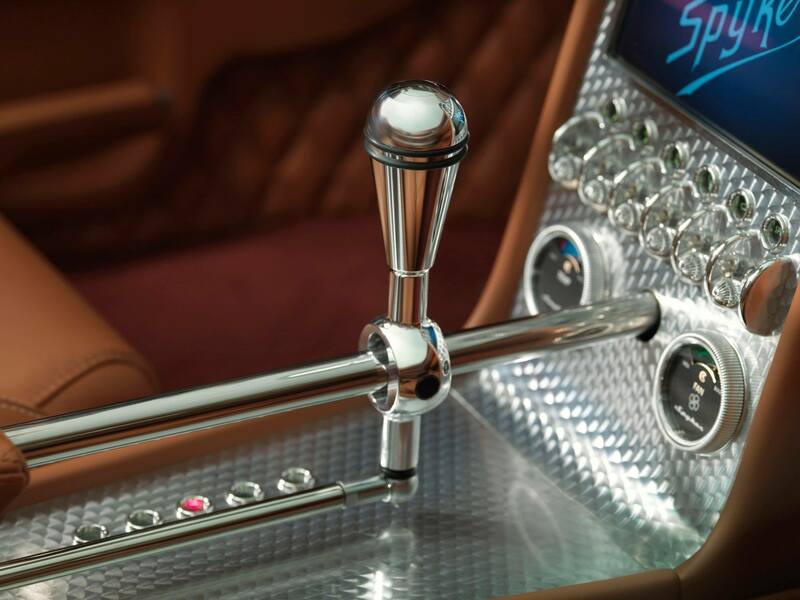 According to Muller in April 2011, the D8 should have started production in early 2013, with a price tag of £186,000. 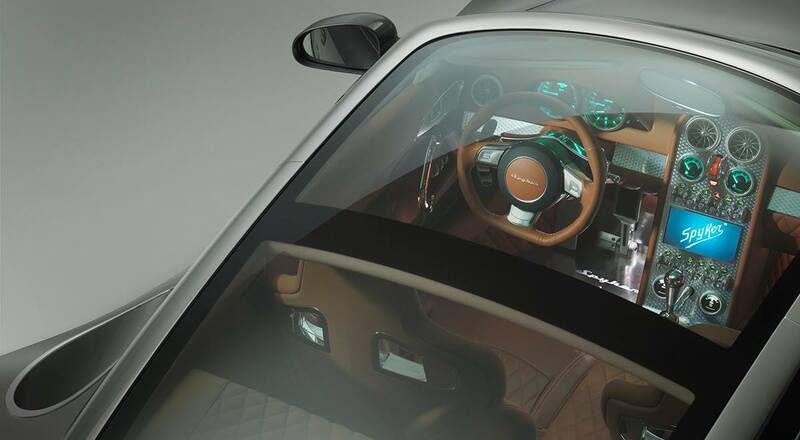 However, in March 2013, production was secluded for 2016, with a production prototype due by 2014. 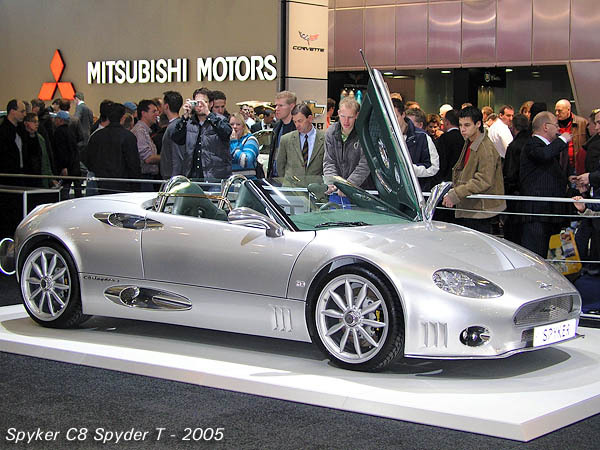 Spyker shareholders and CEO, Victor Muller hinted at a Maserati Quattroporte, Porsche Panamera rival with an eight-cylinder (the E8) or a twelve-cylinder (the E12) engine but due to problems getting the D8 into production, the idea was ignored until 2009 when Muller has said he “believes now could be the time to resurrect the saloon.” Muller believes it will take about four years from the time that the E8/E12 is revealed to actual production. 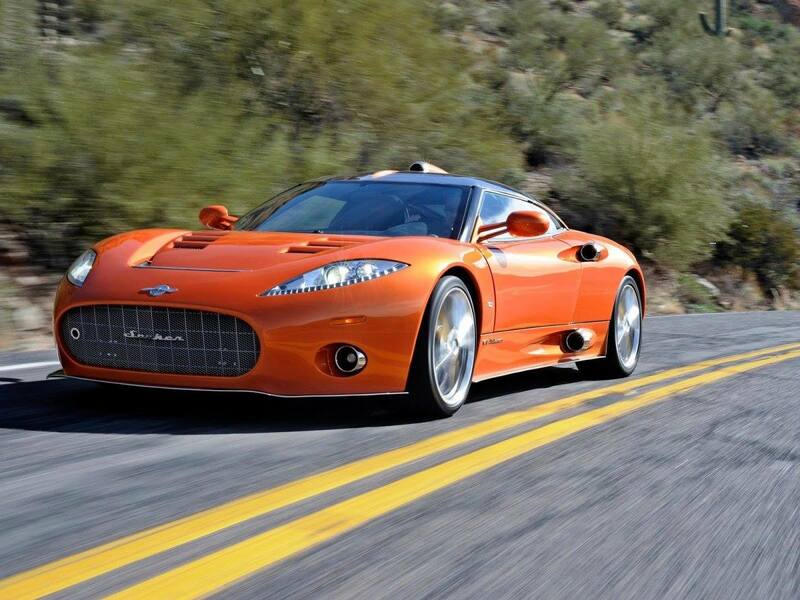 Spyker’s all-time high was achieved in 2006, with 94 cars sold, about 290 cars were sold between 2000-2010. 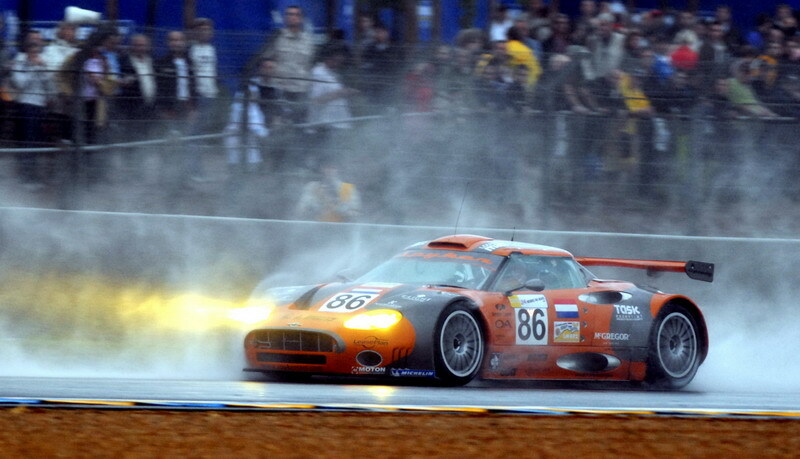 Spyker lost substantially since 2007. 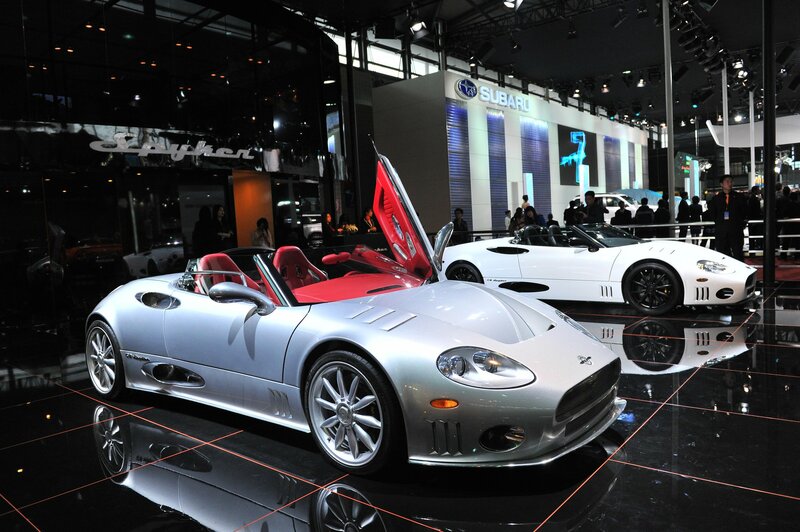 This table summarizes the key figures of Spyker Cars from 2007 to 2012. 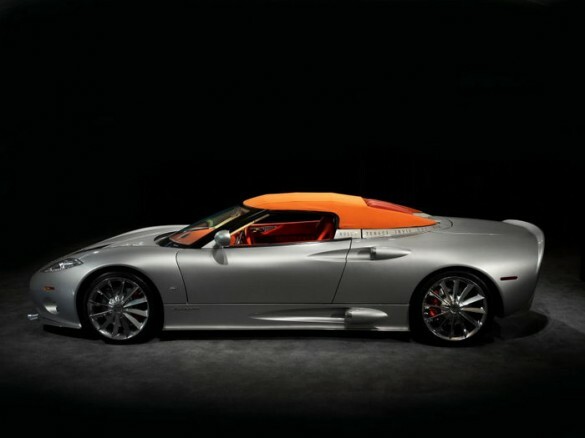 The figures originate from the Spyker Annual Report 2011 and 2012. 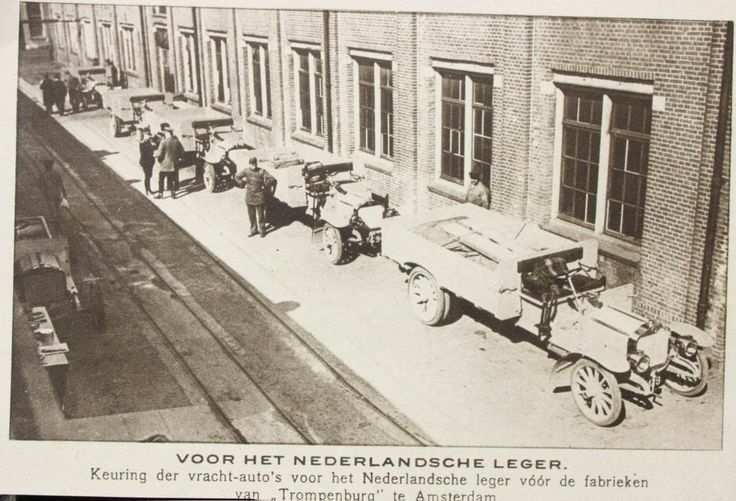 Het motto van de autofabrikant is “nulla tenaci invia est via” (vertaald uit het Latijn betekent het “voor volhouders is geen weg onbegaanbaar”). 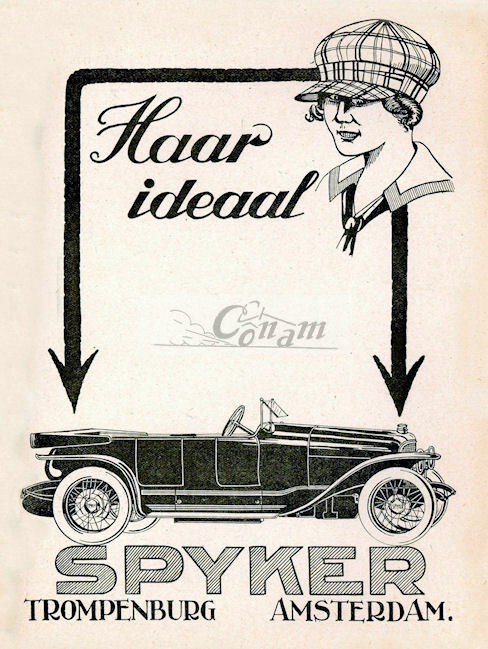 Dit motto, en de merknaam zijn afkomstig van Spyker Automobielen N.V., een Nederlandse automobielfabriek die begin 20e eeuw internationaal doorbrak, maar in 1926 werd opgeheven, zie Spyker. 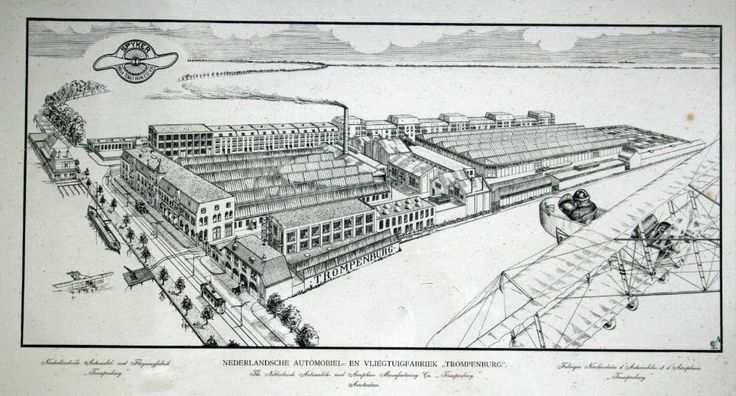 Het bedrijf, aanvankelijk gevestigd in een schuur bij de ouderlijke woning van De Bruijn waar De Bruijn sinds 1990 aan een prototype Silvestris werkte, kon met steun van Muller een fabriek in Zeewolde laten bouwen. 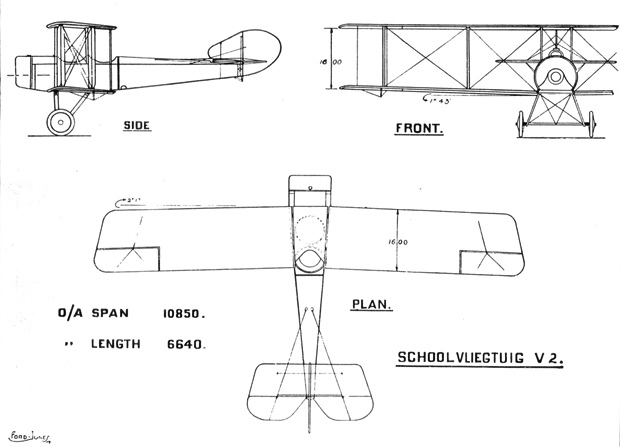 Om te kijken of het ontwerp goed was hanteerde De Bruijn de “S.J.K.F.”; de School-Jeugd-Kijk-Factor. 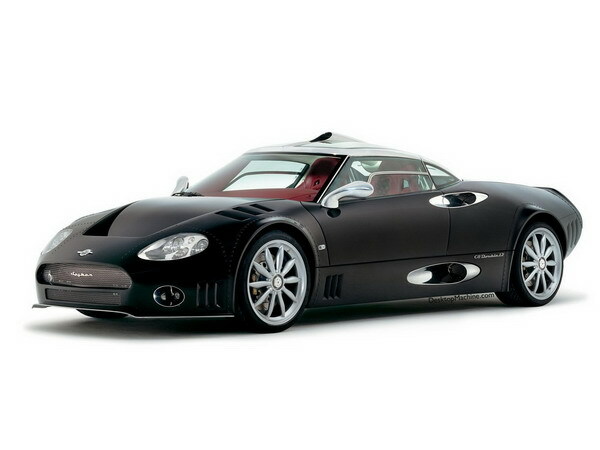 In 2004 was Spyker Cars NV een fabrikant van exclusieve sportwagens die rond de € 300.000 per stuk kostten. 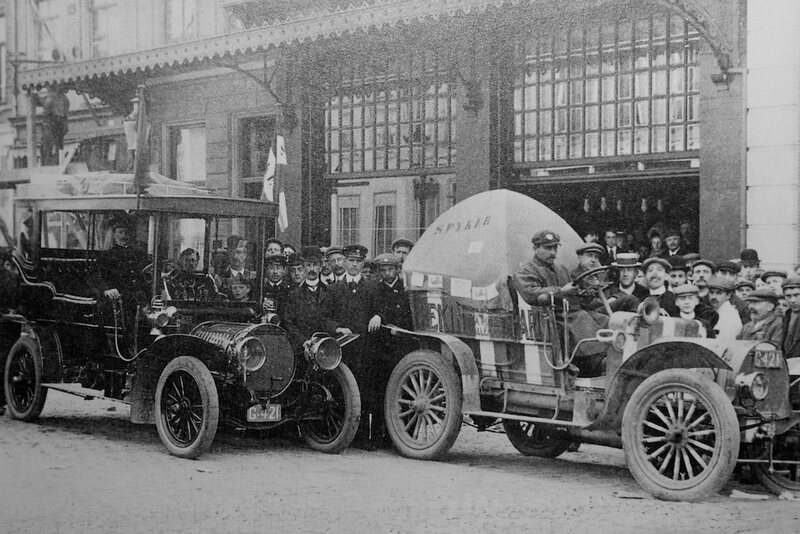 Het bedrijf had dealers in Europa, het Midden-Oosten, Noord-Amerika en Azië. 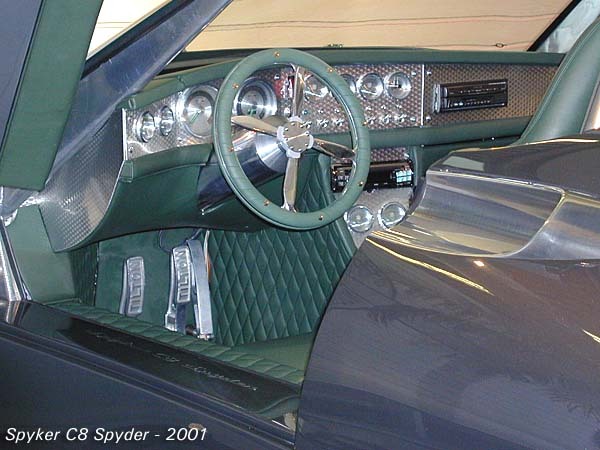 Spyker kreeg op 27 mei2004 een notering aan de Euronext Amsterdam; de introductiekoers was € 15,50. 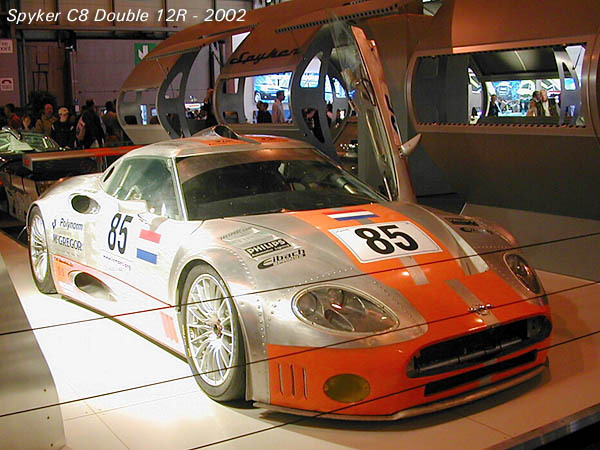 Maarten de Bruijn, medeoprichter en creatief brein achter Spyker Cars, stapte in 2005 uit het bedrijf door een “verschil in inzicht” met medeoprichter Victor Muller. 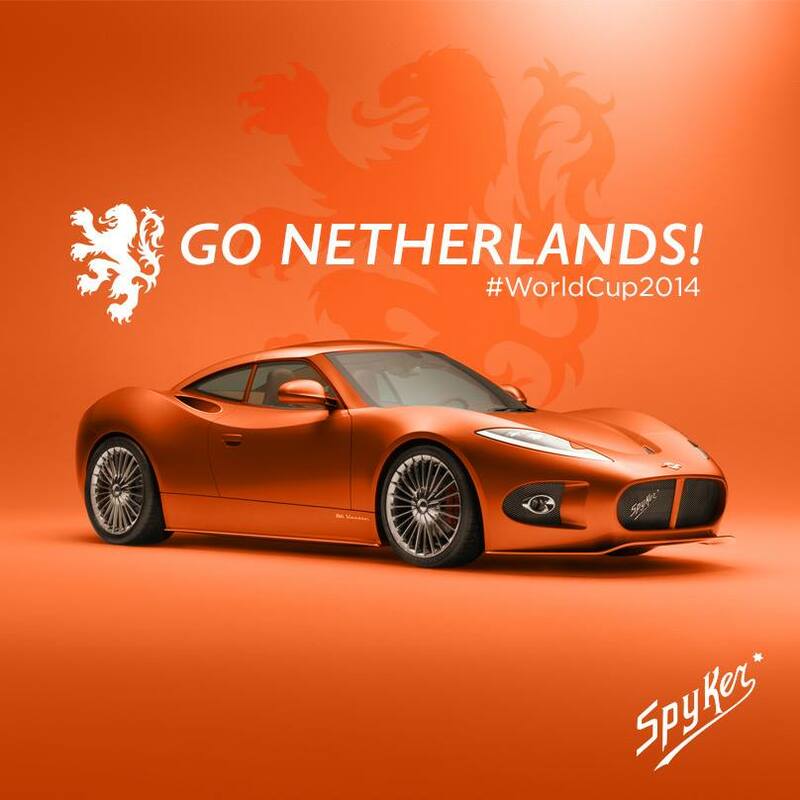 Hieraan lag onder andere ten grondslag dat De Bruijn met Spyker uitsluitend sportwagens wilde bouwen. 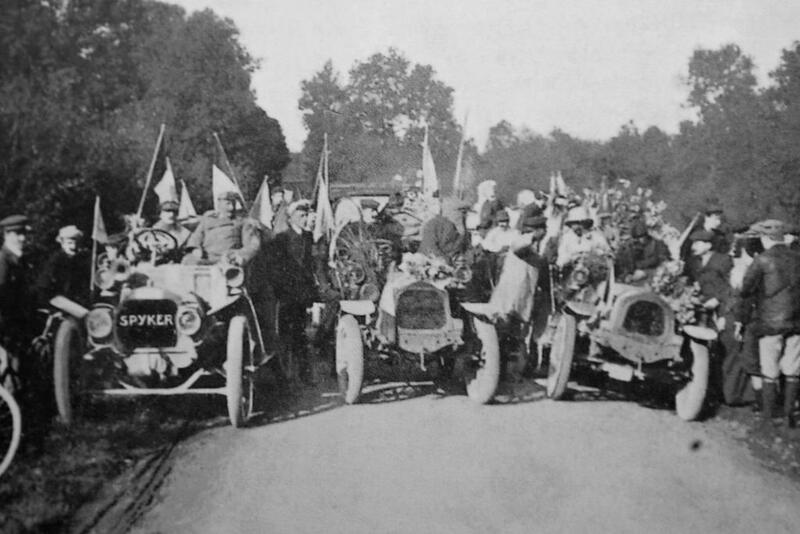 Muller was echter ook geïnteresseerd in de productie van luxe terreinwagens, waarvan de Spyker D8 Peking to Paris het resultaat is. 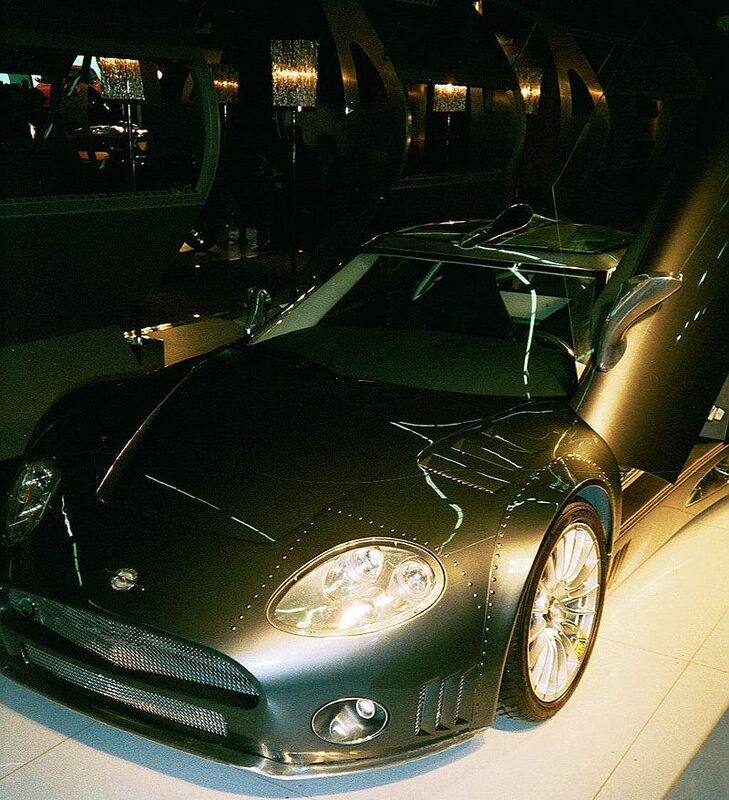 De Bruijn richtte met het geld dat hij verdiende met Spyker Cars (ongeveer €2 miljoen) een nieuw bedrijf op – Silvestris – dat zich richt op de productie van luxe speedboten, in dezelfde stijl als de door hem zelf ontworpen sportwagens. 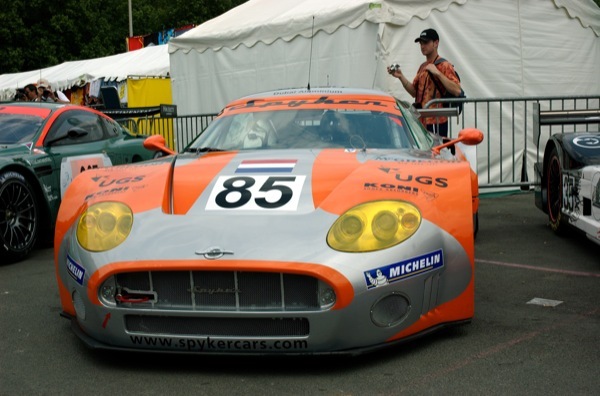 In 2007 kwam Spyker meermaals negatief in het nieuws. 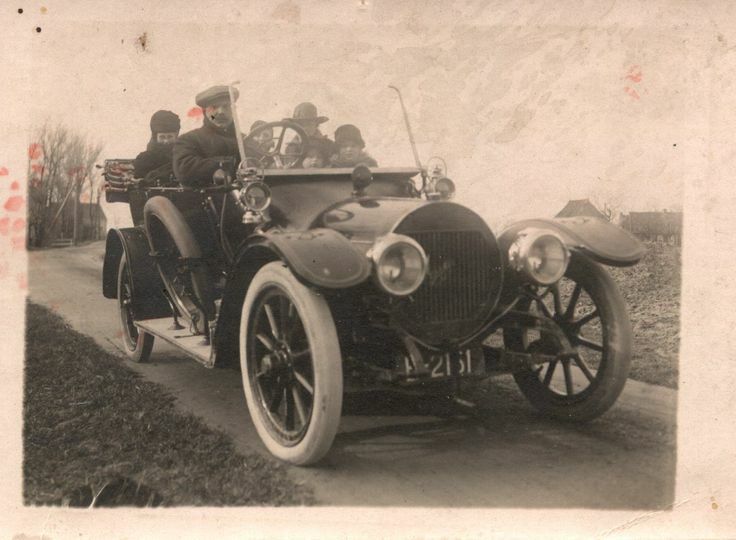 Zo zou het bedrijf uit Zeewolde zijn rekeningen niet betalen. 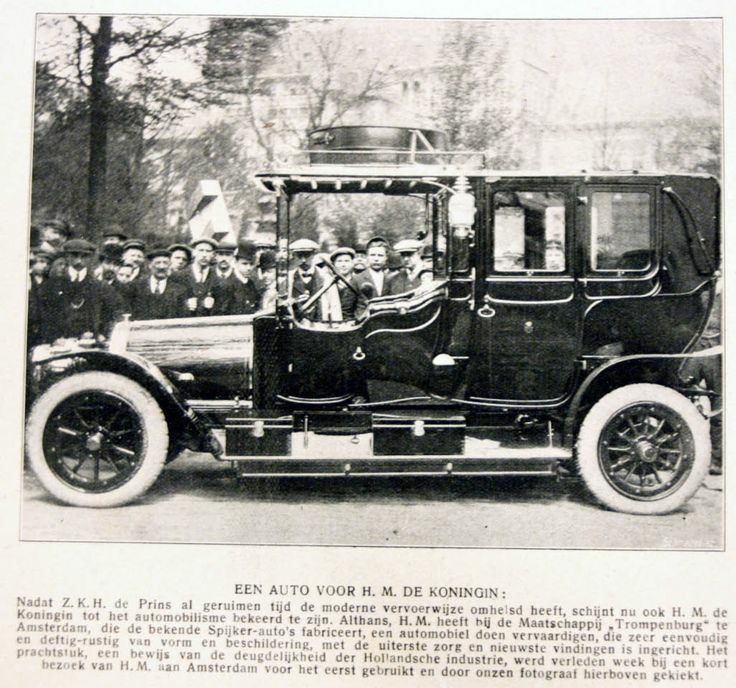 De Telegraaf publiceerde een fax van carrosseriebouwer Karmann waaruit bleek dat een rekening van ongeveer een half miljoen euro open stond. 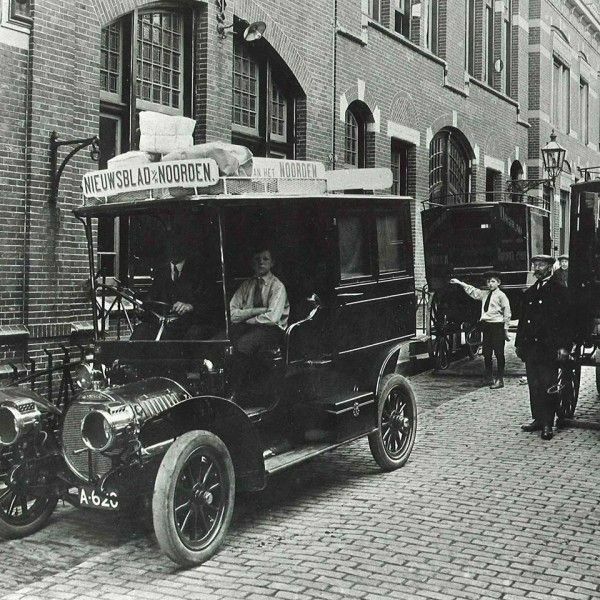 Als gevolg van deze en andere negatieve berichten trad CEO Victor Muller af ten gunste van Michiel Mol. 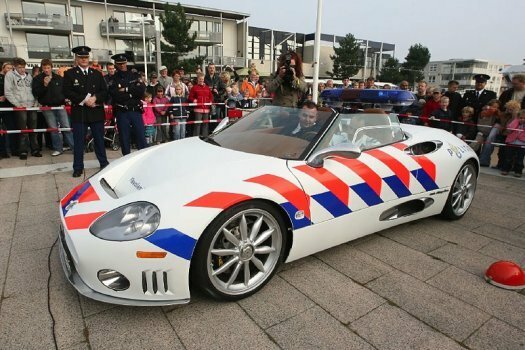 Muller bleef wel in dienst van Spyker. 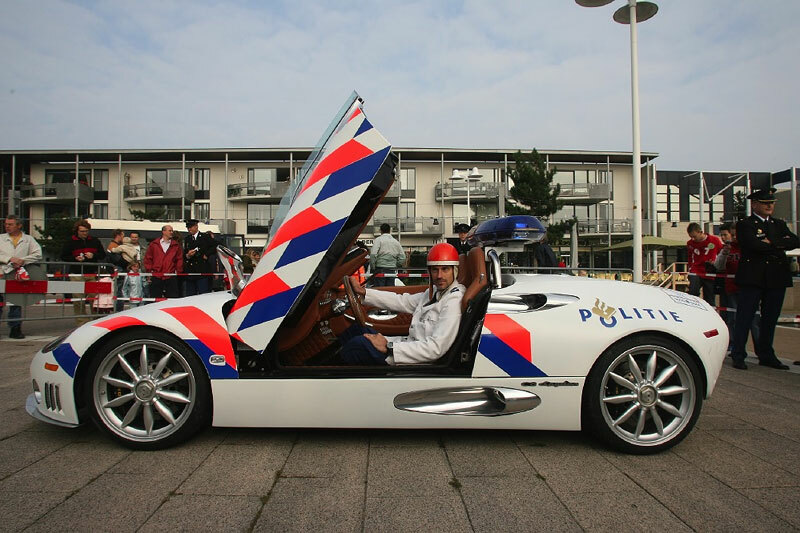 Op 20 november 2009 maakte Spyker bekend dat de productie in Zeewolde werd beëindigd. 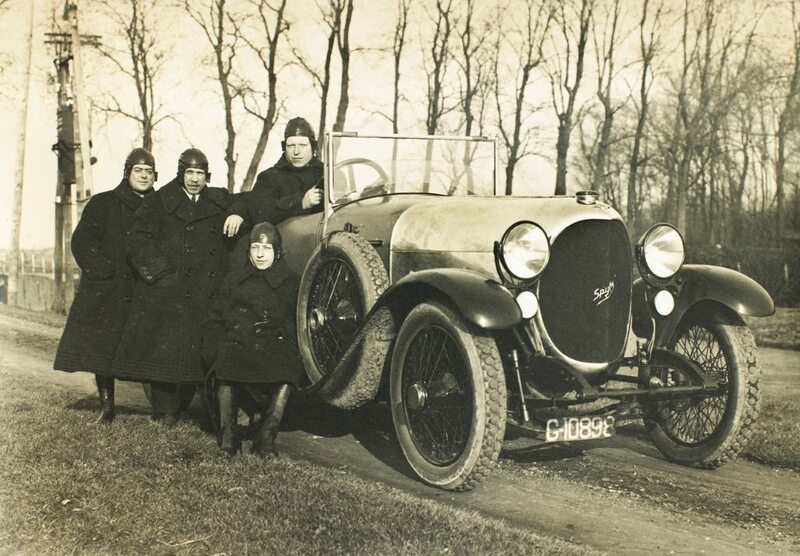 De assemblage zou voortaan gaan plaatsvinden in het Britse Coventry. 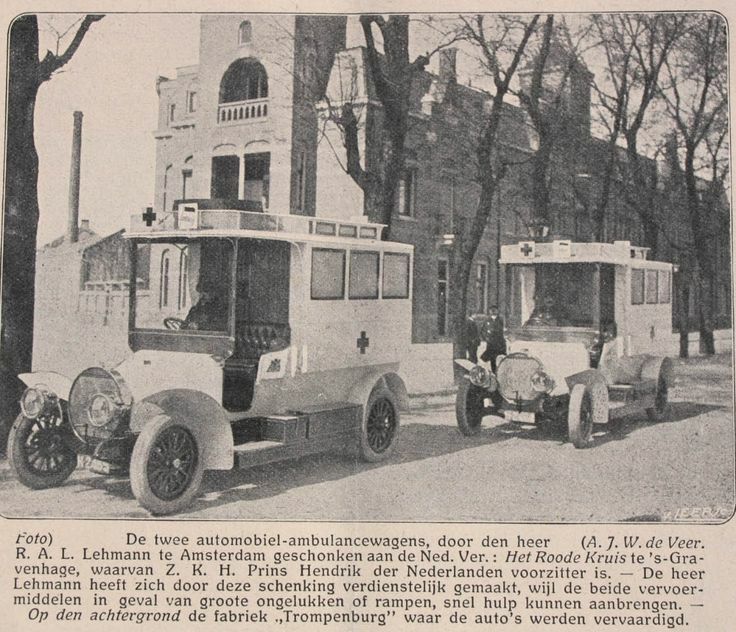 Reden voor de verplaatsing was kostenbesparing. 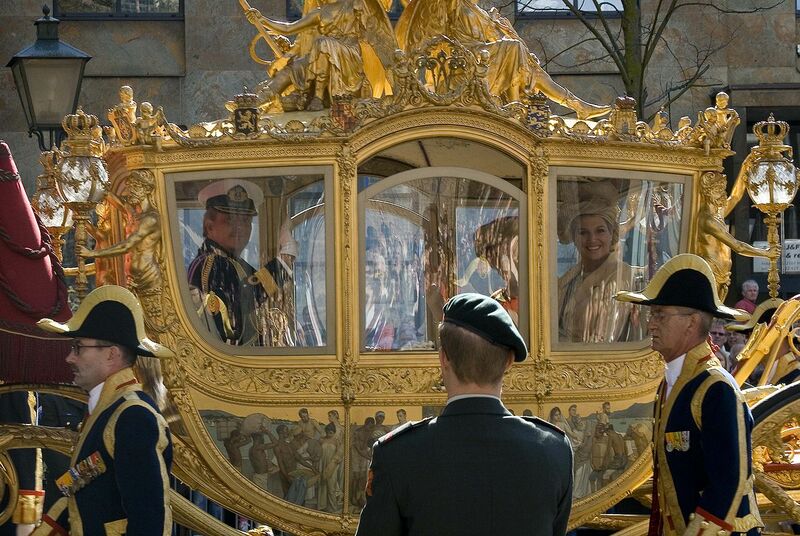 De fabrikant verwachtte met de ingreep miljoenen euro’s aan kosten te kunnen besparen. 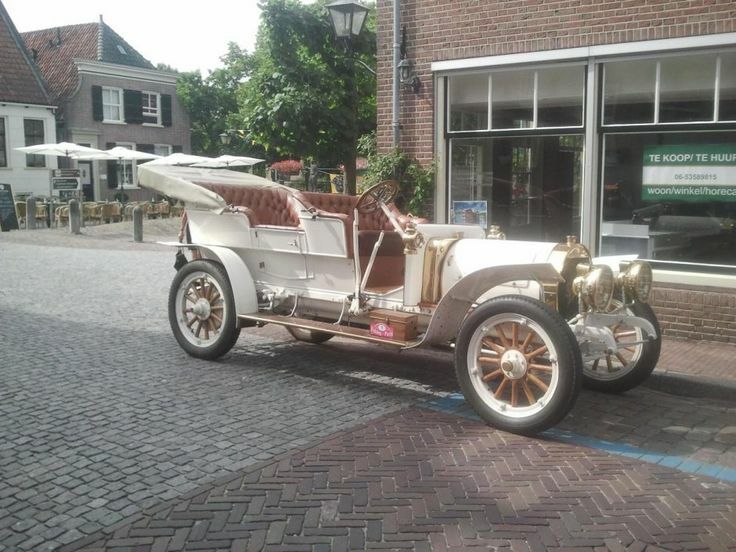 Deze maatregel betekende het ontslag van de 45 medewerkers in Zeewolde. 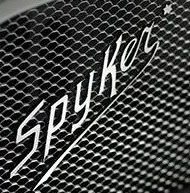 Spyker bood echter de groep getroffen werknemers de kans om mee te verhuizen Engeland. 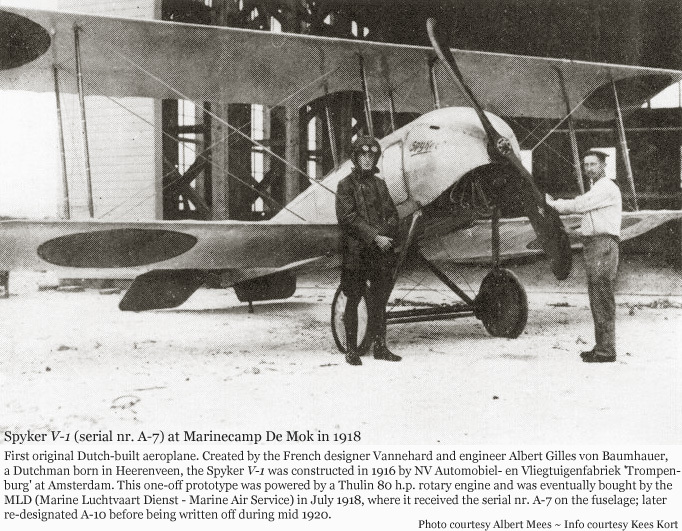 Na ruim twee weken van stilte werd onthuld dat Saab en Spyker nog steeds in onderhandeling waren. 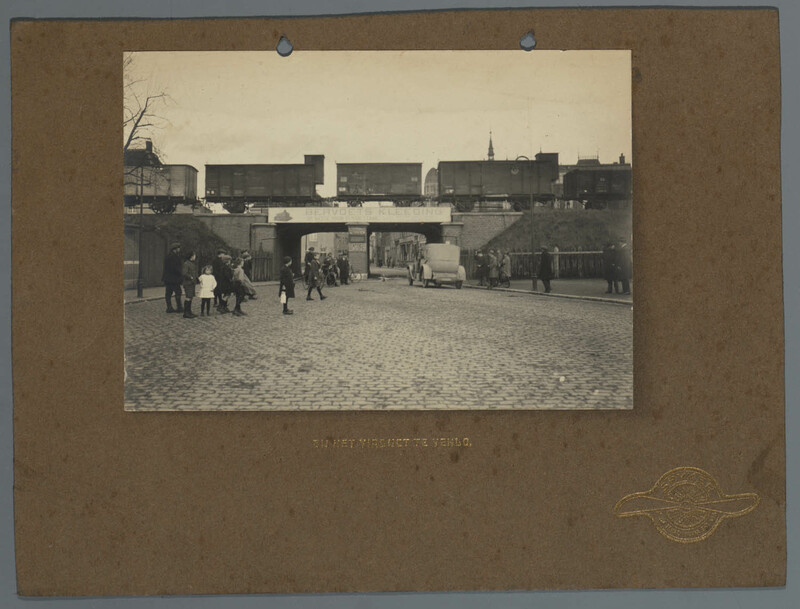 Deze gesprekken werden in Stockholm gevoerd. 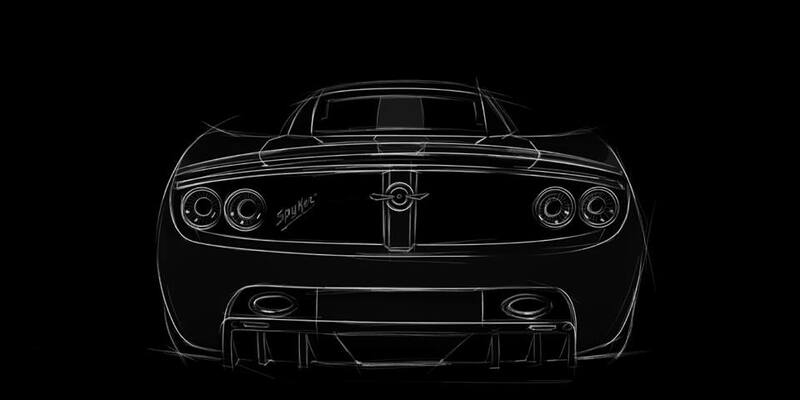 Op 25 januari gingen geruchten dat Spyker en GM een overeenkomst zouden hebben gesloten, nabeurs maakte de nieuwe topman van General Motors echter bekend dat er inderdaad onderhandelingen gaande waren, maar dat er nog geen contract was getekend. 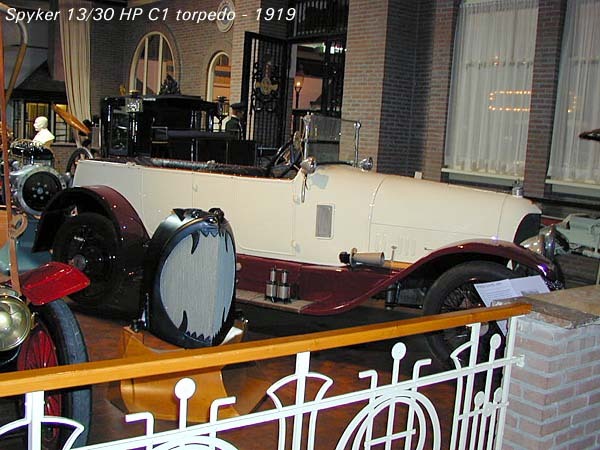 Het aandeel Spyker Cars op de Amsterdamse effectenbeurs schoot door de geruchten omhoog. 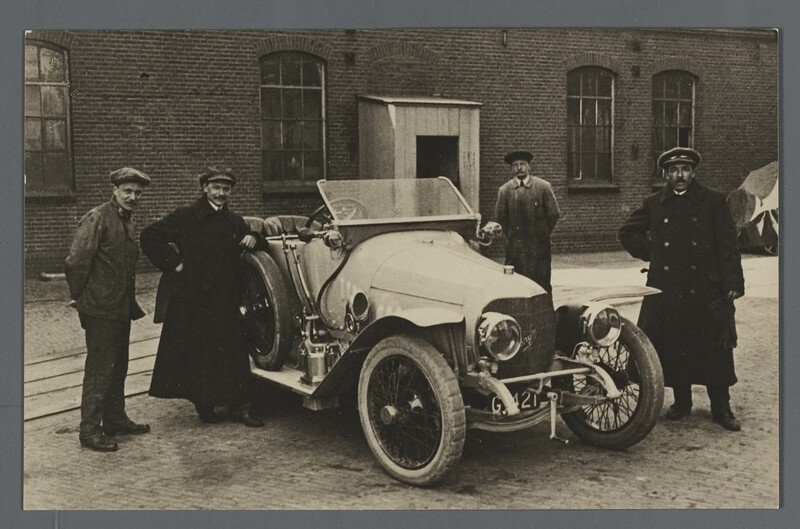 Toen topman Victor Muller meldde dat de overname door Spyker Cars zo goed als rond was en er in de Zweedse media dergelijke geruchten rondgingen, werd op 26 januari door de AFM besloten om de handel in het aandeel stop te zetten. 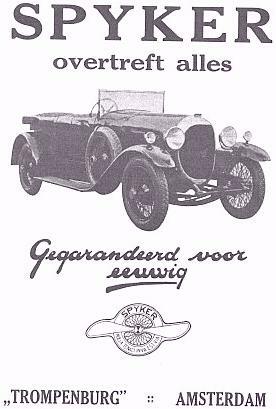 Op 26 januari 2010 om 19.45 uur meldde General Motors dat Saab Automobile zou worden overgenomen door Spyker Cars. 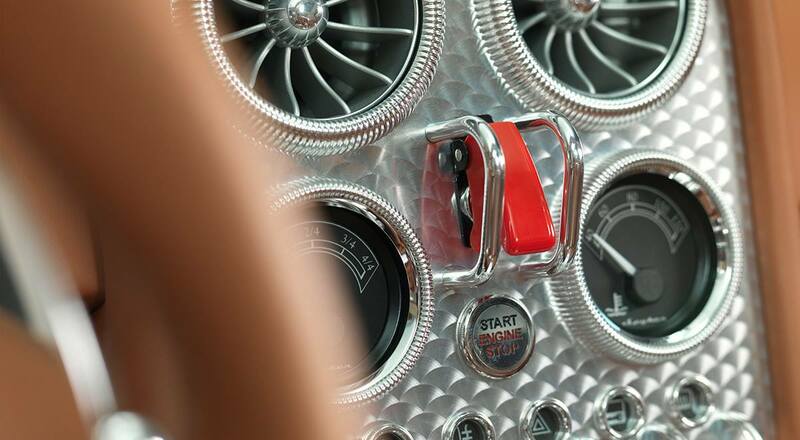 GM stopte direct met de afbouw van de activiteiten van Saab. 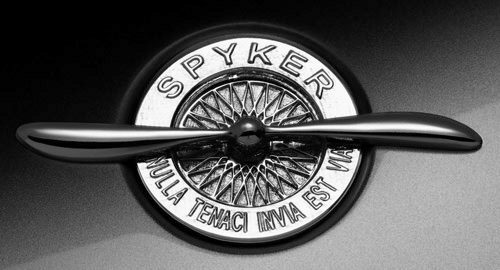 Spyker zou, volgens Bloomberg en The Wall Street Journal voor Saab een bedrag van $74 miljoen in cash en $326 miljoen aan preferente aandelen in het nieuwe Saab, Saab Spyker Automobiles, betalen aan GM. 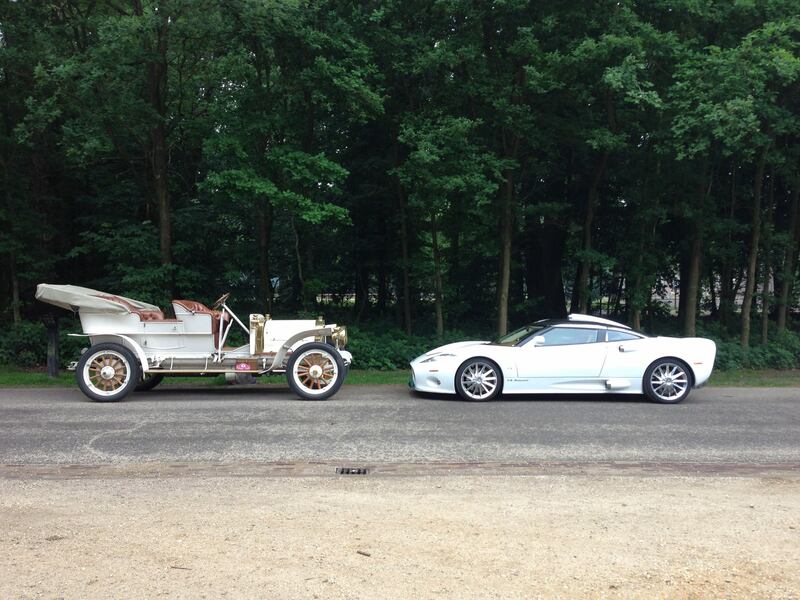 Dit werd echter nog niet officieel bevestigd. 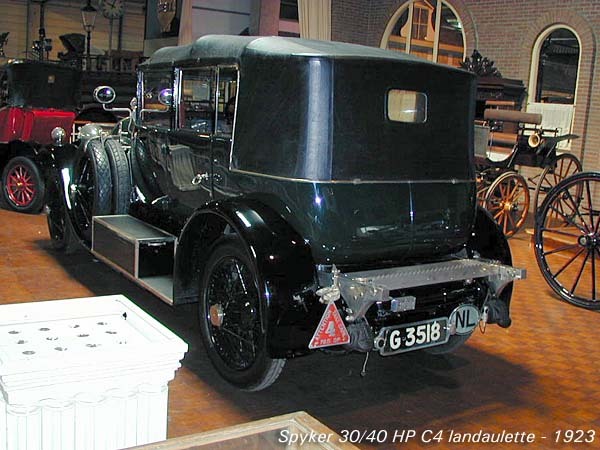 De overname moest volgens plan medio februari afgerond zijn.Vanaf 22 november 2009 was Spyker Cars in onderhandeling met General Motors over de overname van het Zweedse Saab Automobile. 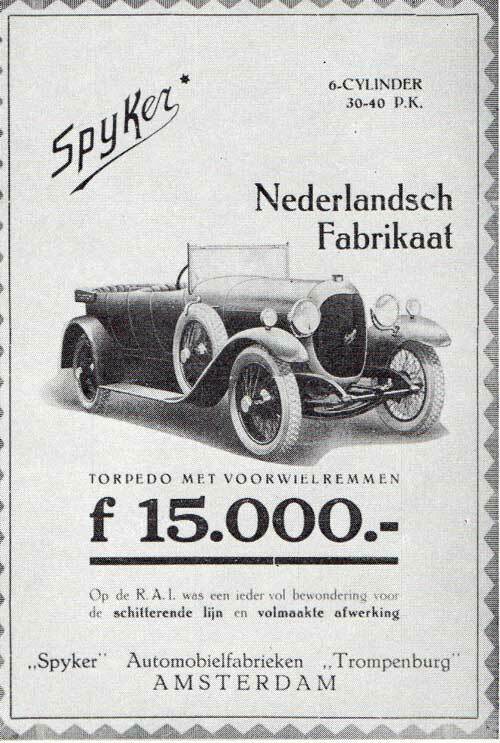 Op 15 december werd bekend dat Spyker de enige overgebleven overnamekandidaat was voor Saab. 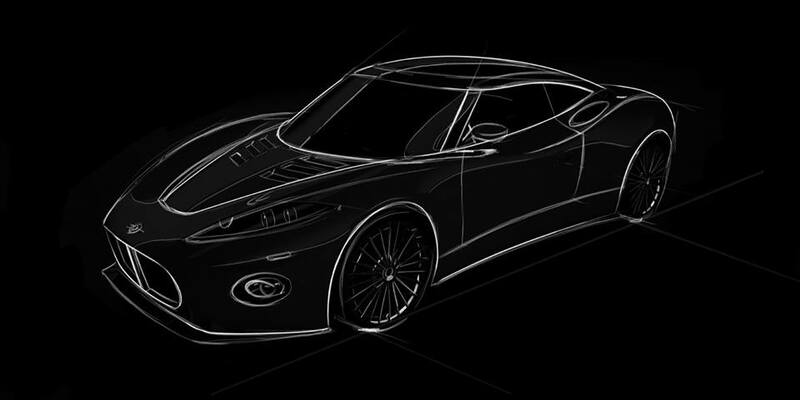 Eind september 2011 meldde Swedish Automobile dat Spyker voor €32 miljoen zou worden overgenomen door de Amerikaanse investeringsmaatschappij North Street Capital. 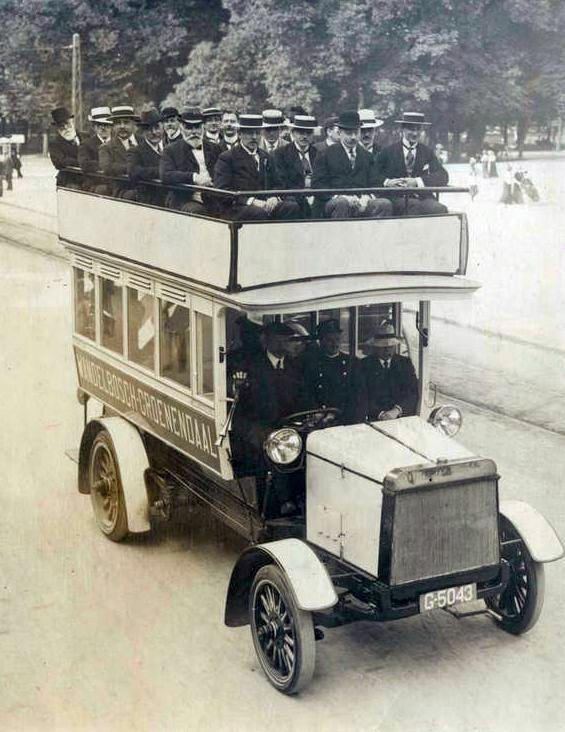 Muller zou aanblijven als CEO. 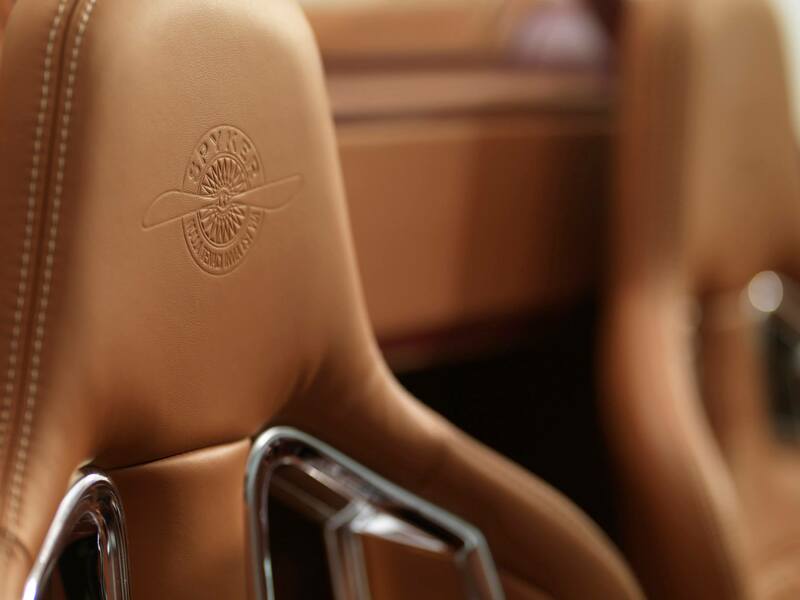 Hiermee was de overname door CPP van Antonov van de baan, alhoewel de productie wel in de CPP-fabriek in Coventry plaatsvond. 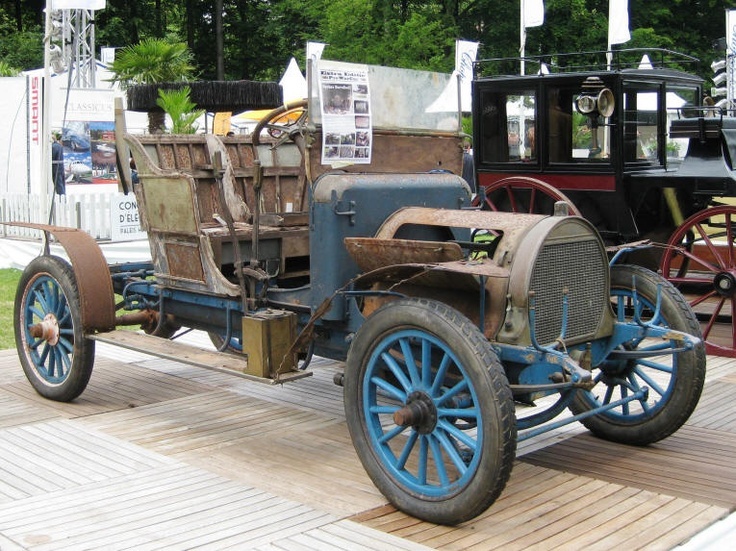 In 2009 werden nog 36 auto’s gefabriceerd maar in 2010 geen enkele. 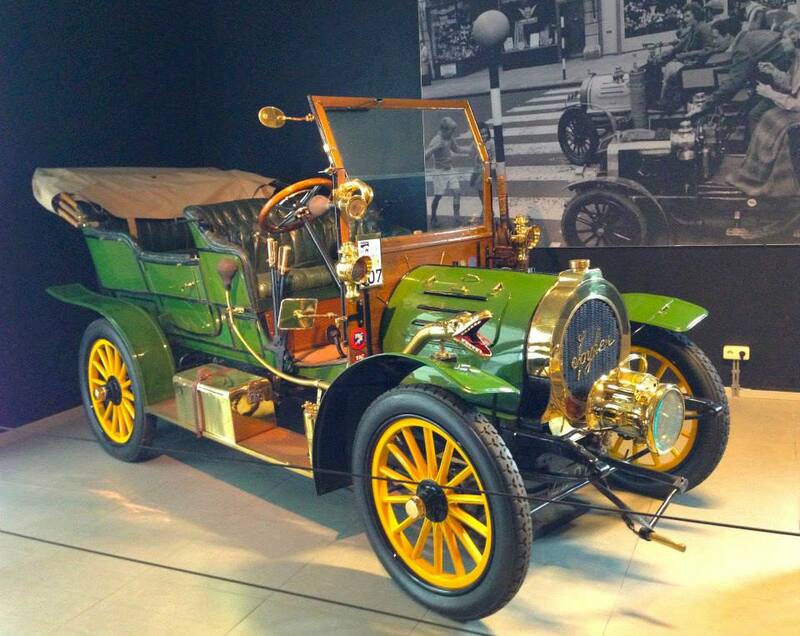 Saab Automobile ging in december 2011 failliet. 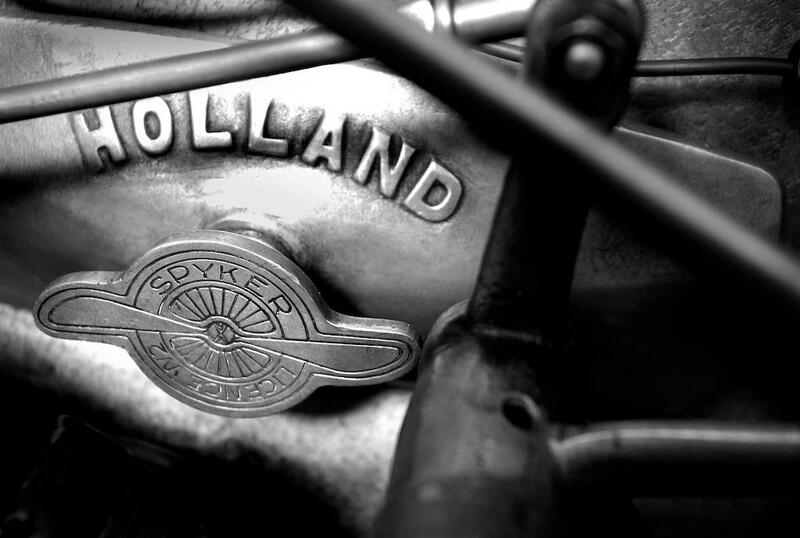 In april 2012 bleek dat Saab een schuld naliet van meer dan €1 miljard na aftrek van de waarde van de bezittingen. 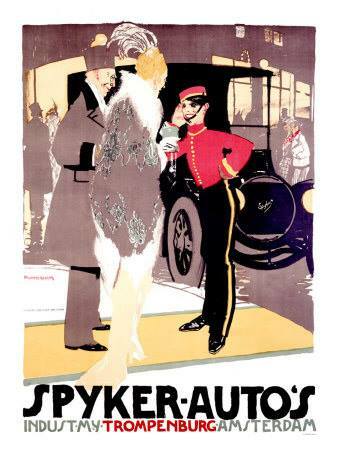 In augustus 2012 zei CEO Victor Muller van Spyker Cars dat zij een claim zullen neerleggen bij General Motors over het faillissement van Saab. 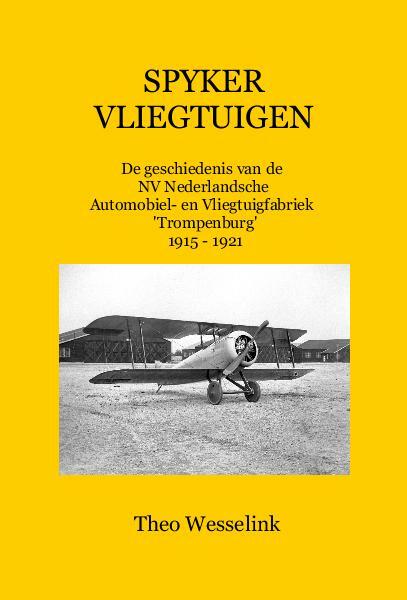 Victor Muller zei: “Sinds wij in december 2011 werden gedwongen om het faillissement van Saab Automobile aan te vragen, hebben we continue gewerkt aan de voorbereiding van een rechtszaak waarin we compensatie eisen ten gevolge van de onrechtmatige acties door General Motors”. 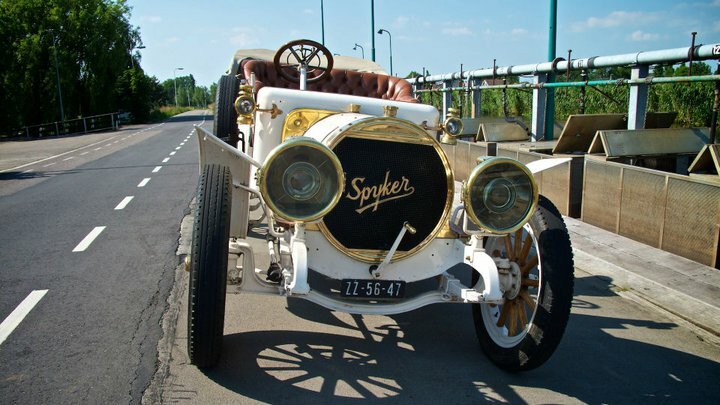 In juni 2013 werd de claim van Spyker behandeld door een Amerikaanse federale rechter in Detroit. 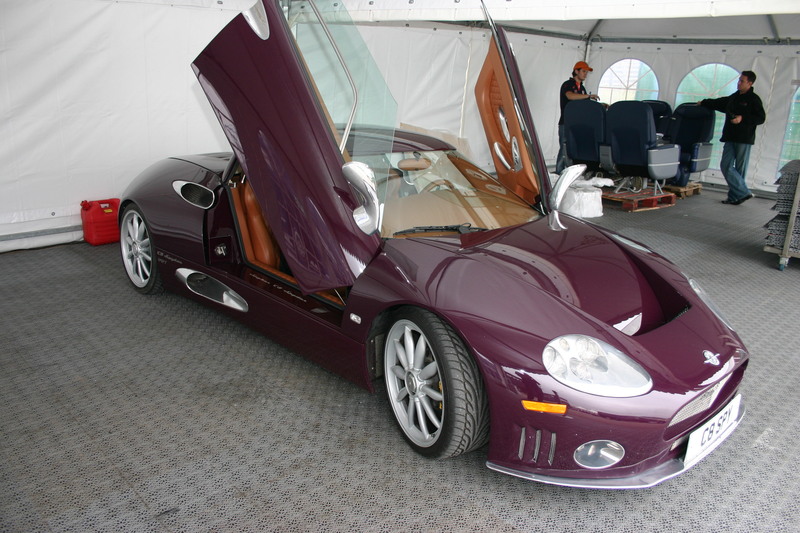 De rechter wees de claim van 3 miljard dollar door Spyker af. 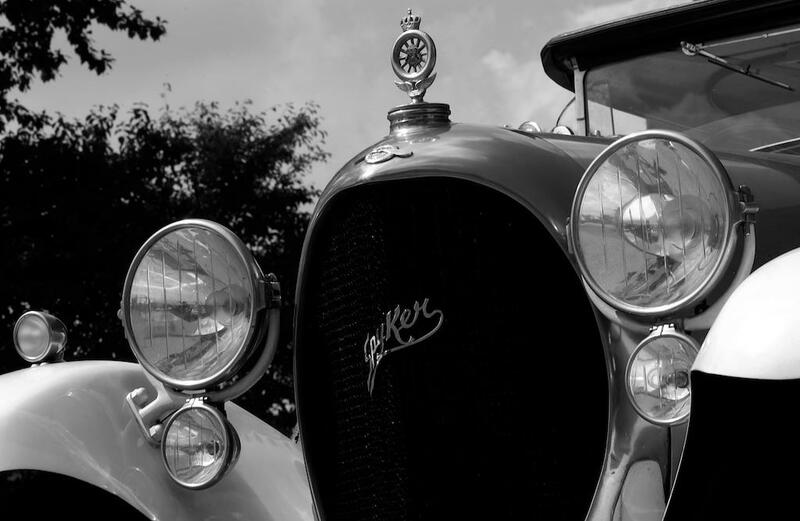 Volgens rechter Gershwin Drain: “General Motors had het contractuele recht om de voorgestelde transactie goed dan wel af te keuren,” en “De rechtbank verwerpt de eis,” en hij zei dat Spyker in de overeenkomst met General Motors, toen het Saab kocht, akkoord was gegaan met het feit dat General Motors de controle had over een verandering van eigendom. 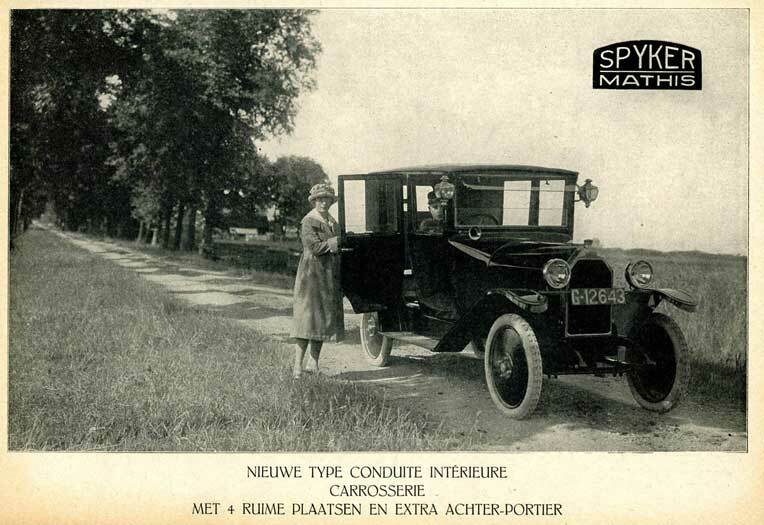 Spyker Cars NV is in beroep gegaan tegen de uitspraak. 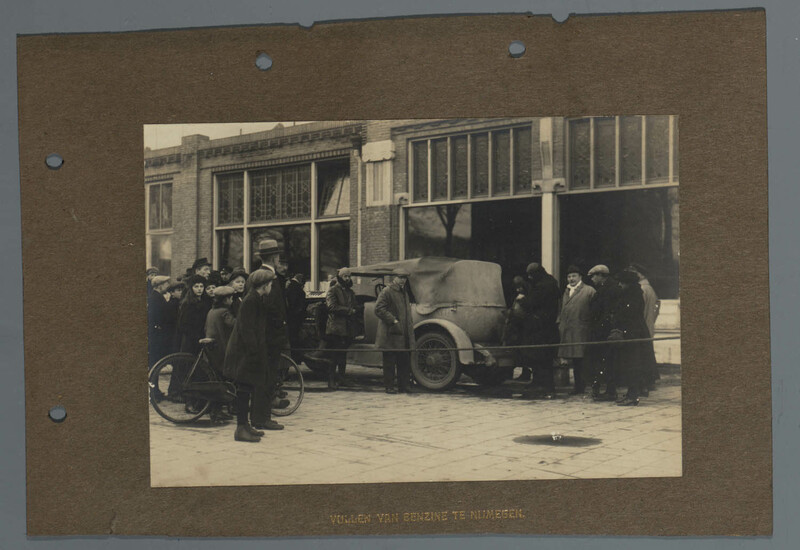 Het hoger beroep werd behandeld door de “6th U.S. Circuit Court of Appeals in Cincinnati”. 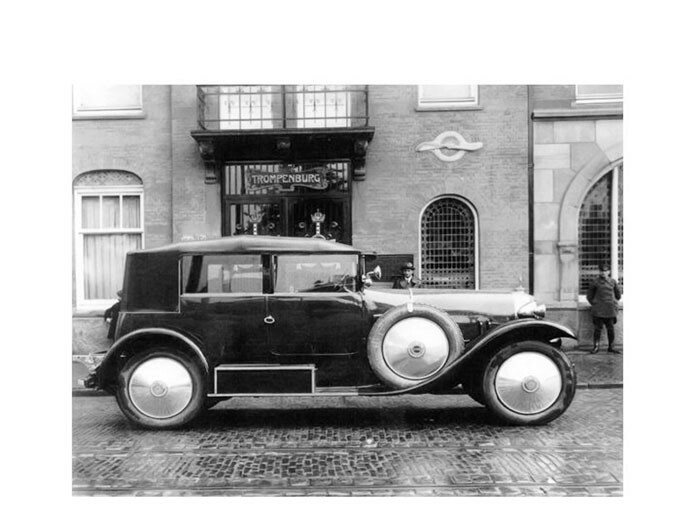 Het hof concludeerde op 24 oktober 2014 dat General Motors niet opzettelijk de verkoop frusteerde van Saab aan Zhejiang Youngman Lotus Automobile Co. Rechter Eugene Siler zei dat de acties van General Motors niet kwaadaardig waren en dat het bedrijf “legitieme zakelijke zorgen” had betreffende de verkoop, zoals de overdracht van technologie. 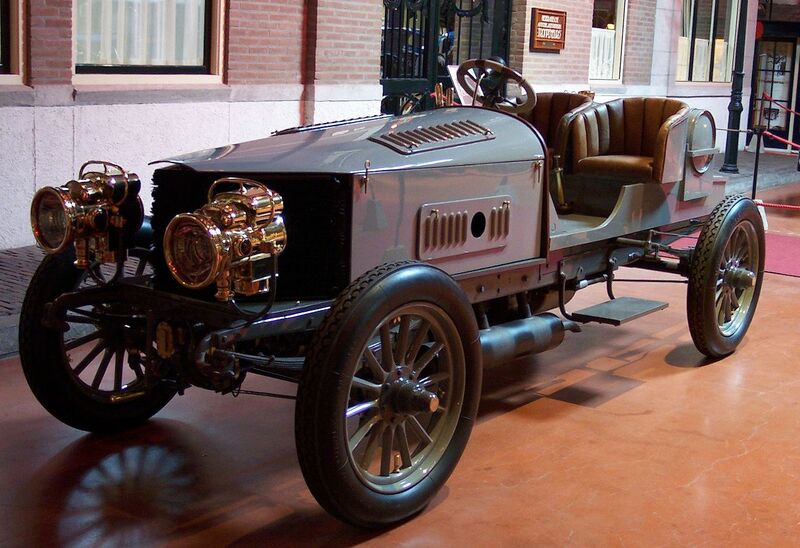 Siler zei ook dat de claim “cruciale fouten had”. 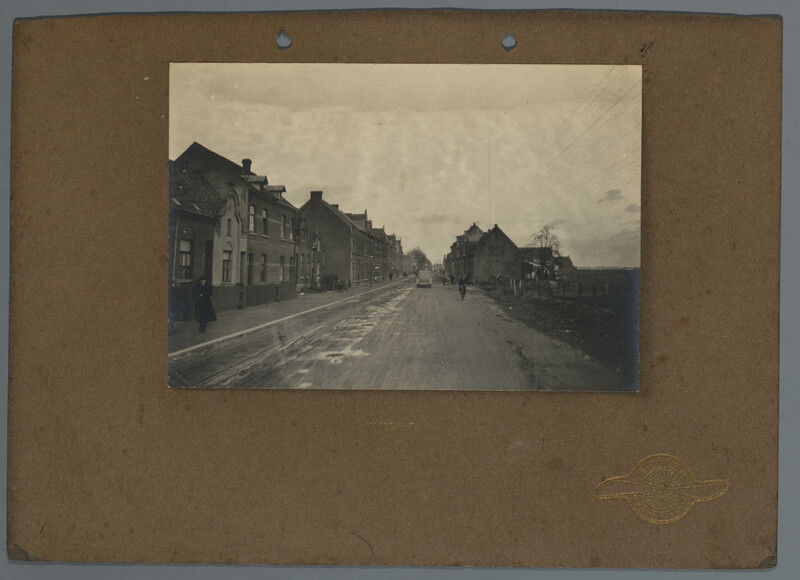 Op 29 januari werd door de rechtbank in Leeuwarden het eerder uitgesproken faillissement in hoger beroep terug gedraaid. 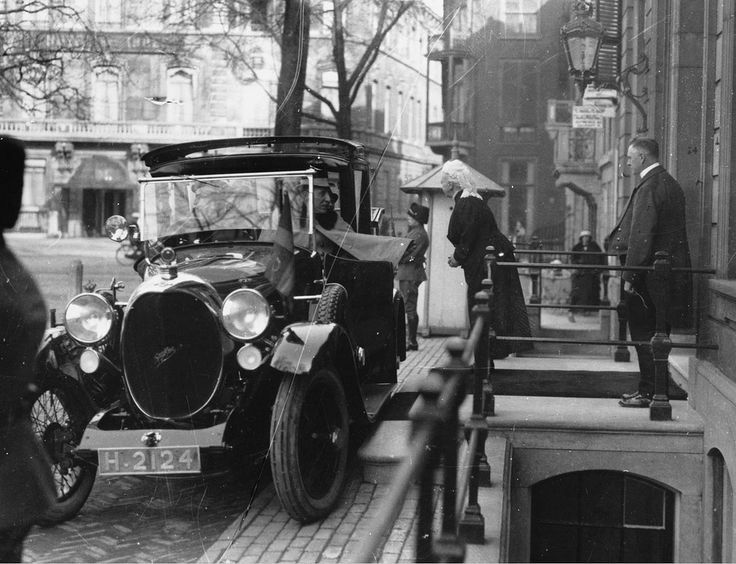 Spyker NV verkeerde op dat moment weer in de staat van surseance van betaling en een bewindvoerder trachtte vanaf toen om tot een overeenkomst te komen met de schuldeisers. 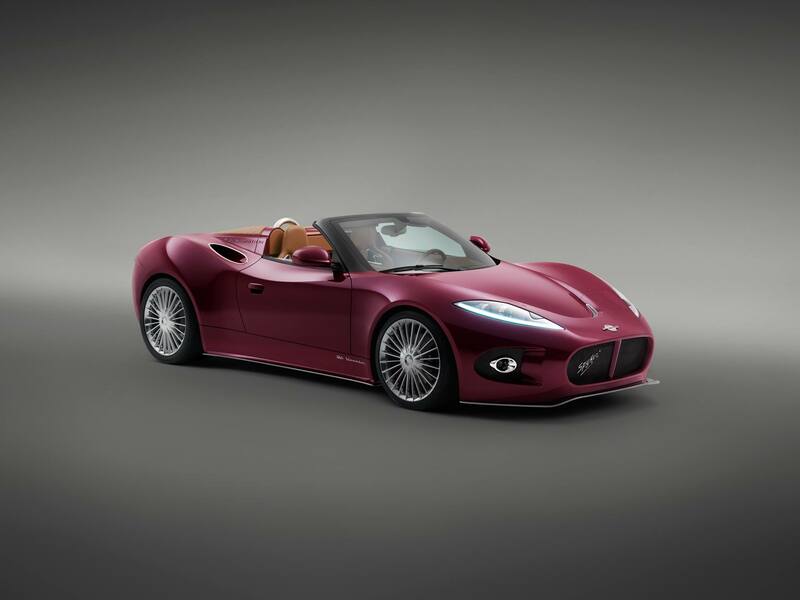 Spyker NV gaf aan verder te gaan met de ontwikkeling van luxe sportwagens en elektrische auto’s. 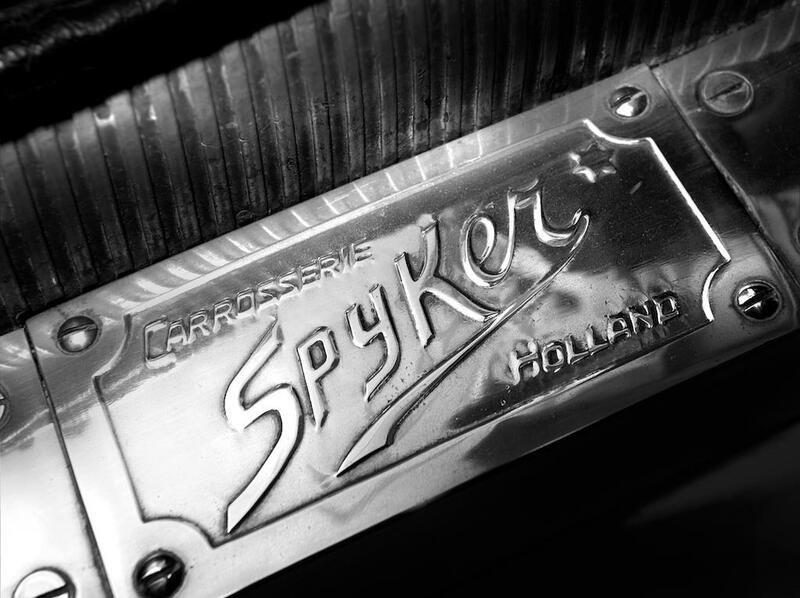 Op 13 mei van dat jaar werd er een overeenkomst gesloten tussen Spyker NV en de schuldeisers. 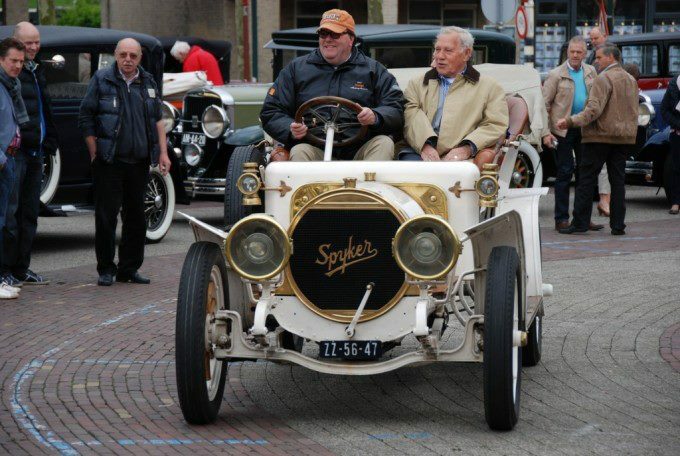 Spyker had op dat moment een schuld van 44 miljoen en bood aan om per schuldeiser 12.000 euro af te betalen. 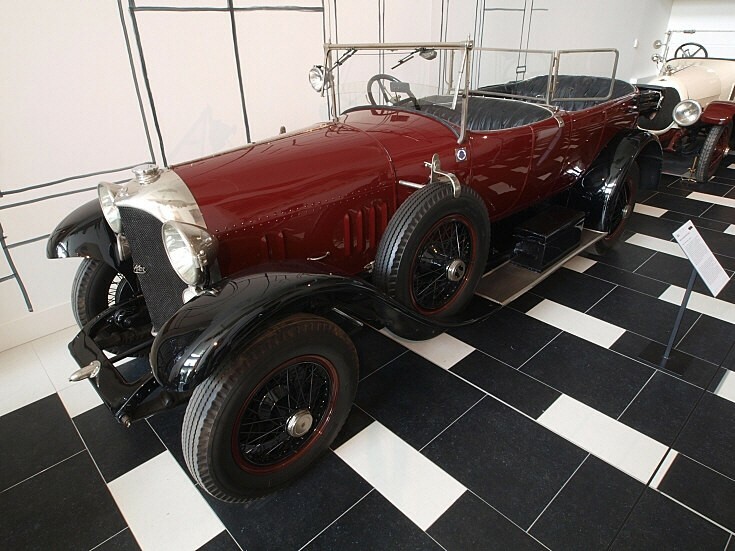 De grootste schuldeiser was de curator van Saab GB; hij vorderde 24,9 miljoen euro en ging uiteindelijk akkoord met een uitkering van 61.000 euro. 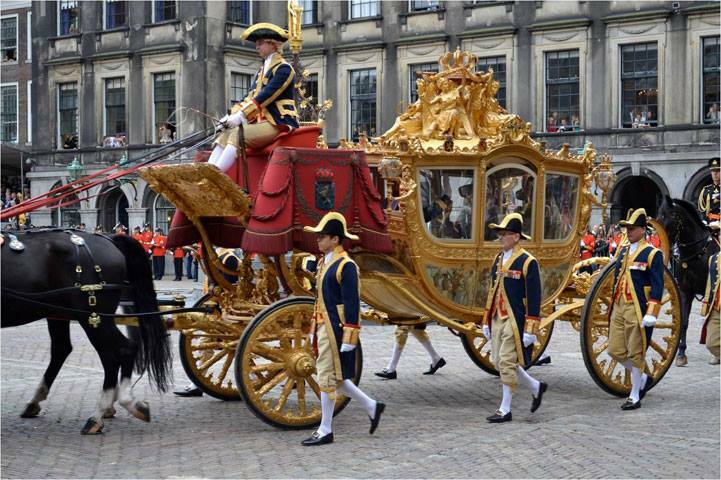 Een poging van de Letse bank Lizings om meer geld te claimen, draaide op niets uit. 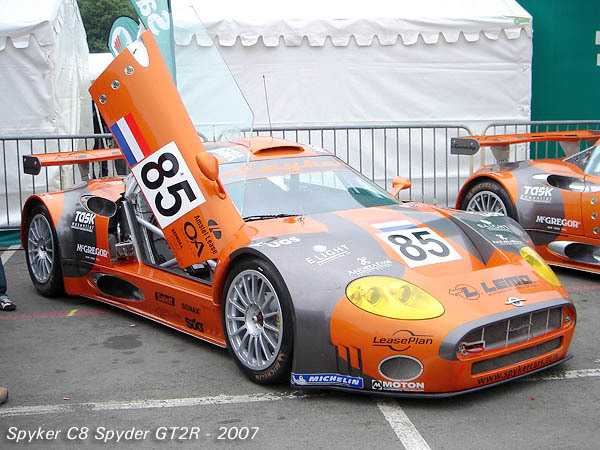 In 2005 behaalde het race team van Spyker (Spyker Squadron) de eerste successen in de loodzware FIA GT en LMES endurance wedstrijden. 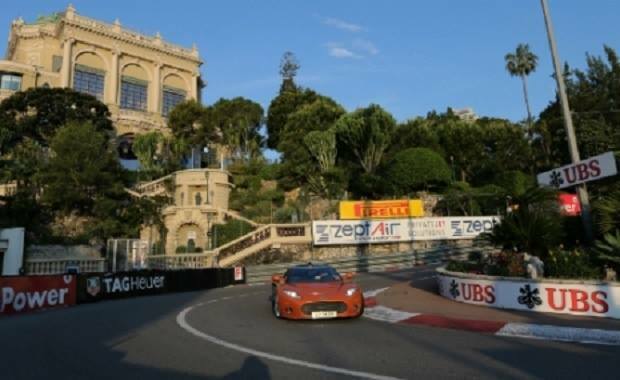 Deze races werden jarenlang gedomineerd door de fabrieks-Porsches en –Ferrari’s. 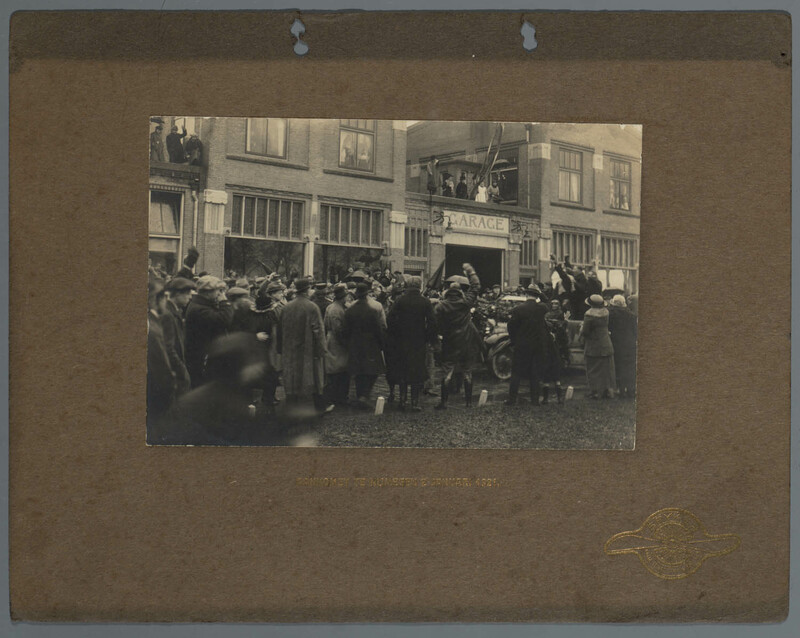 Onder leiding van Peter van Erp en Ronald van de Laar werden meerdere podiumplaatsen behaald. 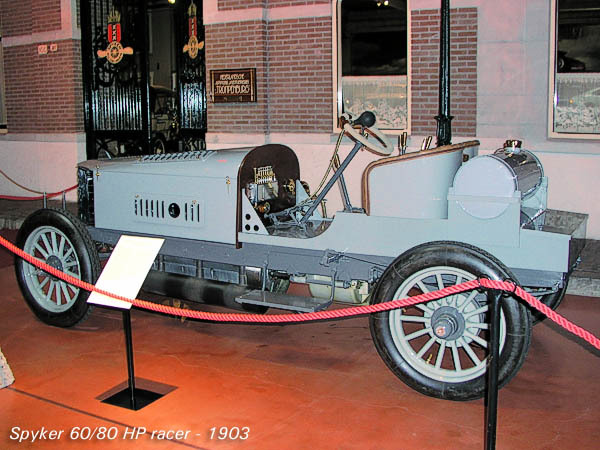 Op 29 september 2007 gingen de aandeelhouders van Spyker – ironisch genoeg het weekend dat het F1-team haar enige WK-punt scoorde – akkoord met de verkoop van het F1-team voor €88 miljoen aan een combinatie van Strongwind (Michiel Mol) en Kingfisher/Watson Limited (Vijay Mallya) uit India. 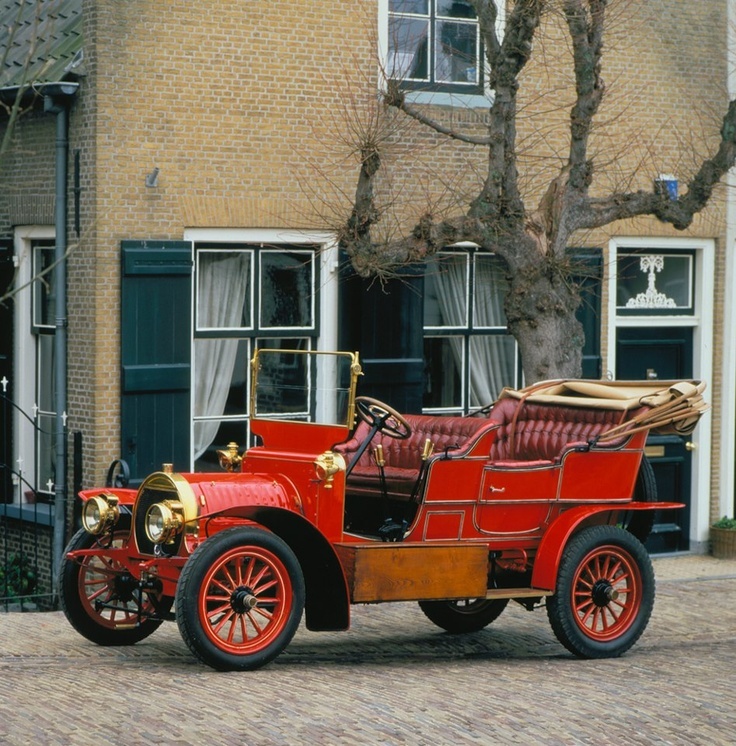 Dat was €6 miljoen meer dan het aanvankelijke overnamebedrag. 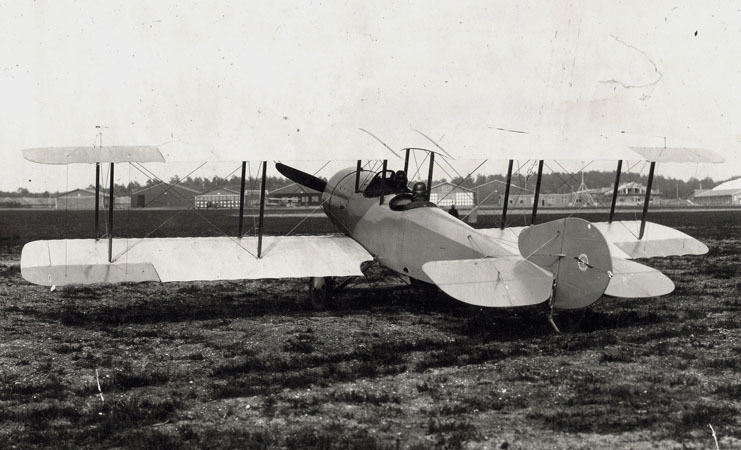 Toch was er geen sprake van een boekwinst, omdat Spyker fors had geïnvesteerd en eveneens forse verliezen had geleden door de hoge operationele kosten. 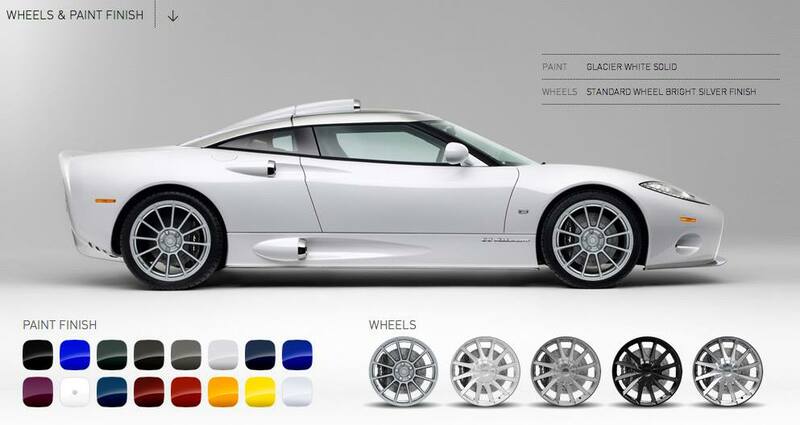 In totaal hebben deze activiteiten tot een verlies geleid van €35,7 miljoen in 2007. 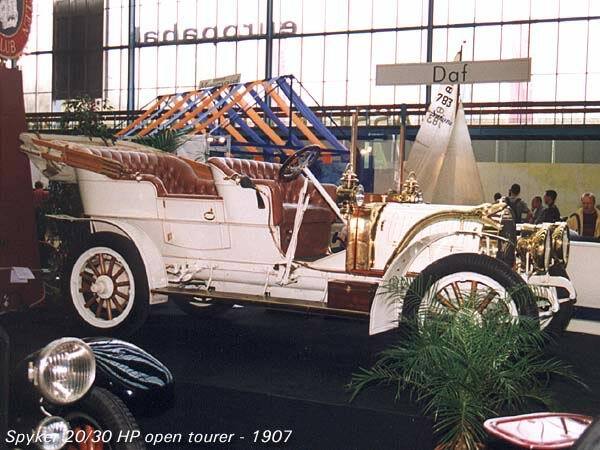 Op 5 oktober werd de verkoop afgerond. Ad-interim directeur Hans Hugenholtz noemt het “geen mooie transactie, maar het is de best mogelijke en eerlijke prijs”. 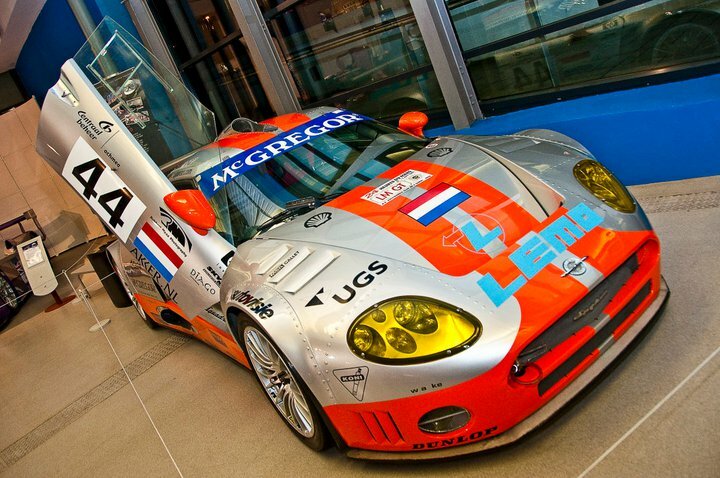 Op 4 oktober 2008 kreeg Spyker een aanvullend bedrag van €2,6 miljoen van de derdenrekening van het Formule 1-team. 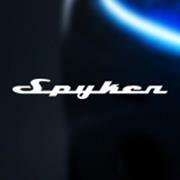 Spyker heeft nog een claim lopen tegen Orange India Holding, de nieuwe eigenaar van het F1-team, en verwacht in 2009 nog €2 miljoen te kunnen ontvangen.Op 9 september 2006 werden de geruchten bevestigd dat Spyker de Formule 1 in zou gaan, door met een groep investeerders onder leiding van Michiel Mol het Midland-MF1 Racing team over te nemen. 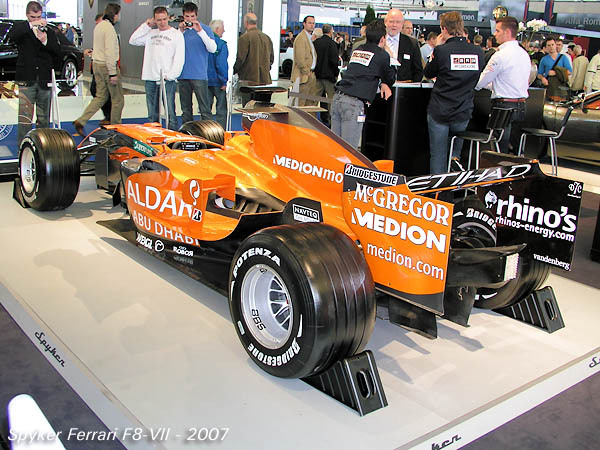 Tijdens de Grand Prix Formule 1 van Italië in 2006 werd bekendgemaakt dat het consortium daadwerkelijk MF1 Racing had overgenomen. 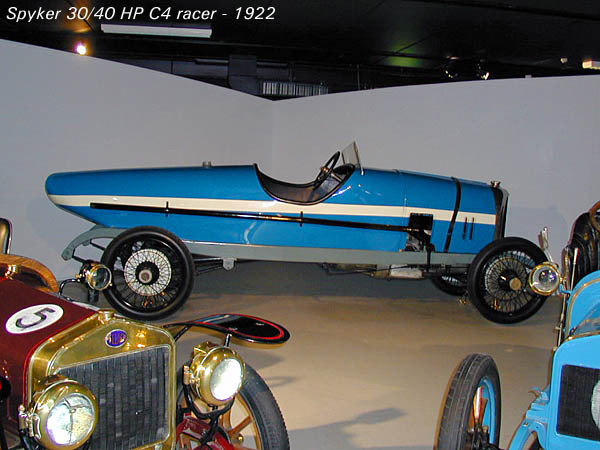 De naam van het team veranderde in Spyker MF1. 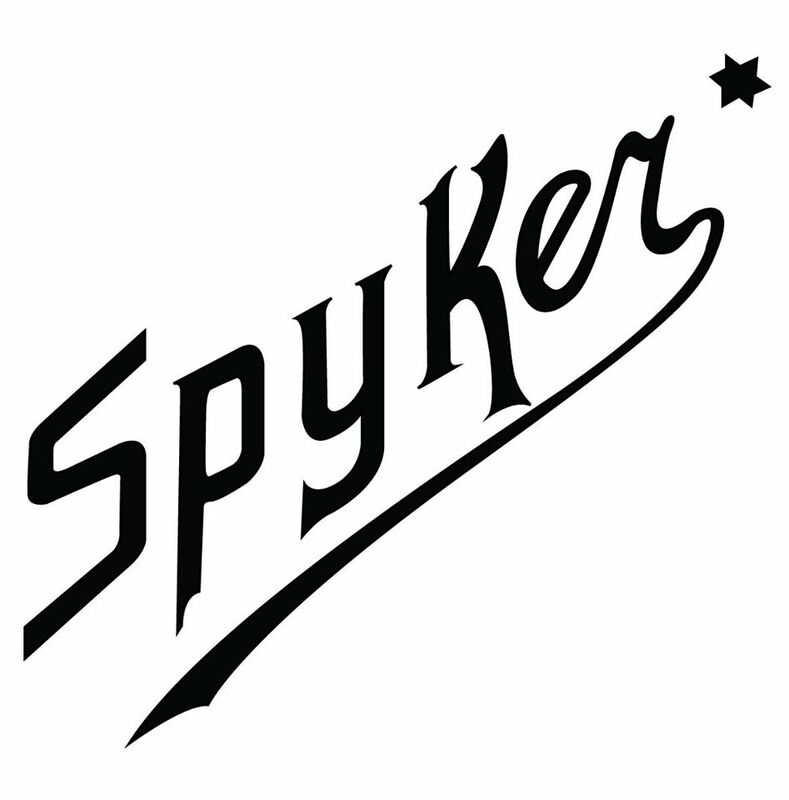 Spyker betaalde $106,6 miljoen verdeeld over drie termijnen: $68,6 miljoen voor 30 september 2006, de rest in twee jaarlijkse termijnen van respectievelijk $15 miljoen en $23 miljoen. 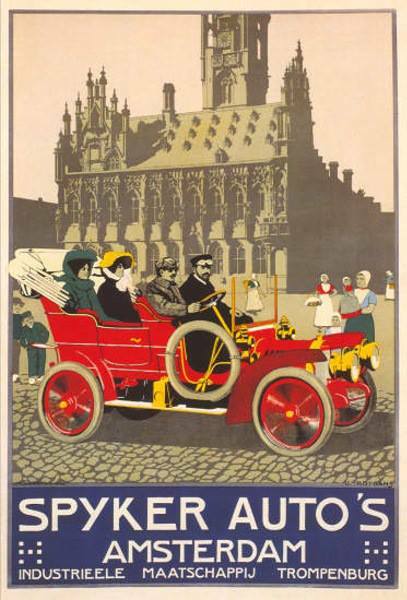 Op 27 september 2006 gingen de aandeelhouders van Spyker akkoord met de uitgifte van 2.650.000 nieuwe aandelen, die werden geprijsd op €20 per stuk, een flinke premie ten opzichte van de beurskoers op dat moment. 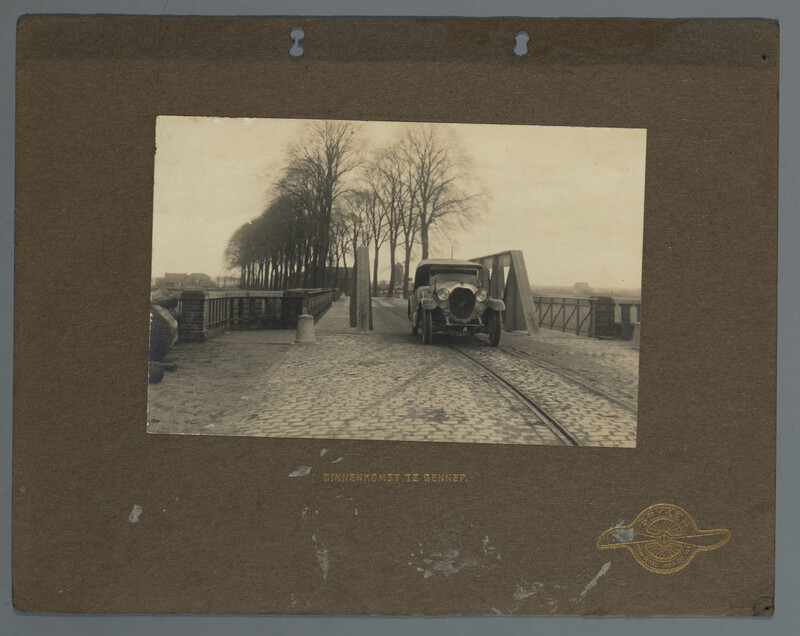 Michiel Mol kocht het merendeel van deze aandelen. 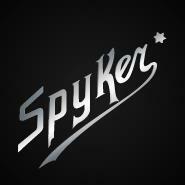 Aanwezigheid in Hollywoodfilms is bij Spyker onderdeel van de marketingstrategie. 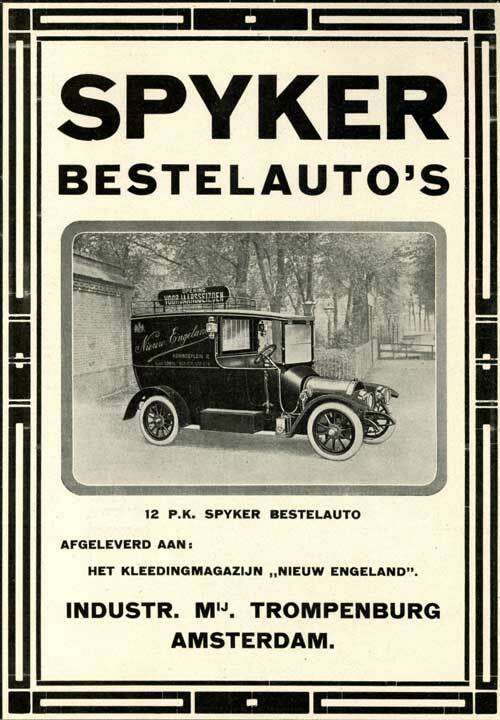 Het komt er op neer dat Spyker auto’s levert voor films en dat Spyker daarna niets hoeft te betalen voor de vertoning in de film.